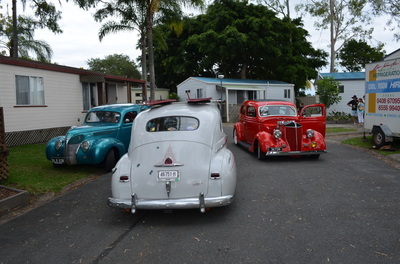 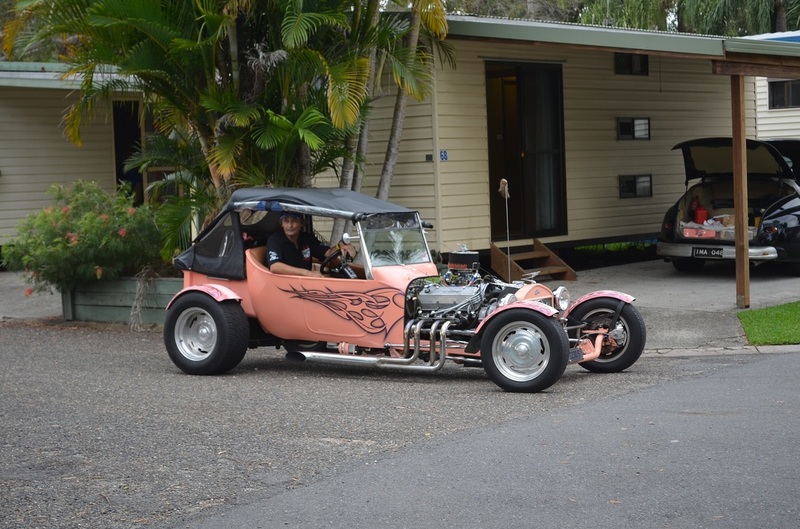 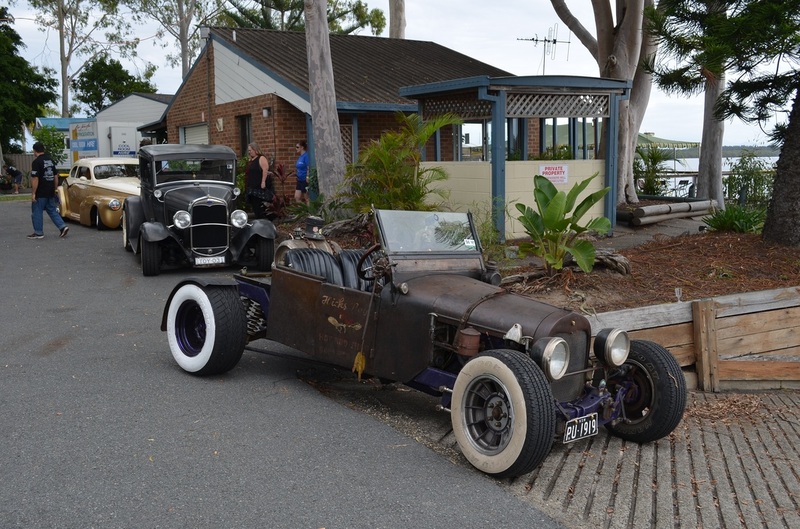 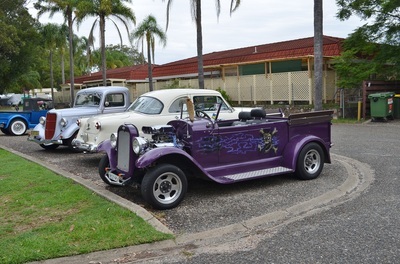 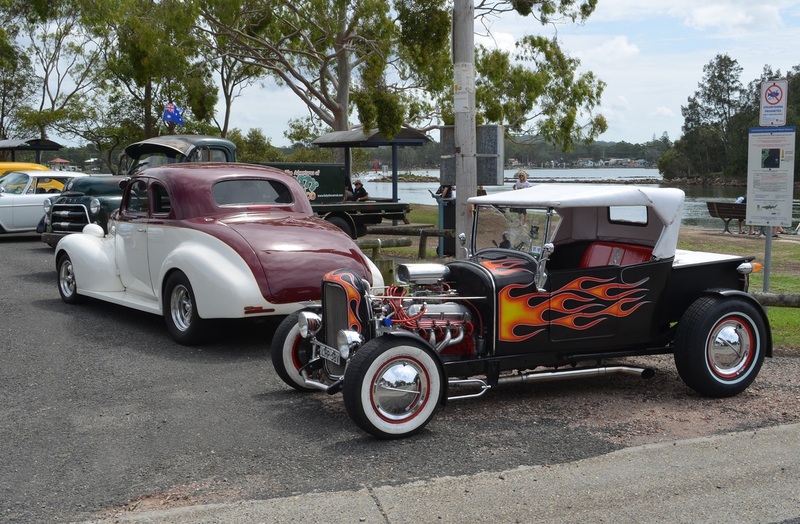 The Coasters Hot Rod Club hosted their 12th Coastal Cruise at Port Macquarie in February. 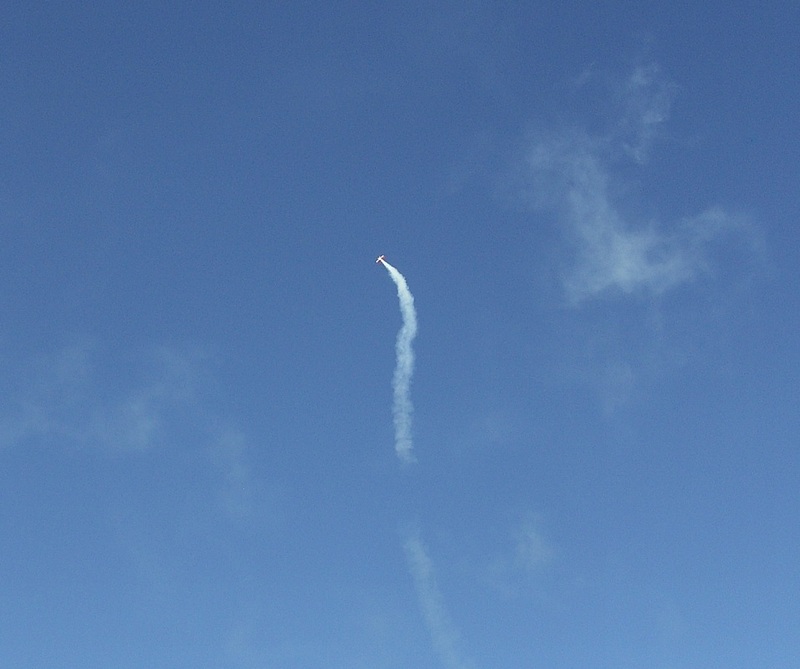 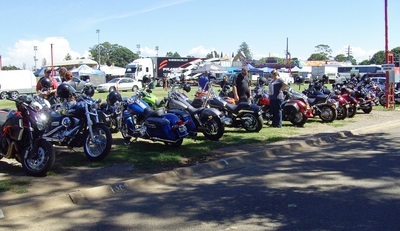 This year the weather was fine and all the organised events went ahead as scheduled. 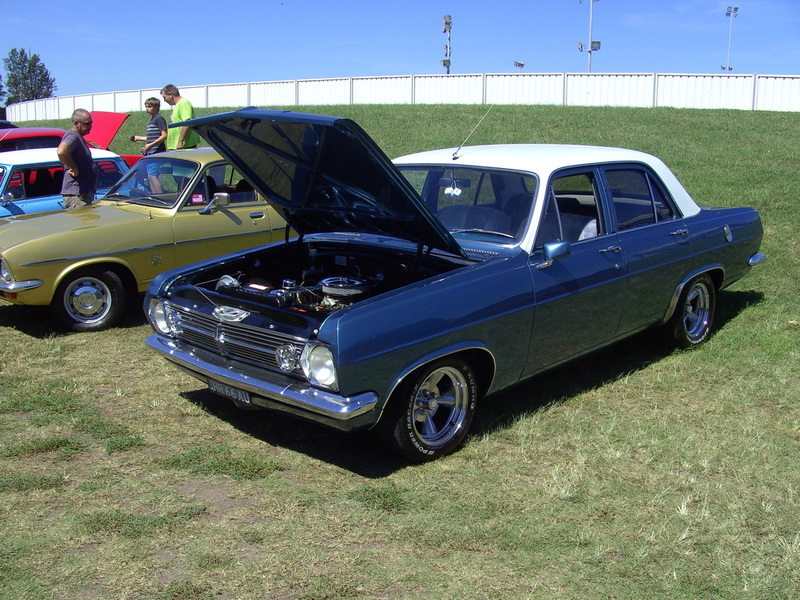 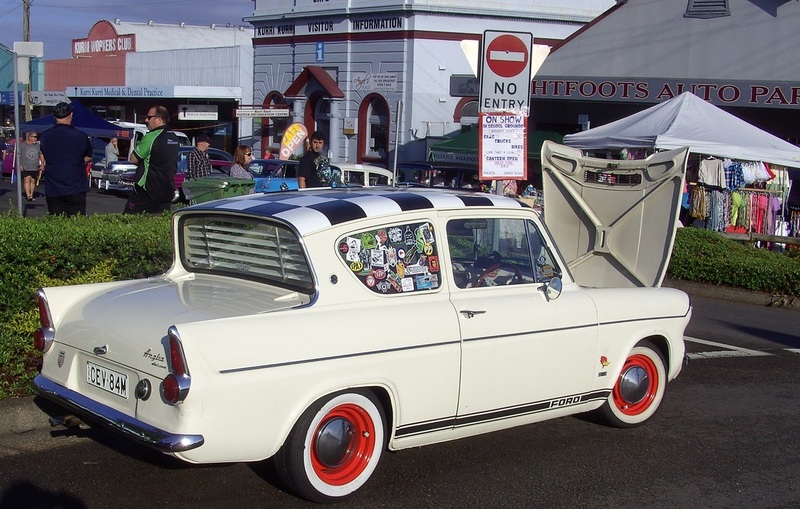 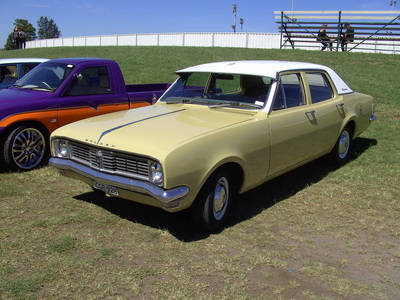 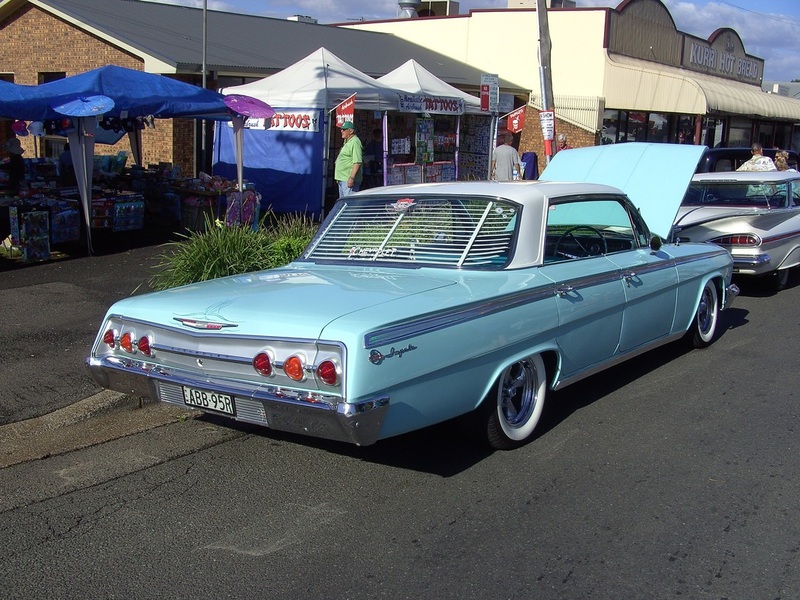 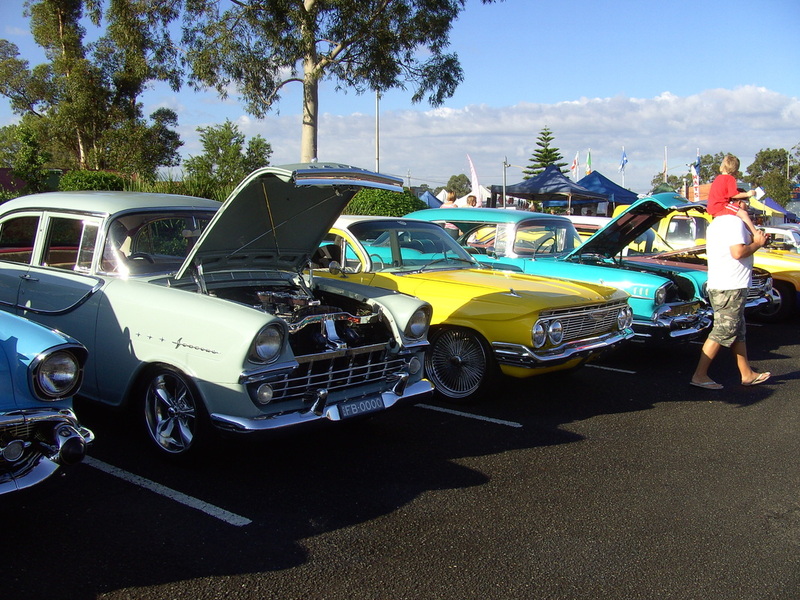 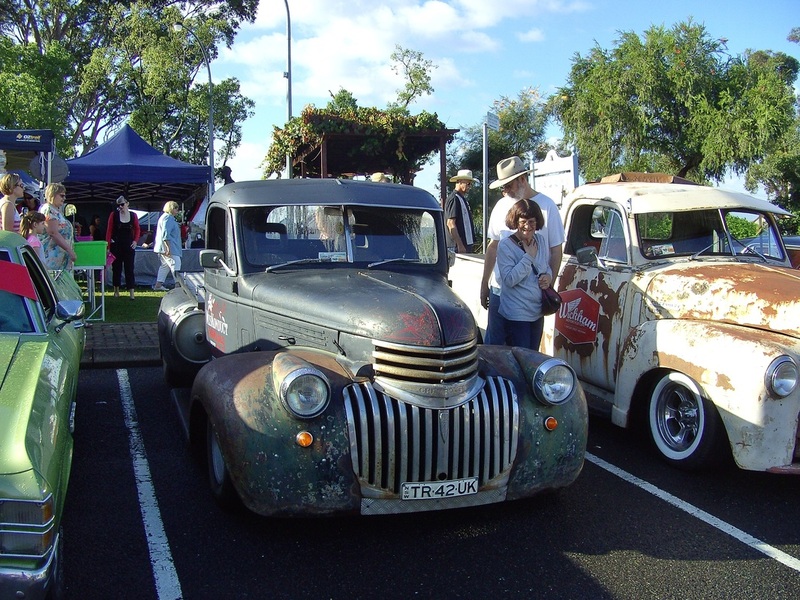 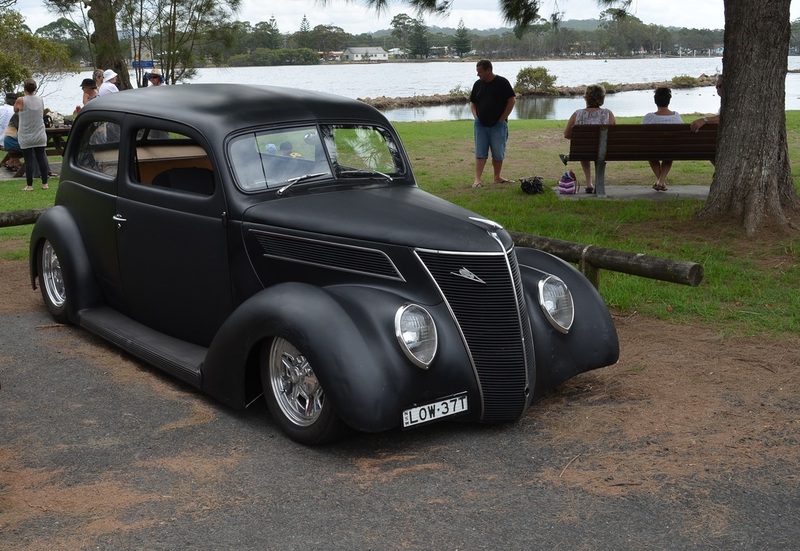 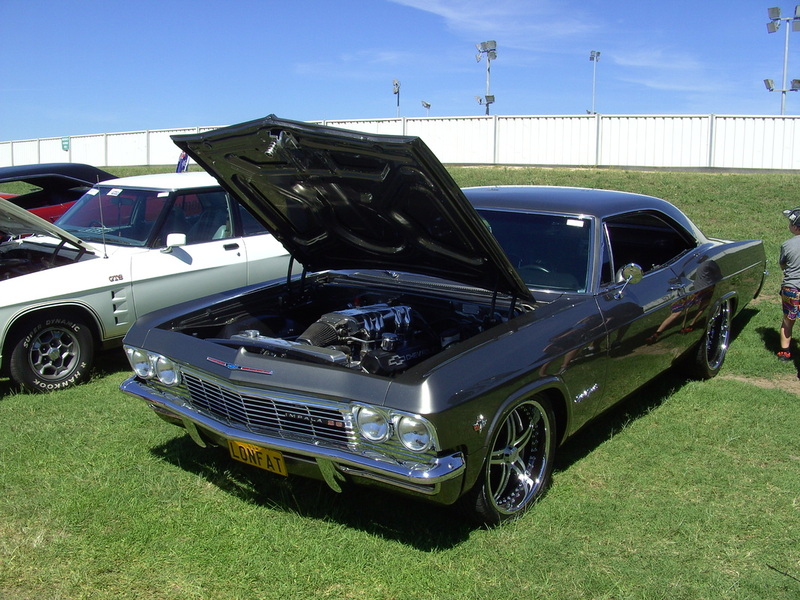 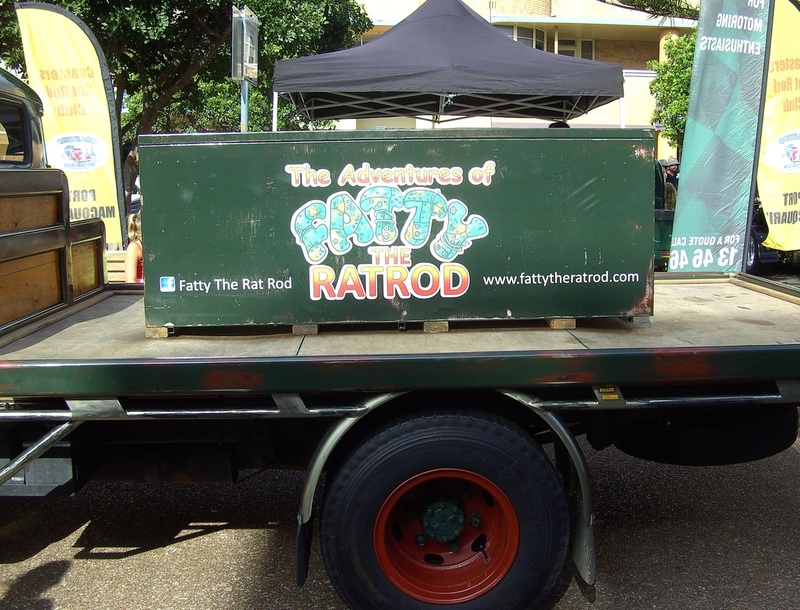 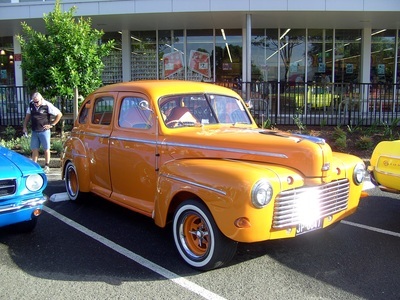 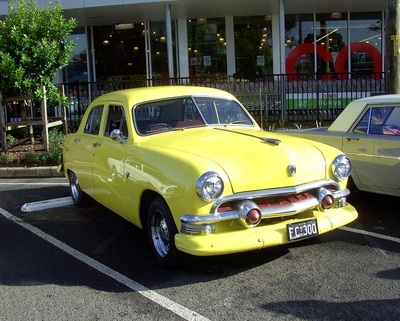 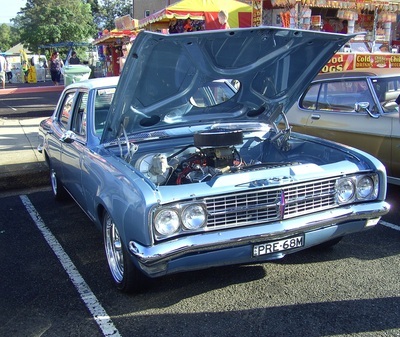 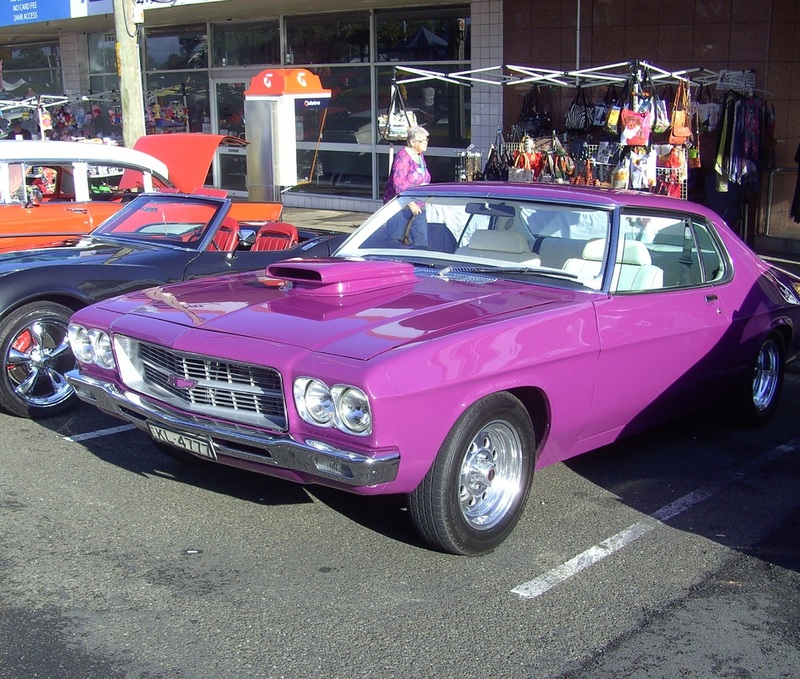 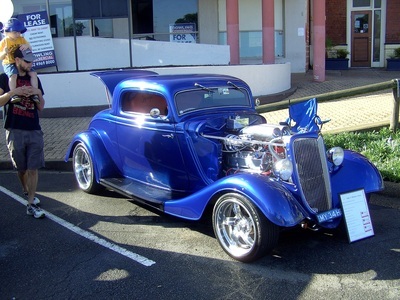 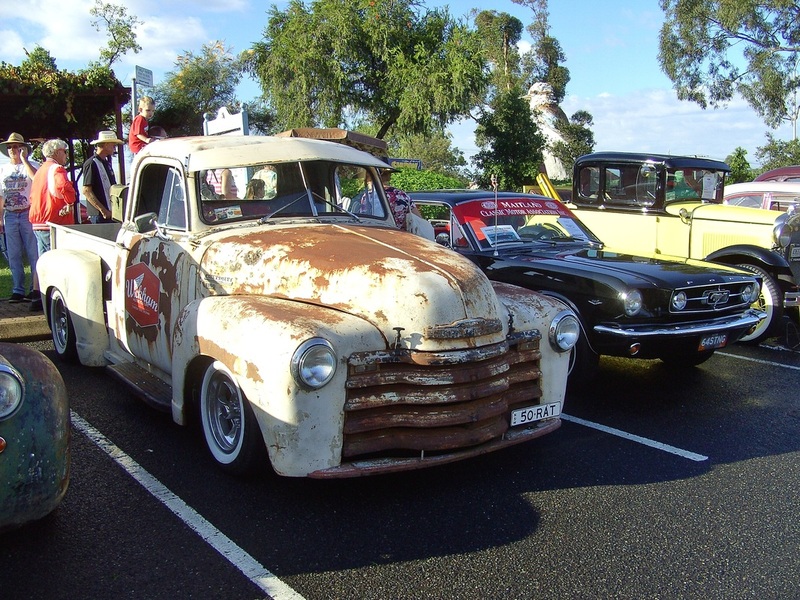 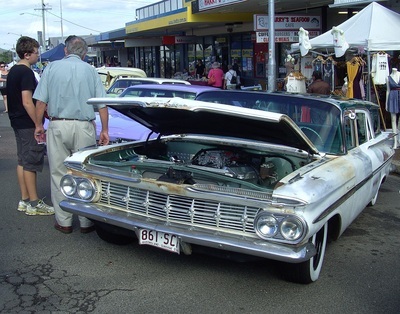 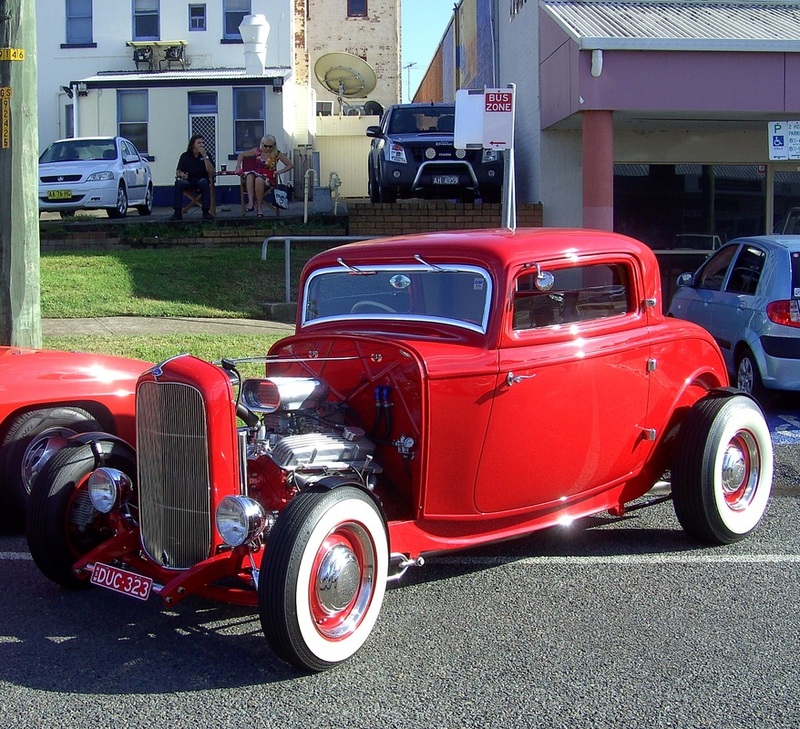 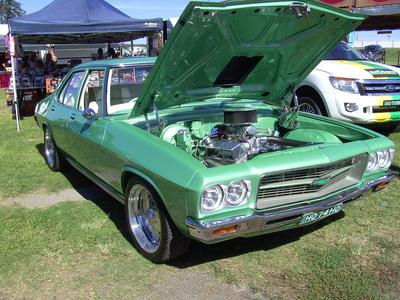 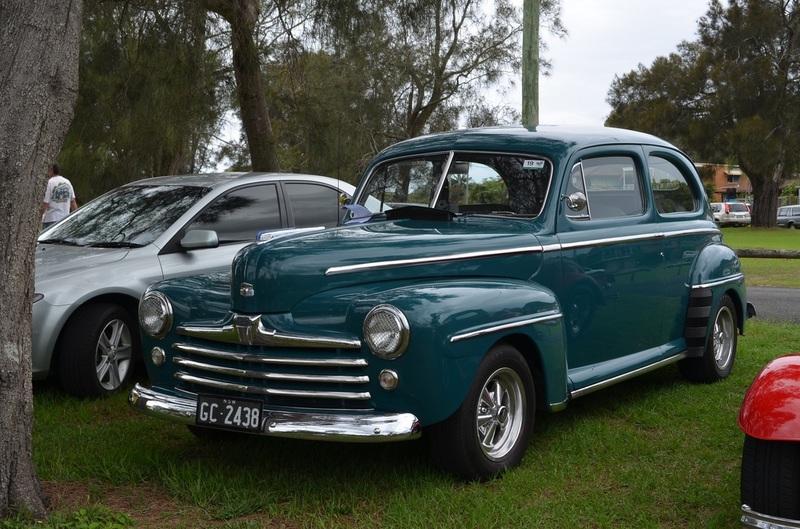 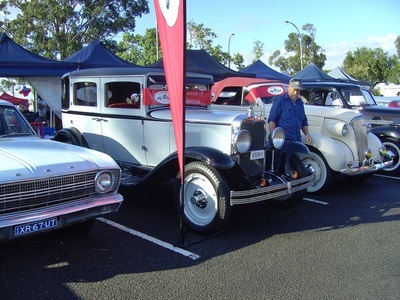 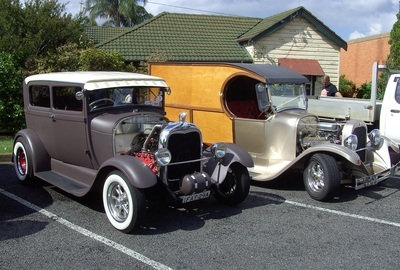 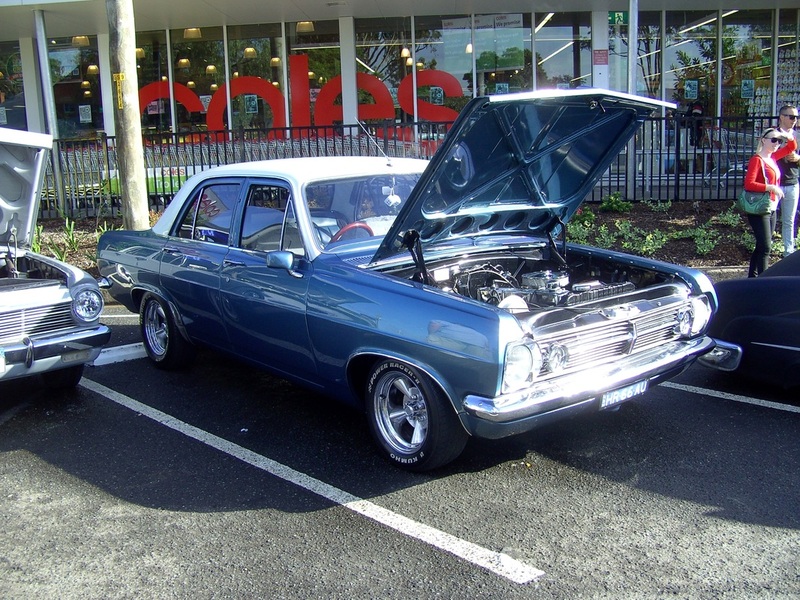 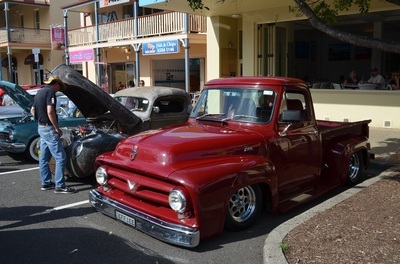 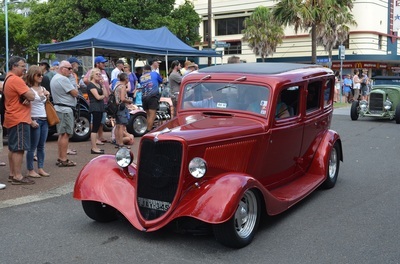 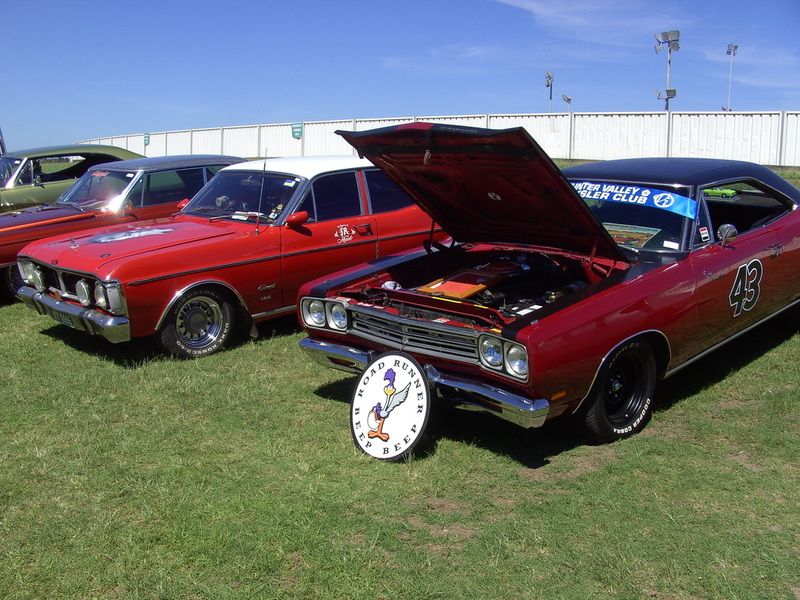 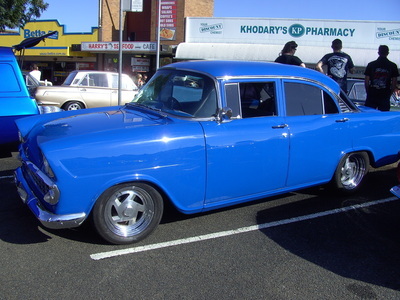 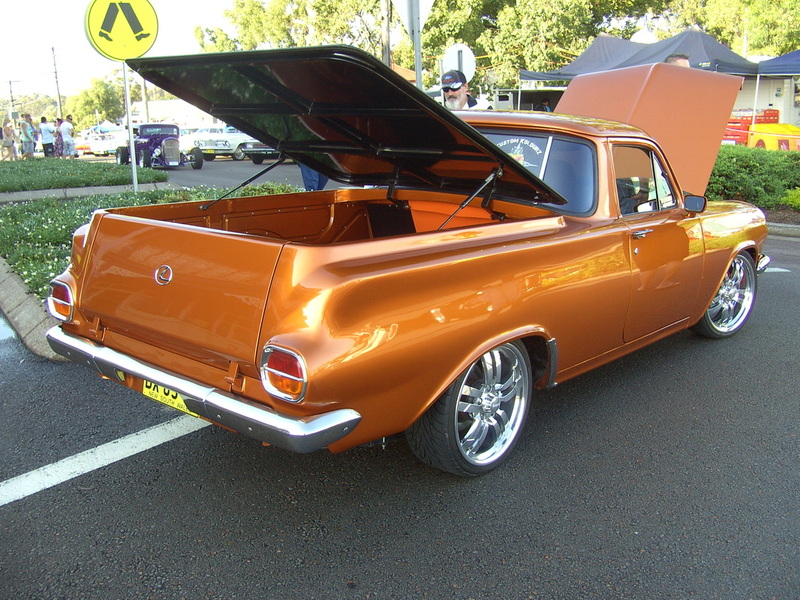 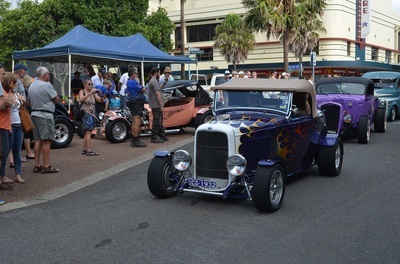 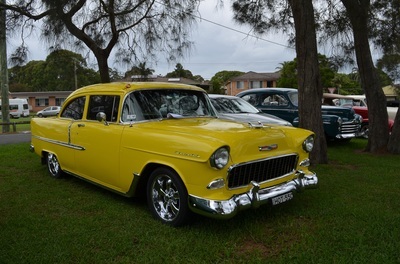 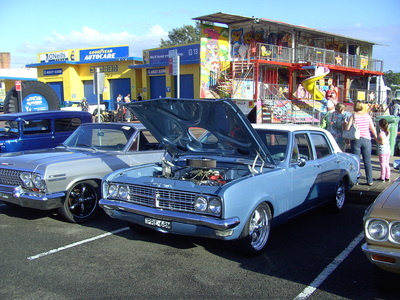 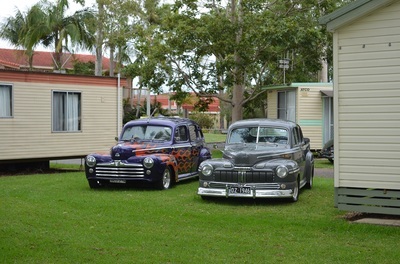 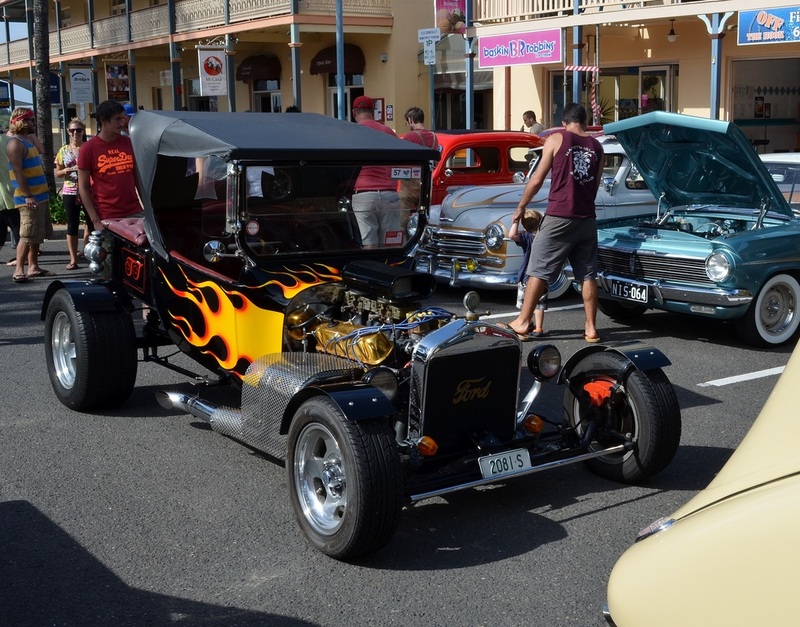 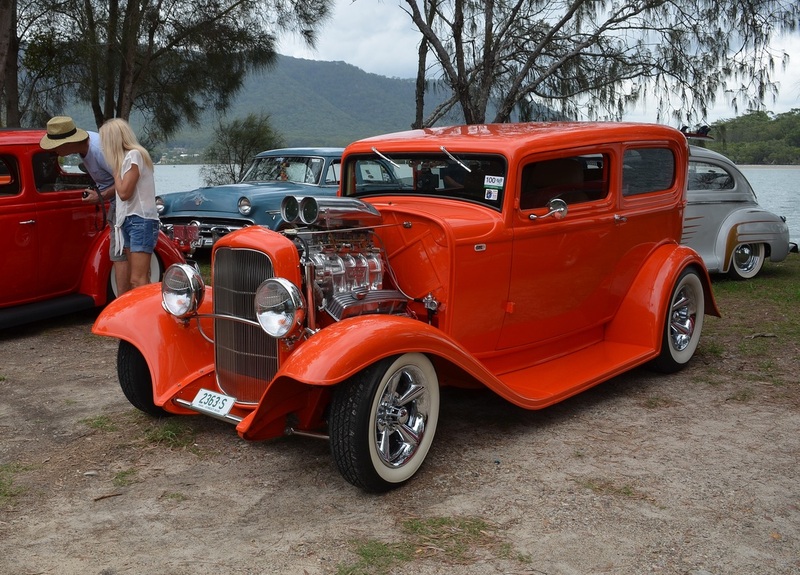 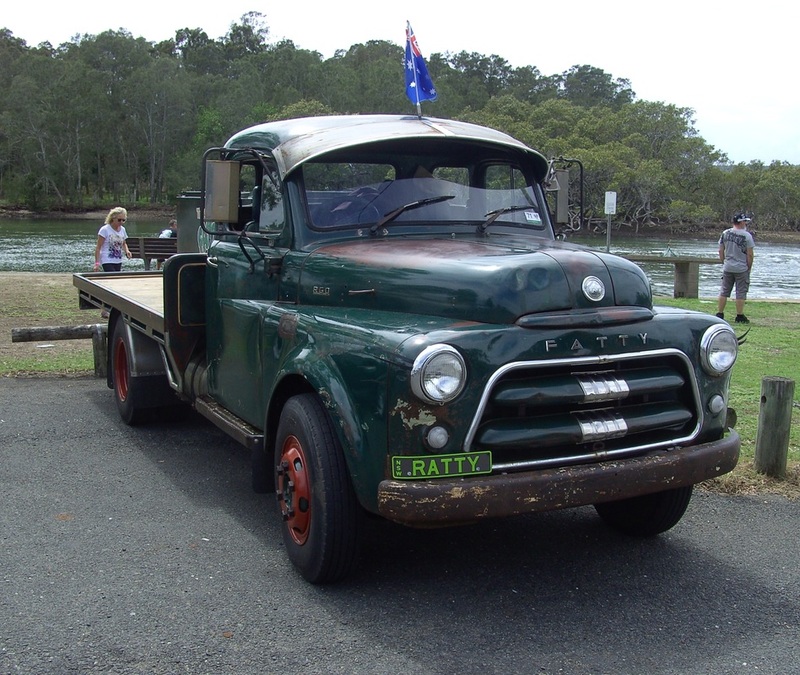 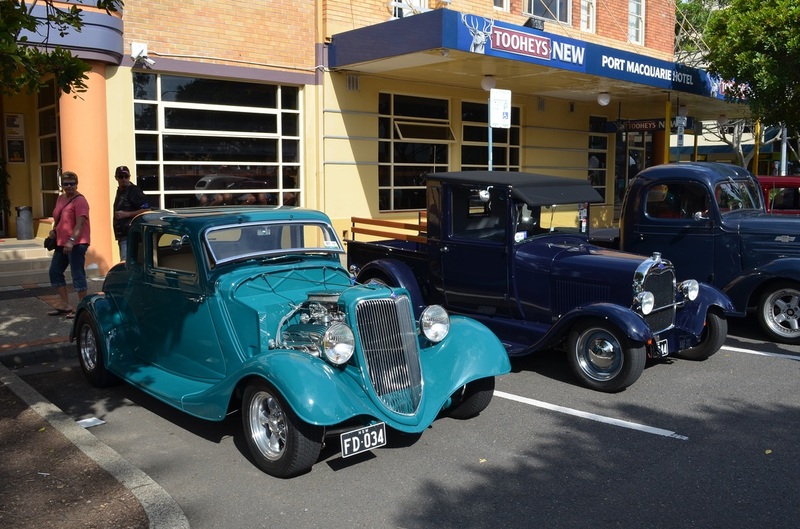 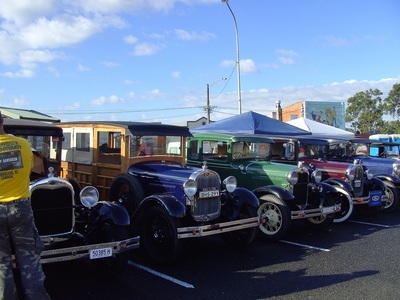 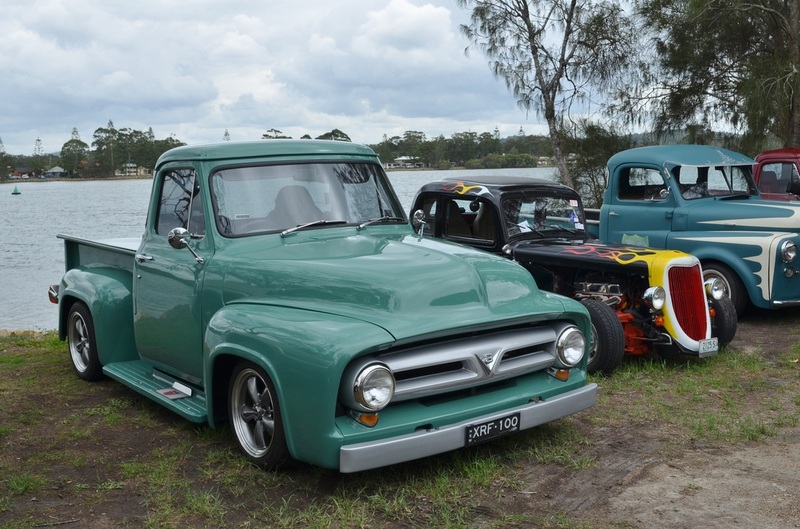 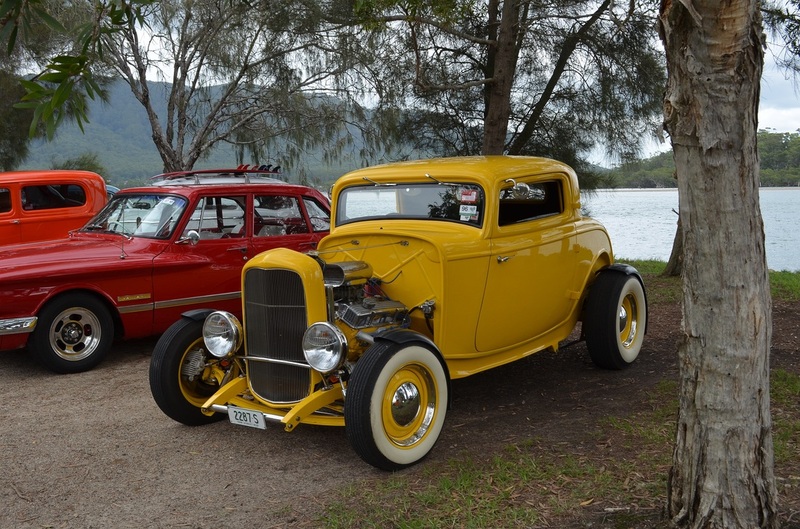 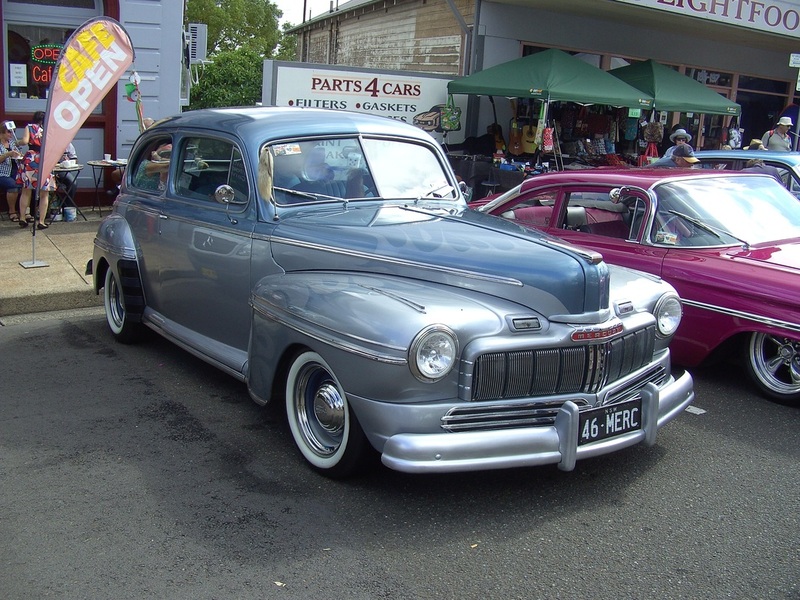 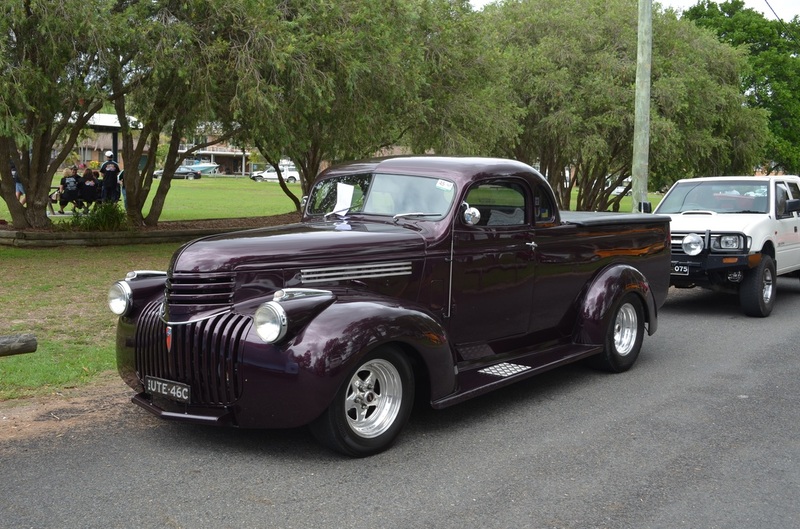 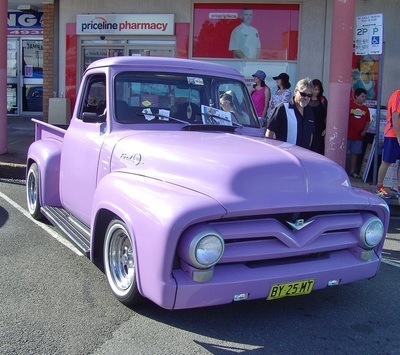 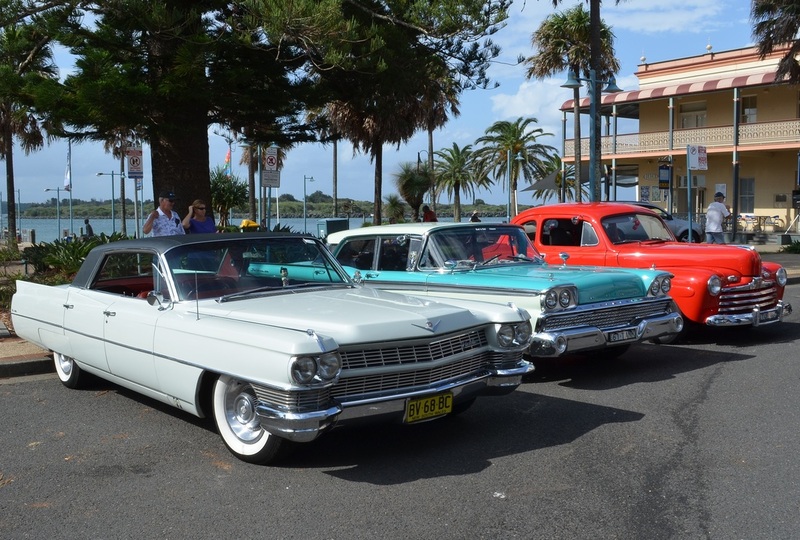 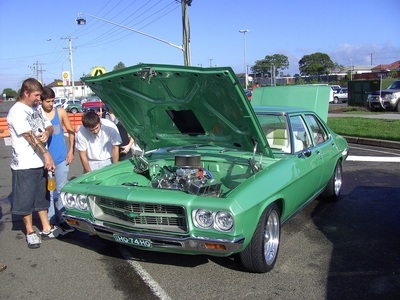 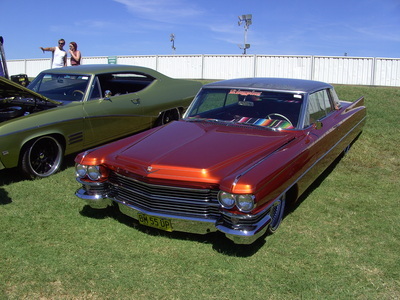 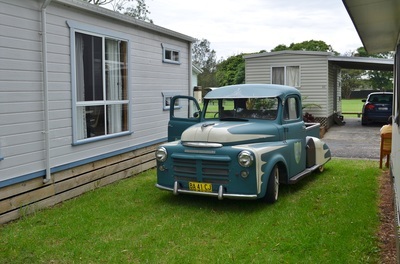 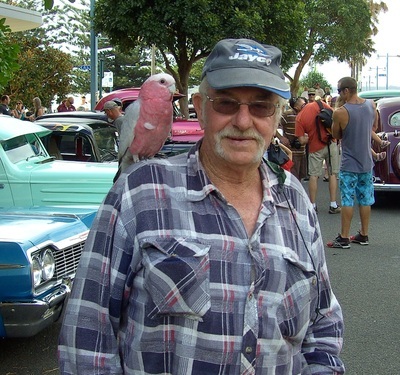 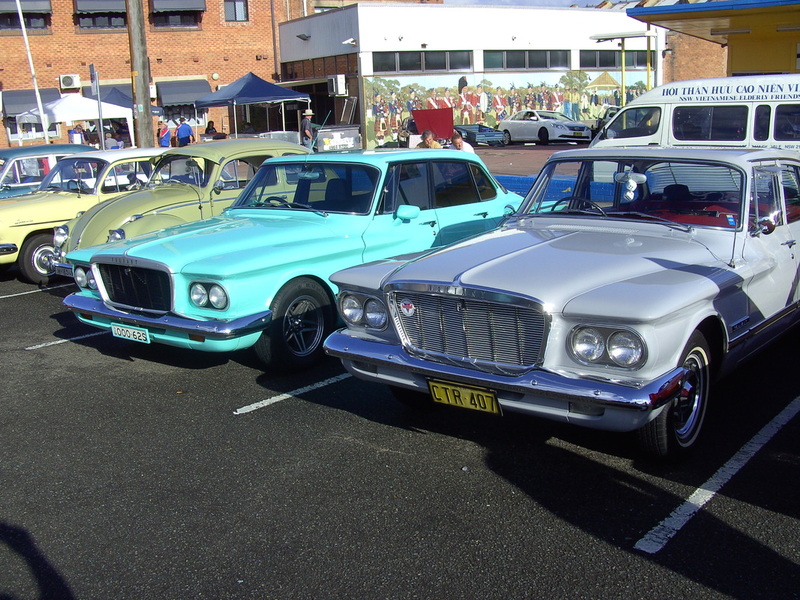 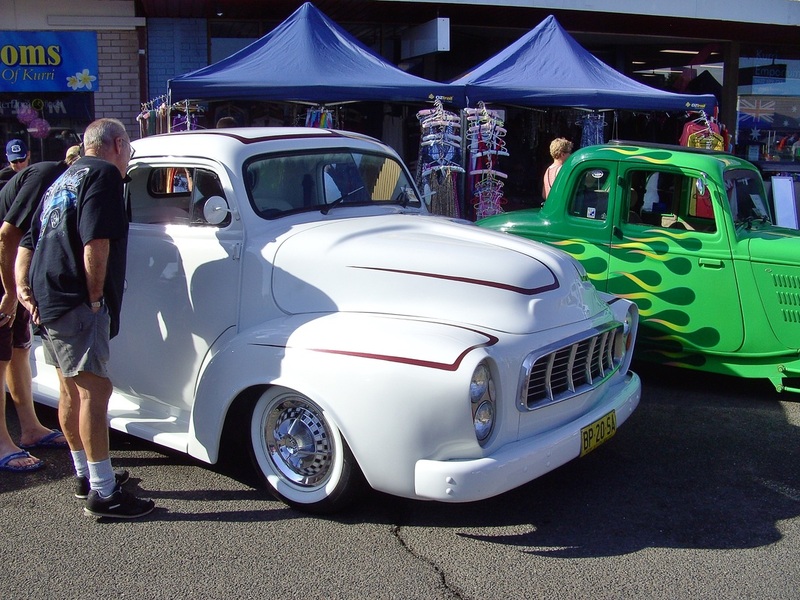 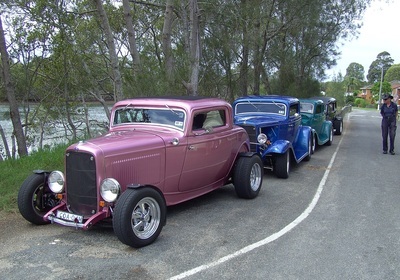 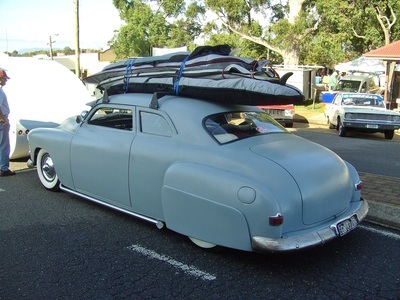 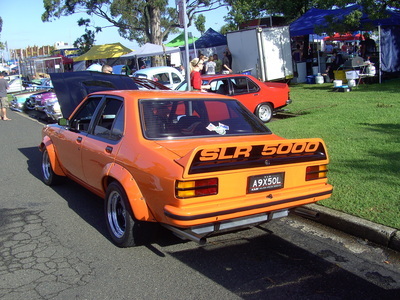 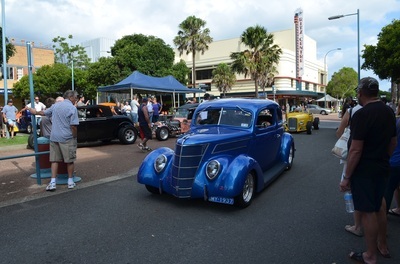 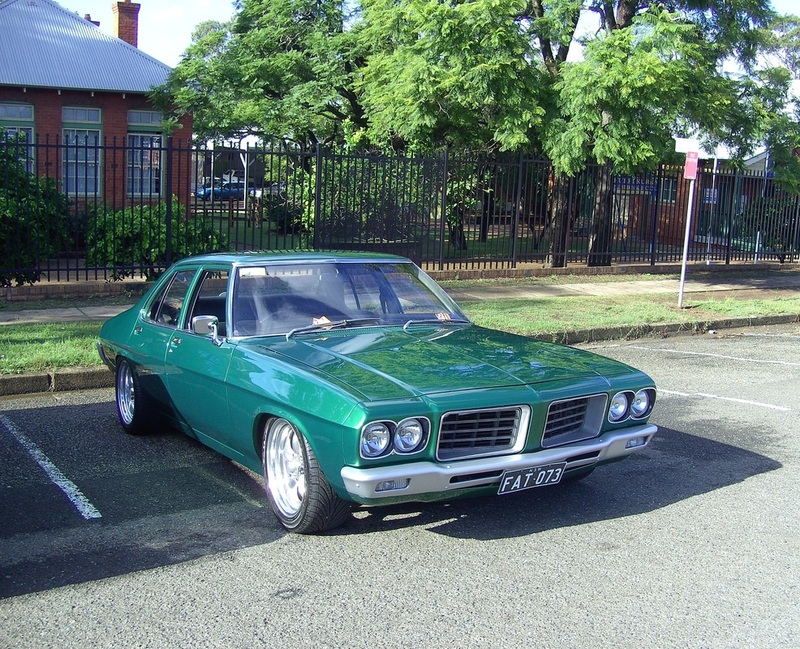 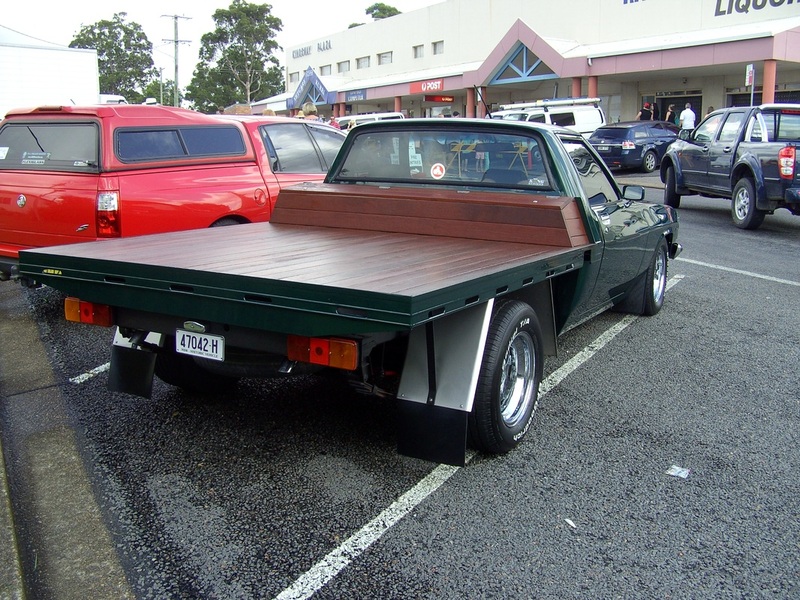 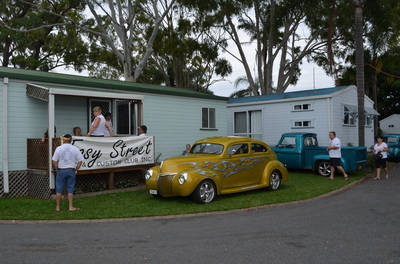 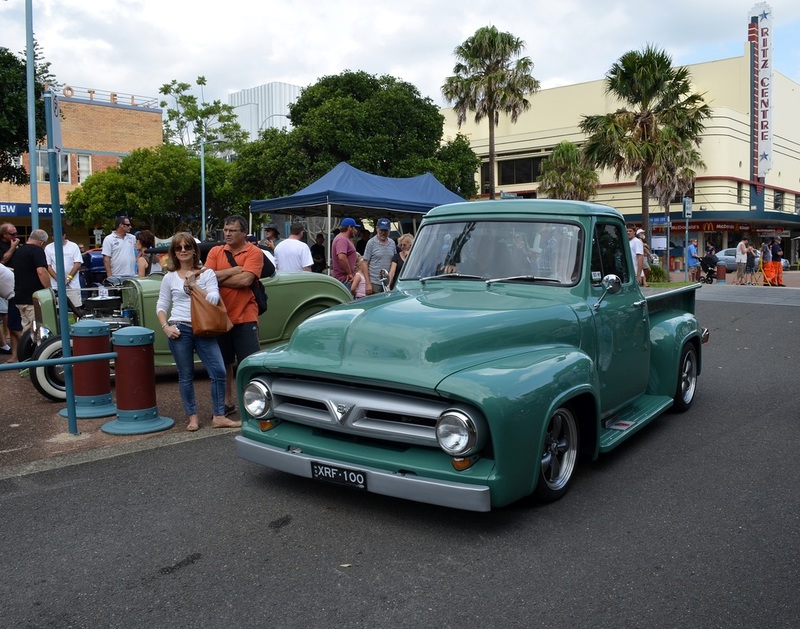 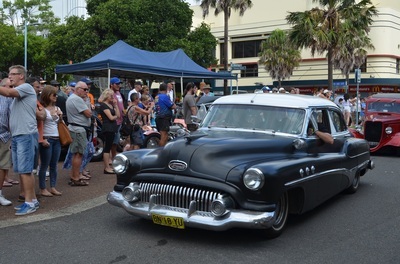 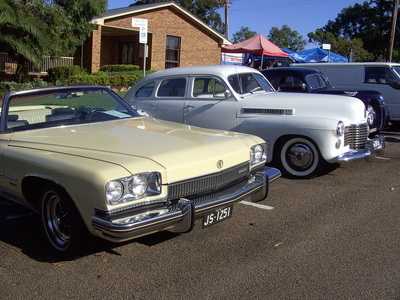 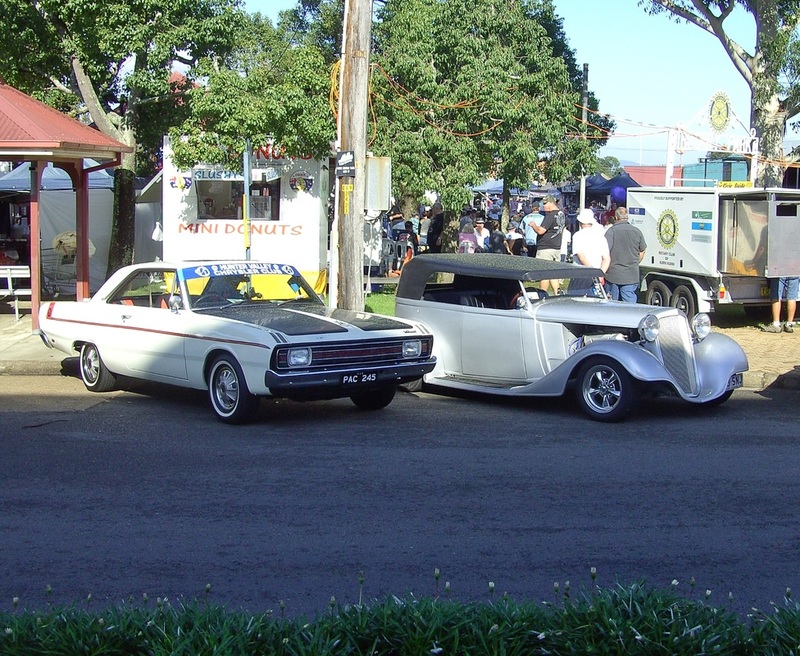 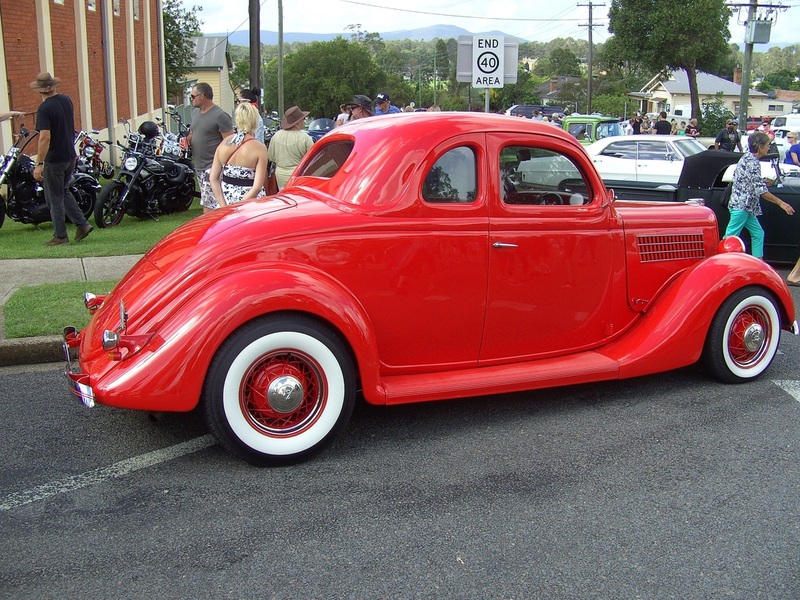 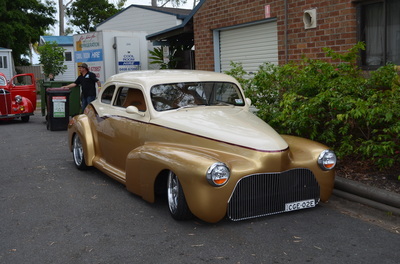 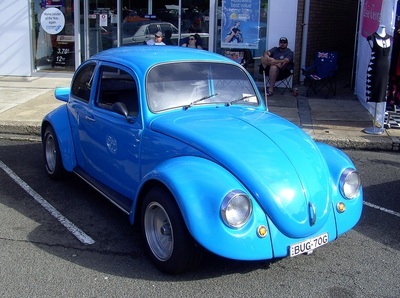 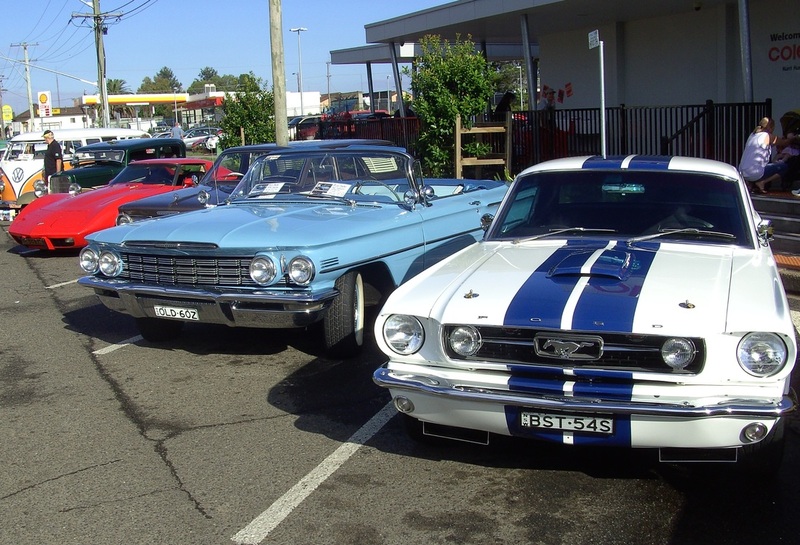 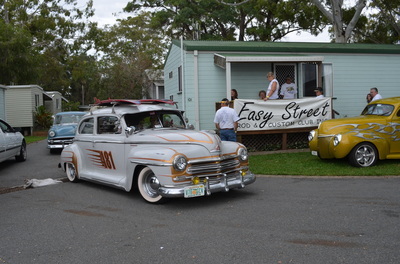 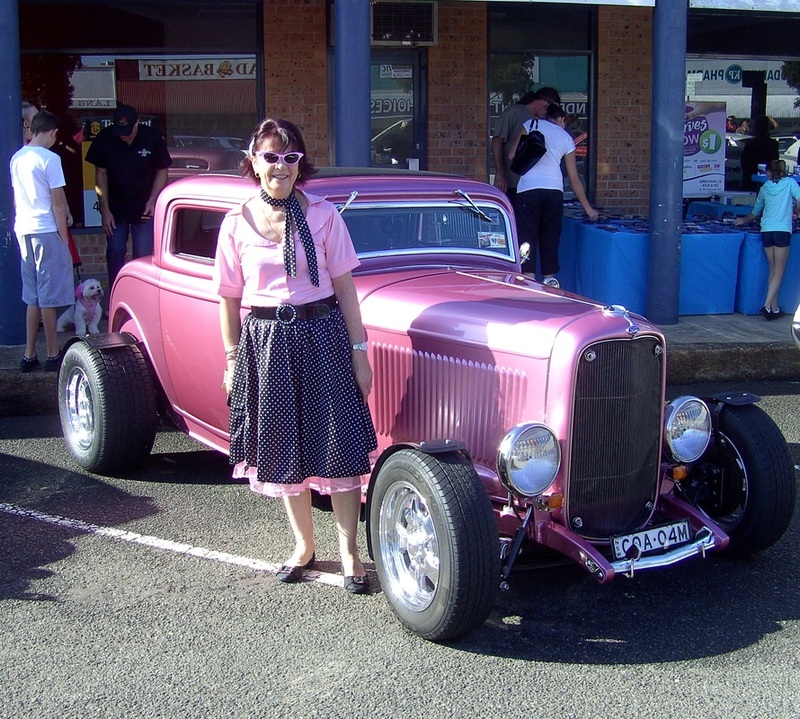 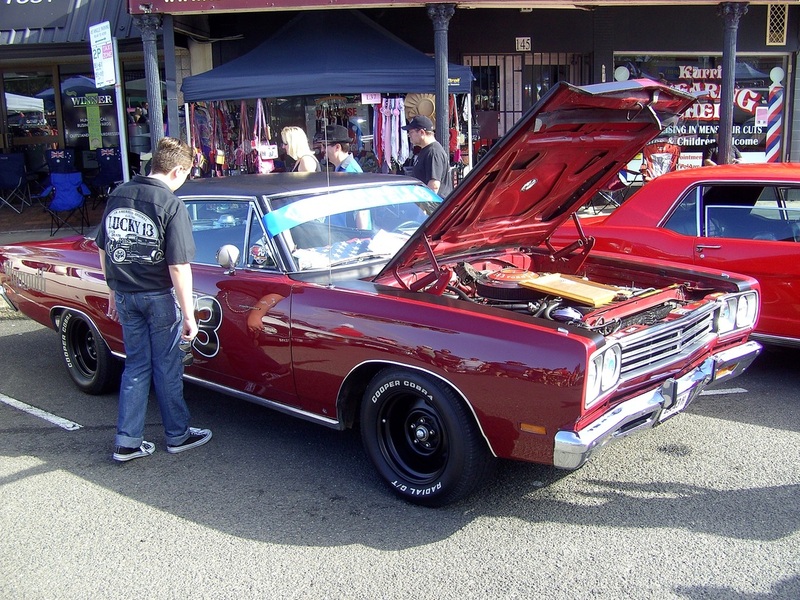 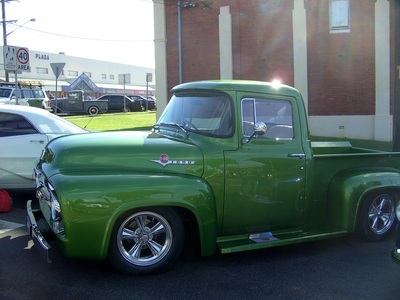 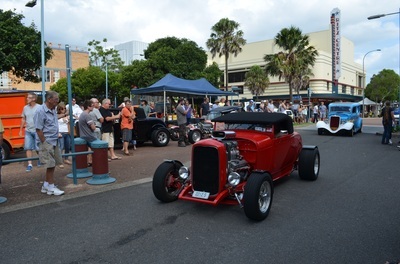 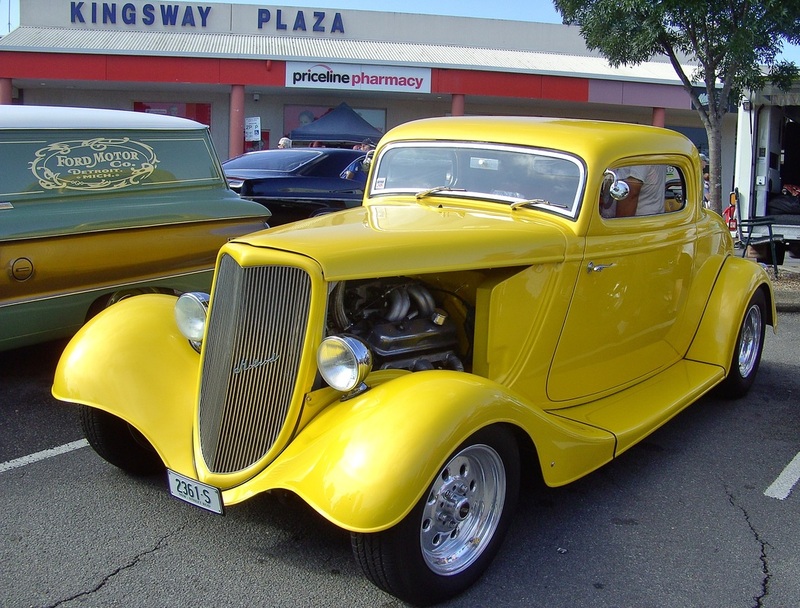 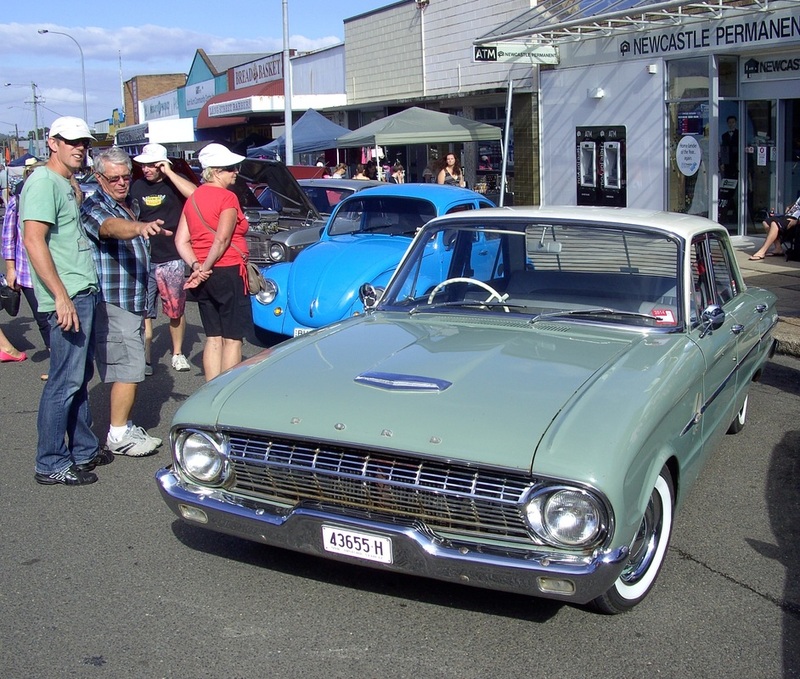 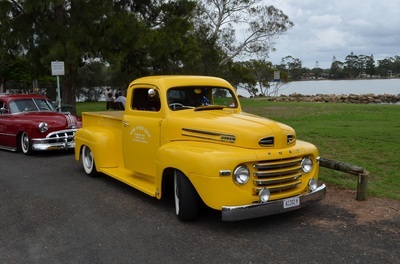 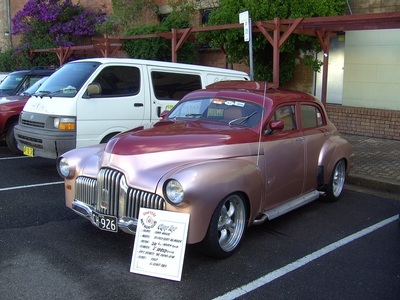 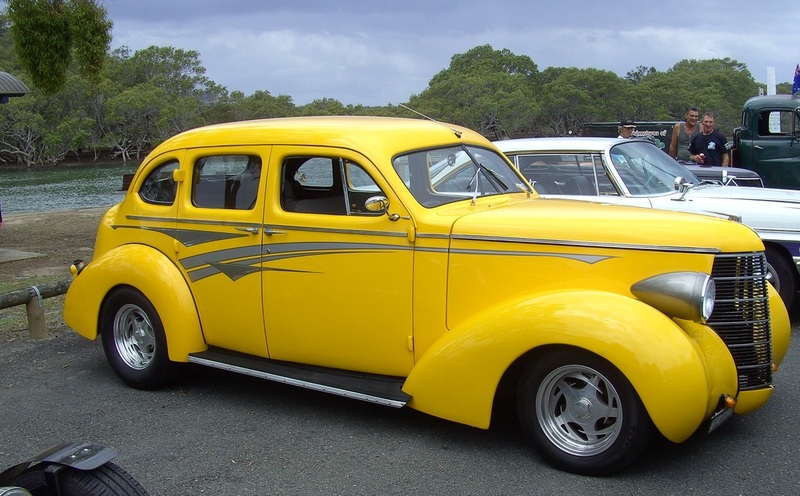 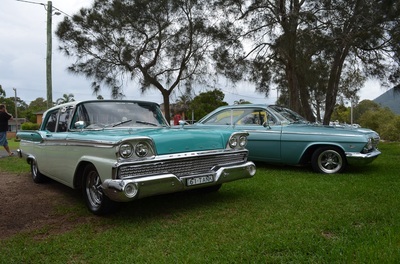 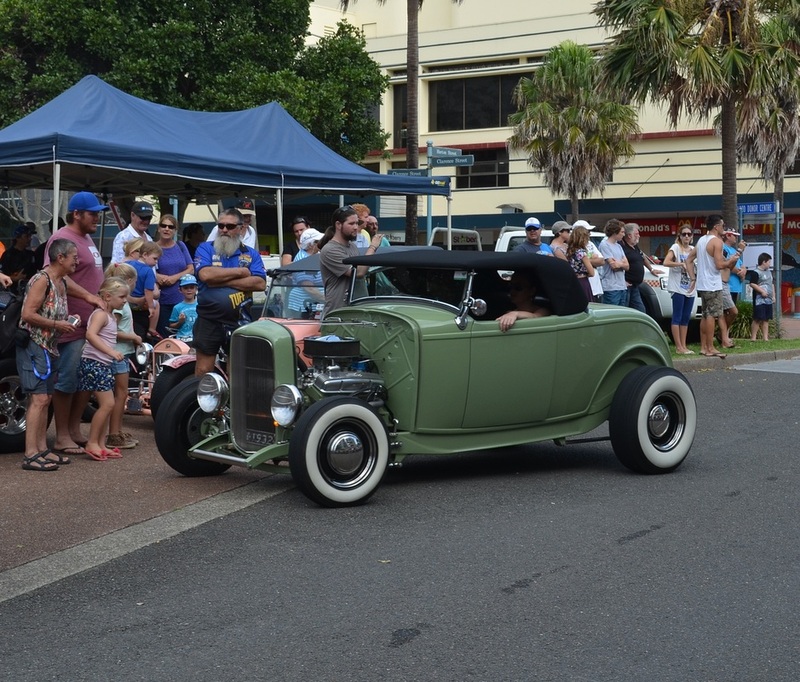 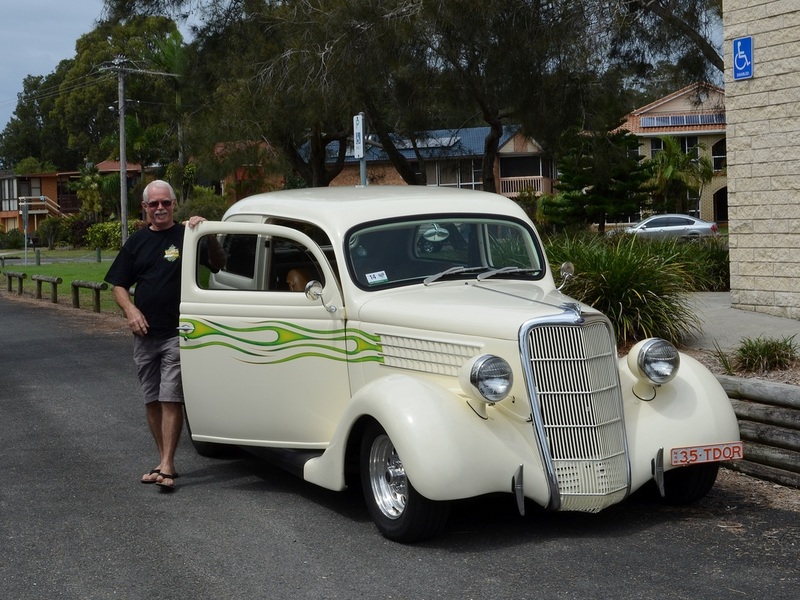 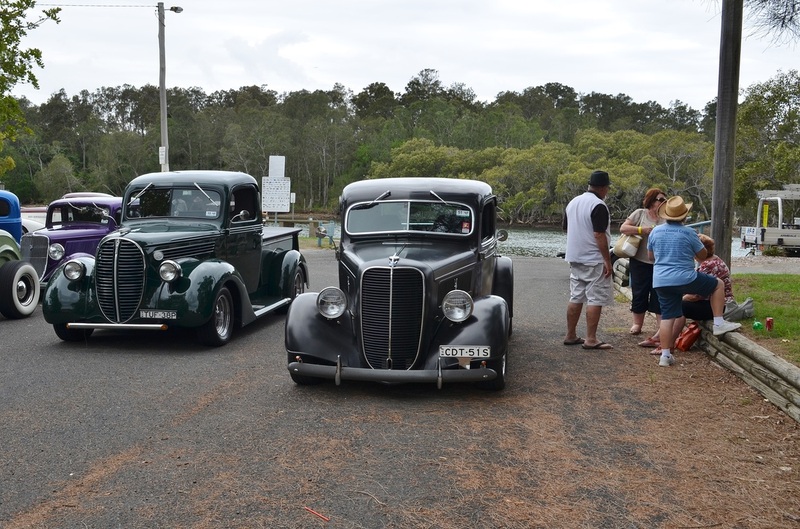 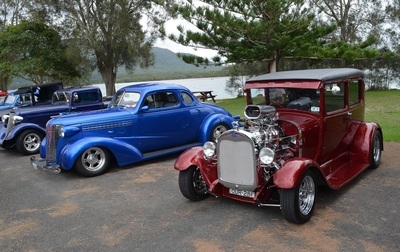 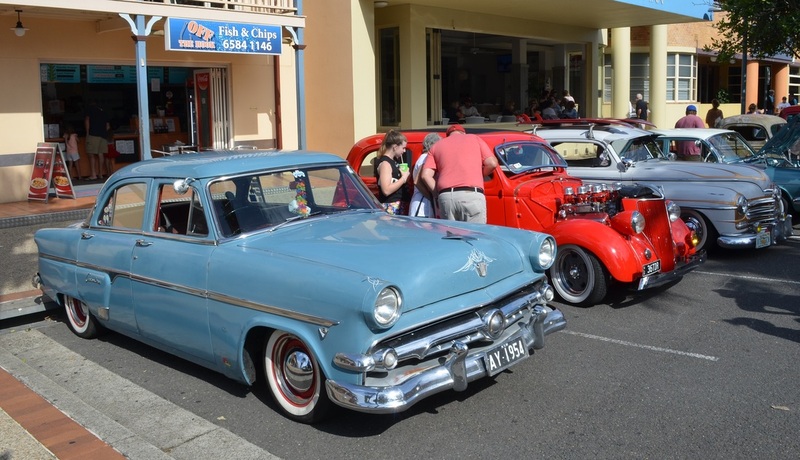 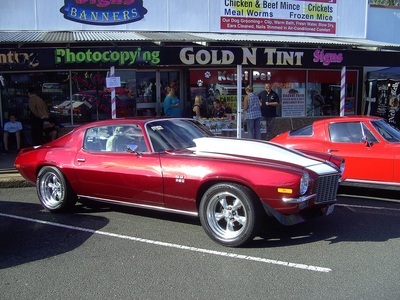 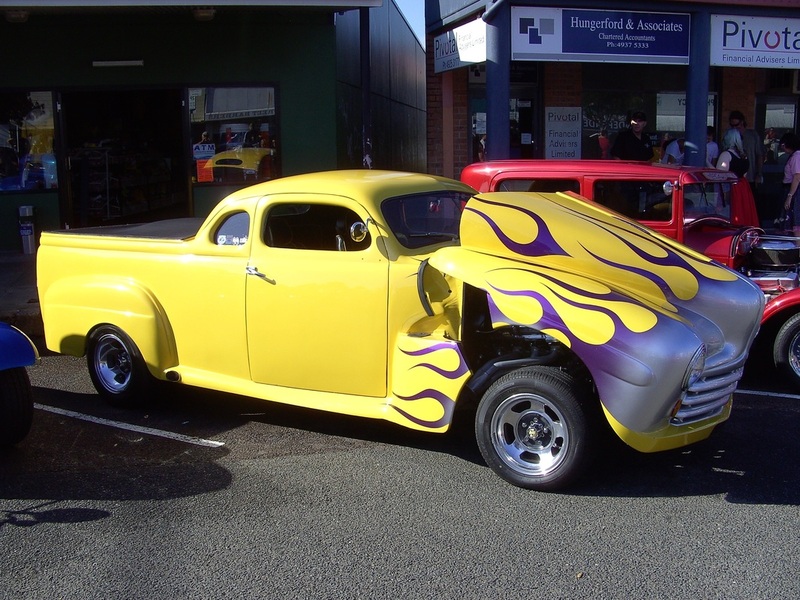 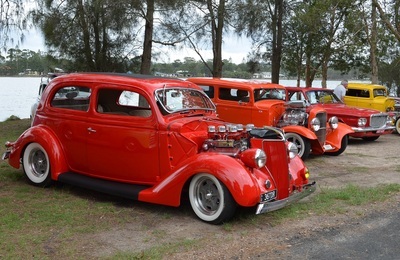 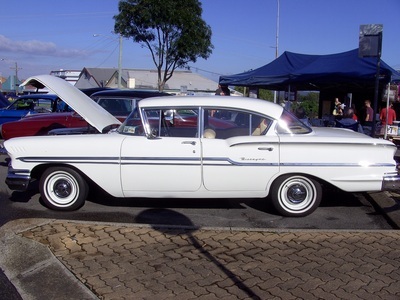 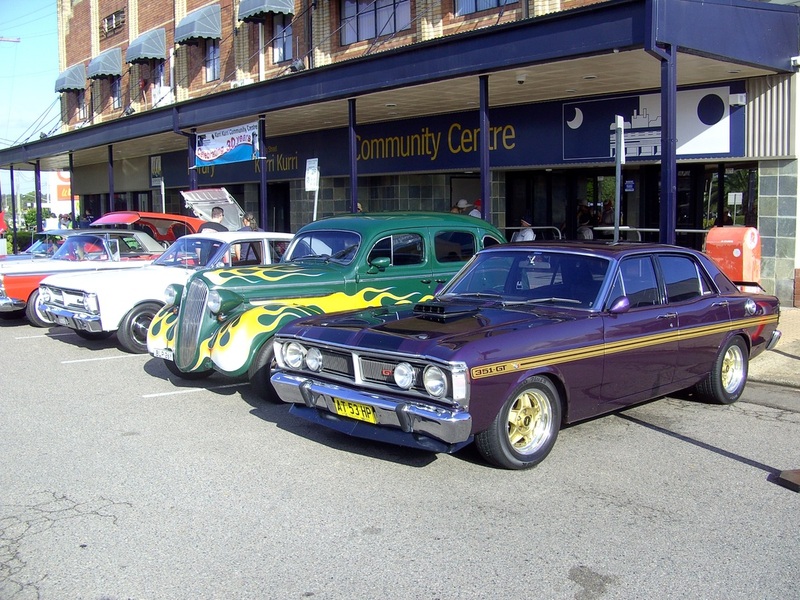 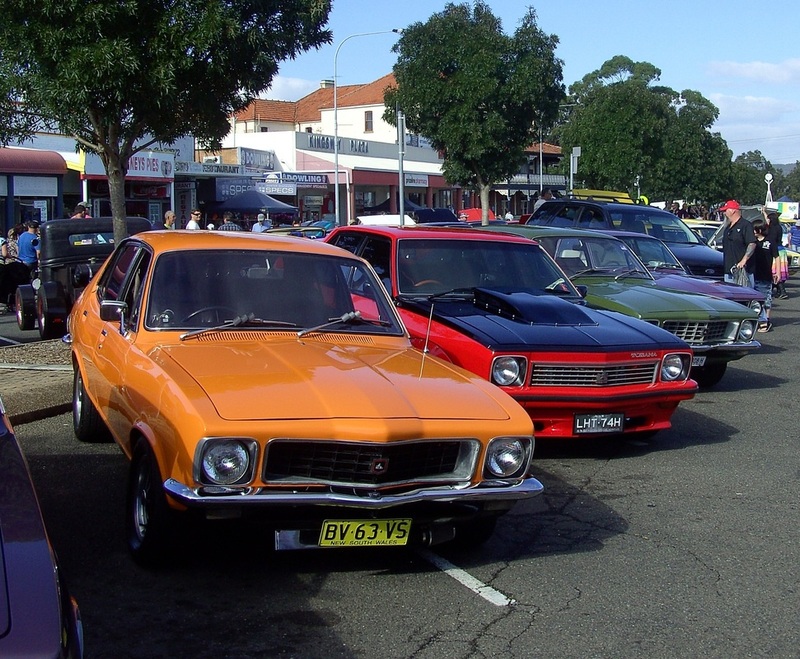 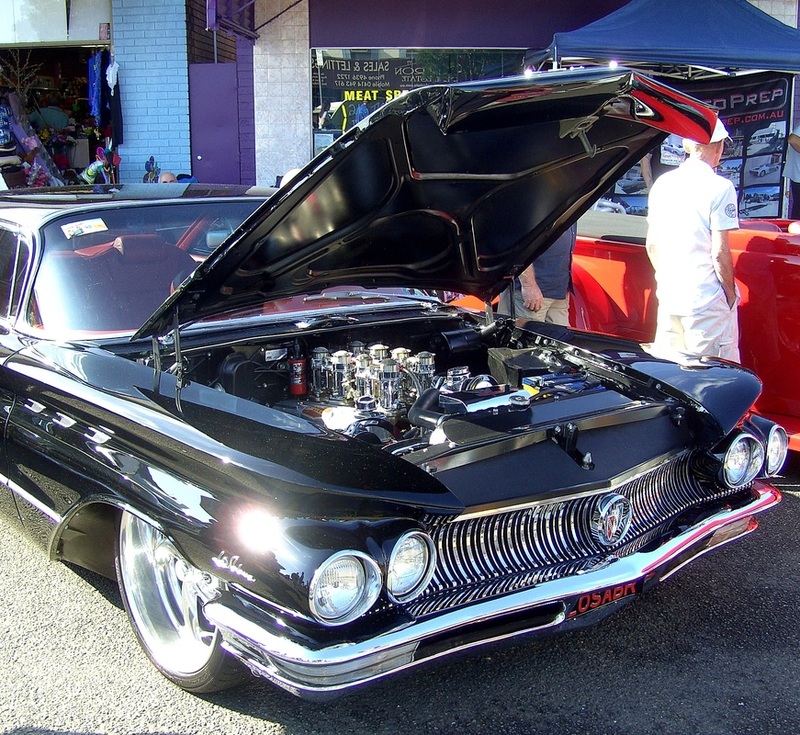 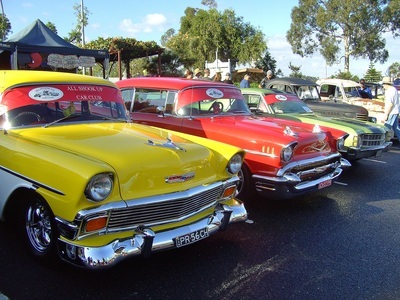 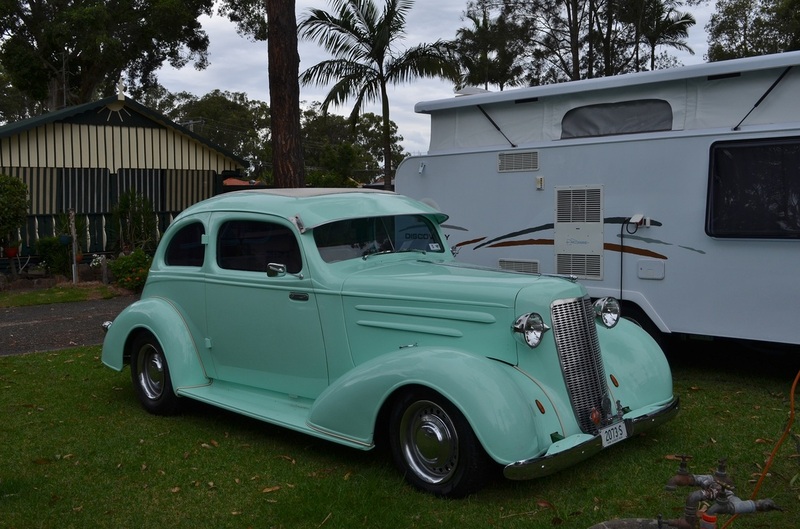 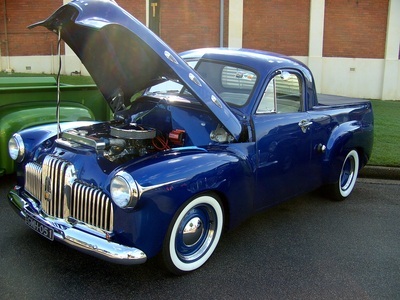 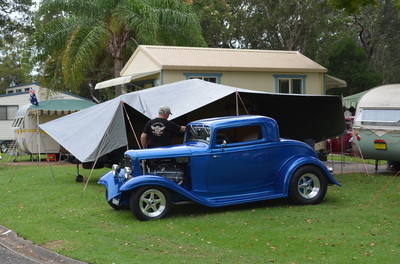 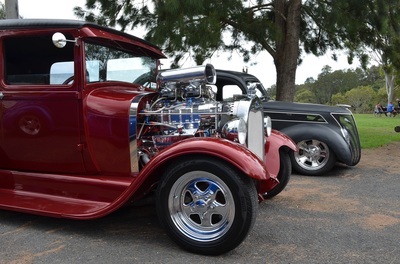 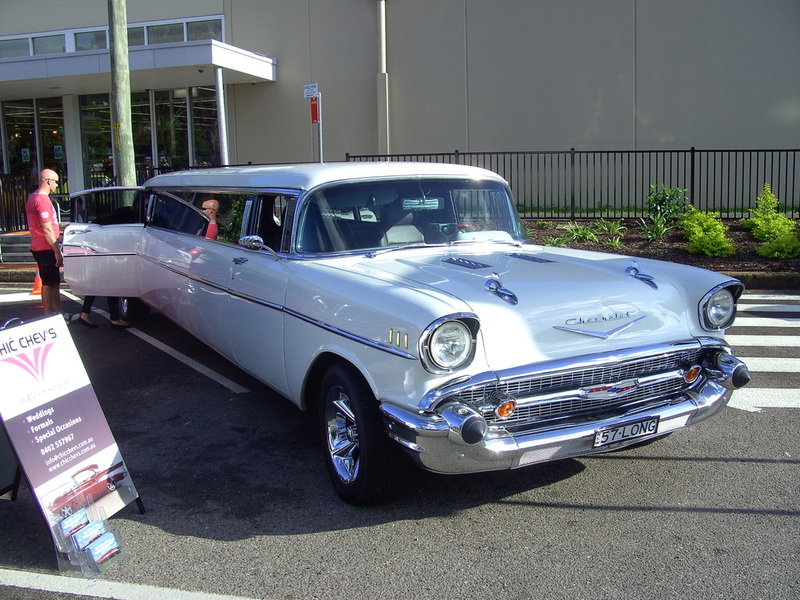 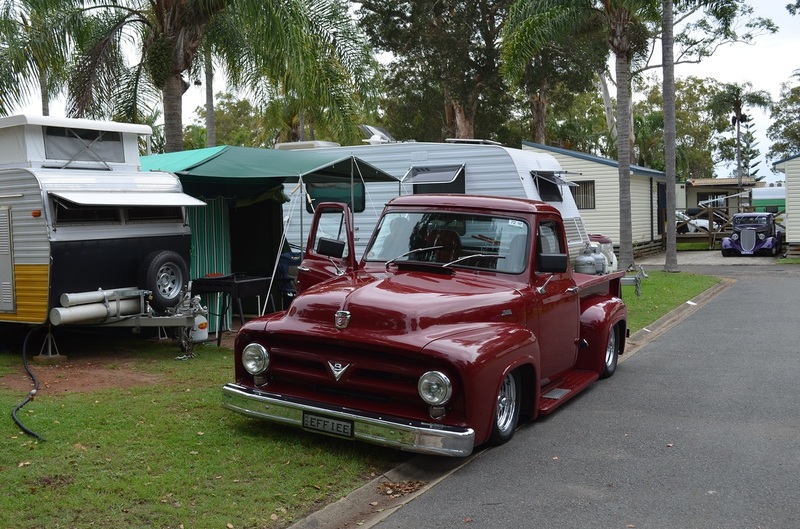 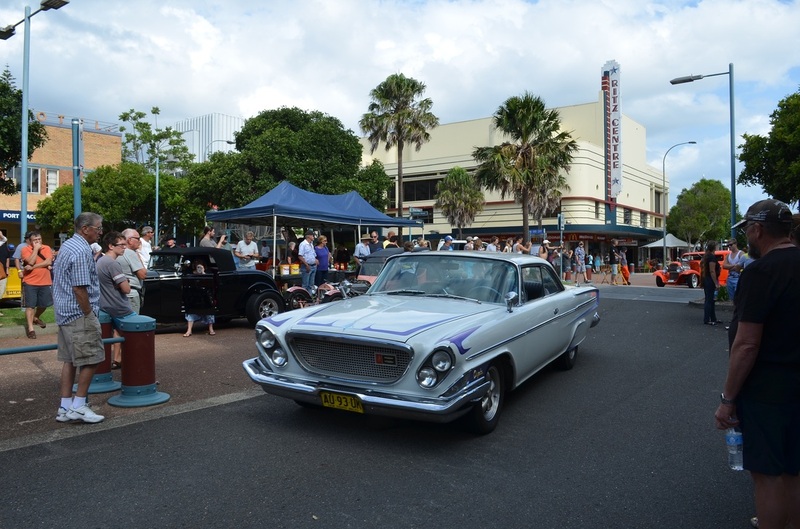 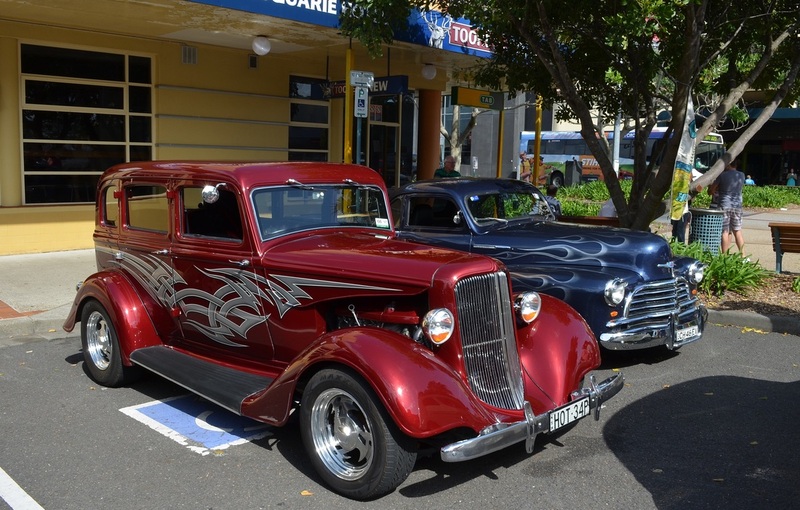 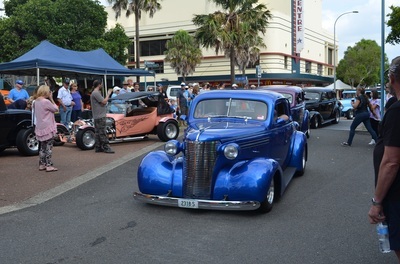 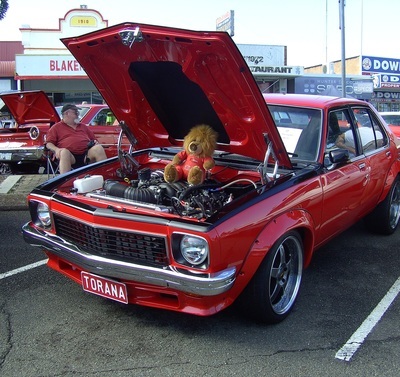 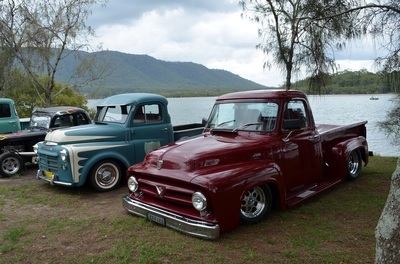 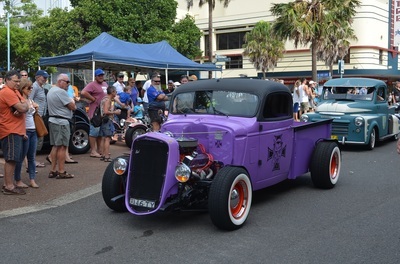 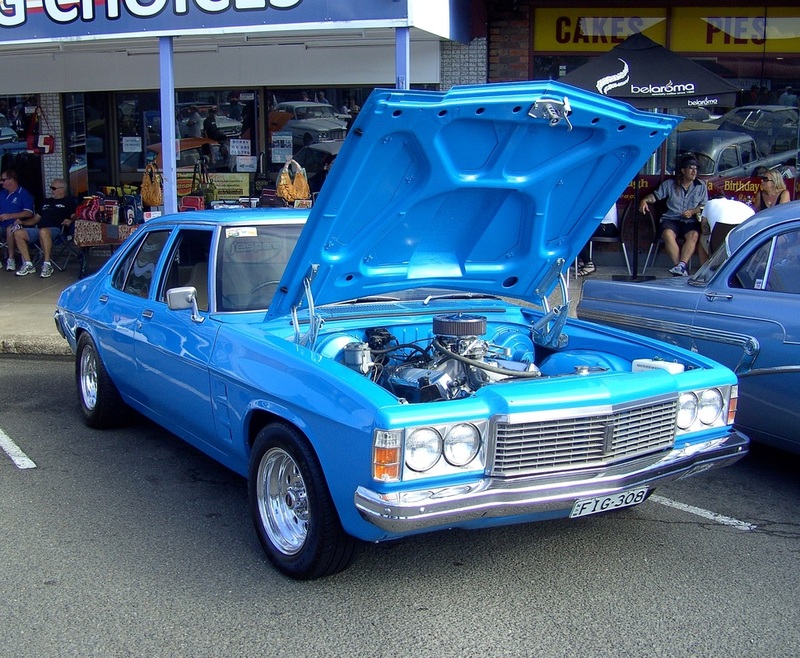 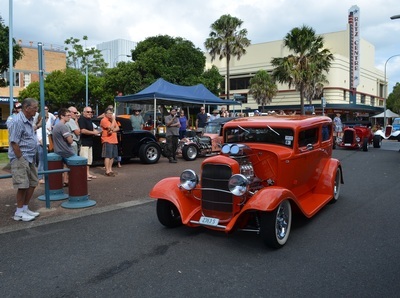 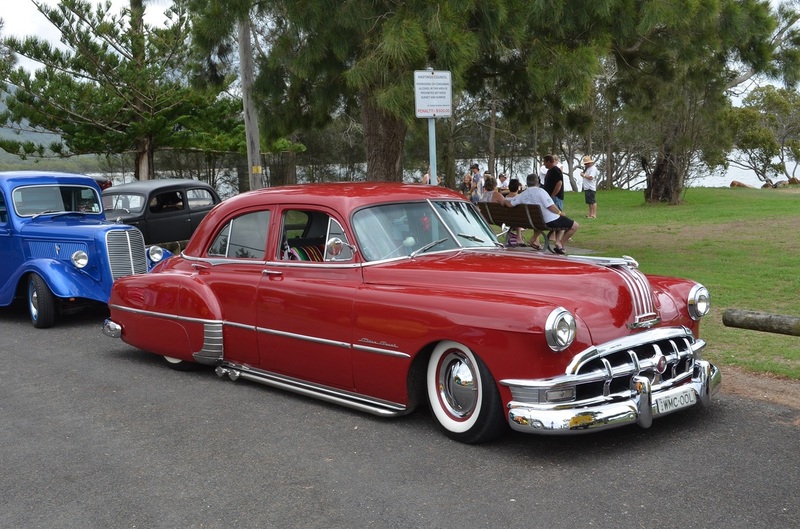 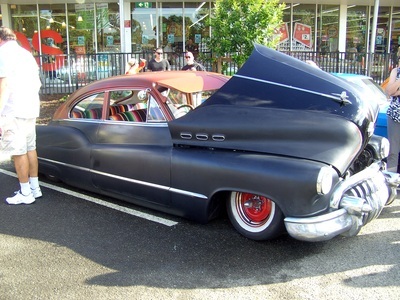 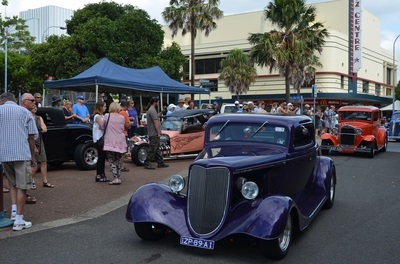 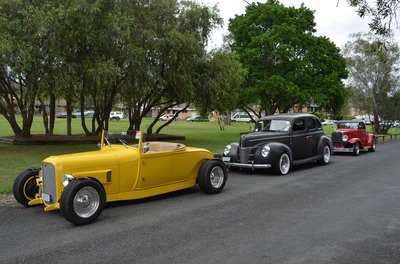 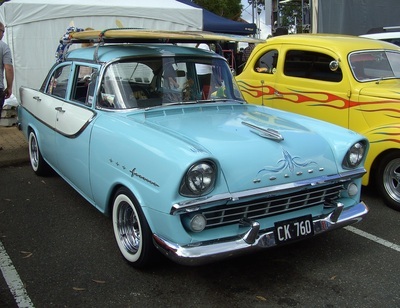 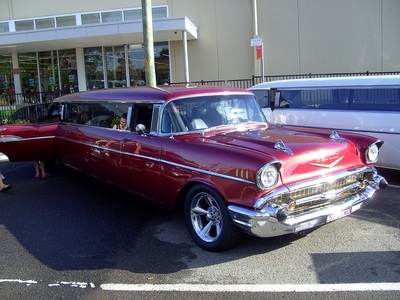 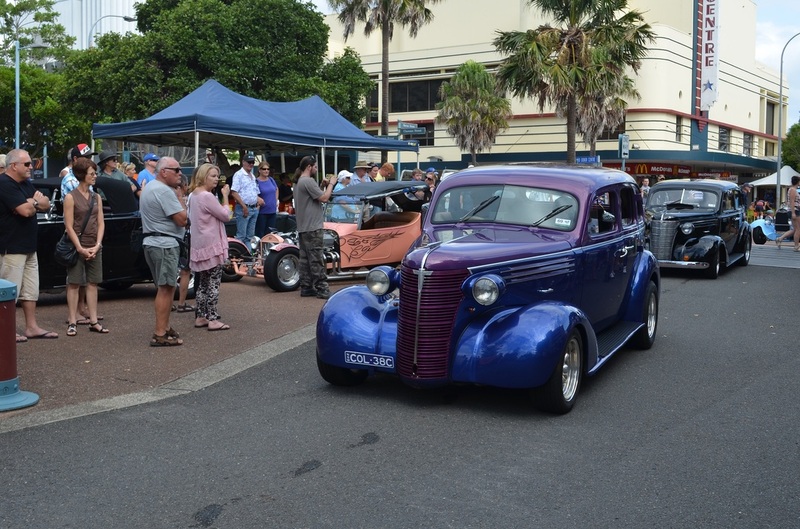 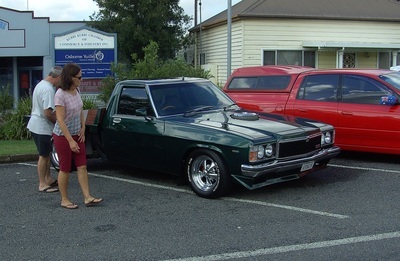 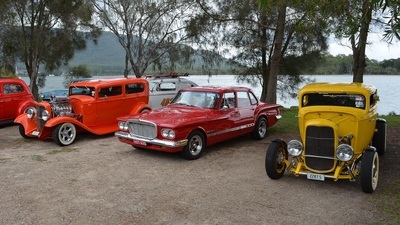 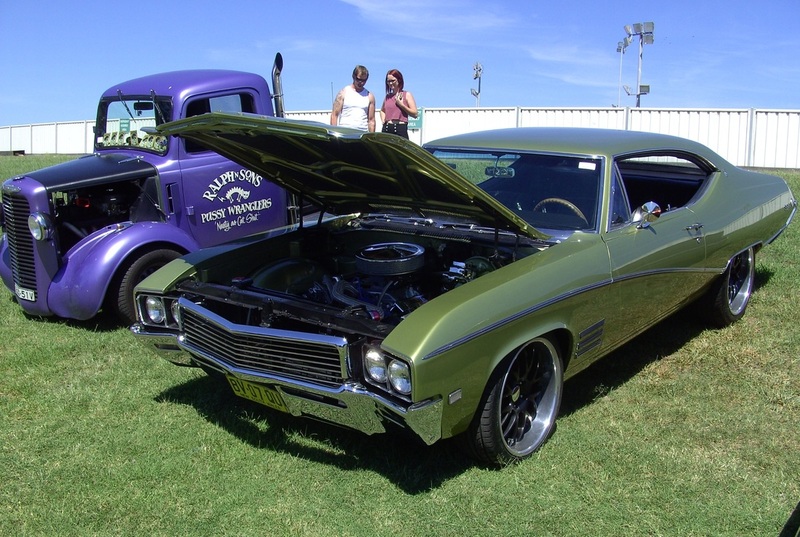 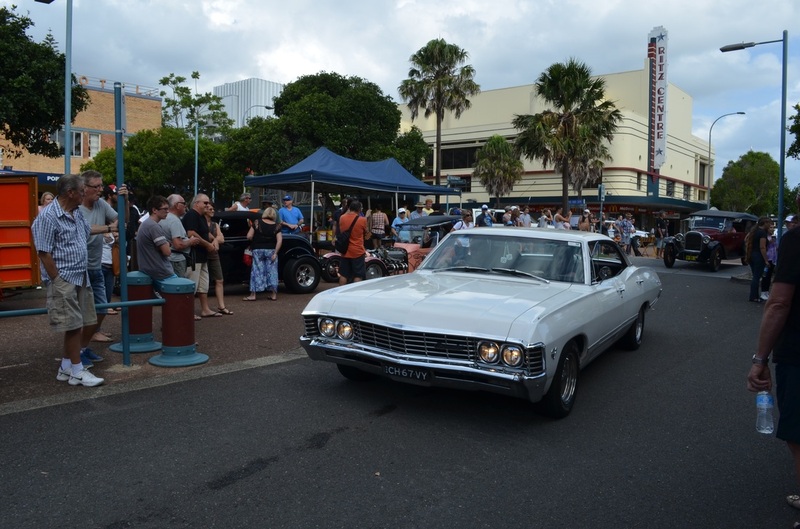 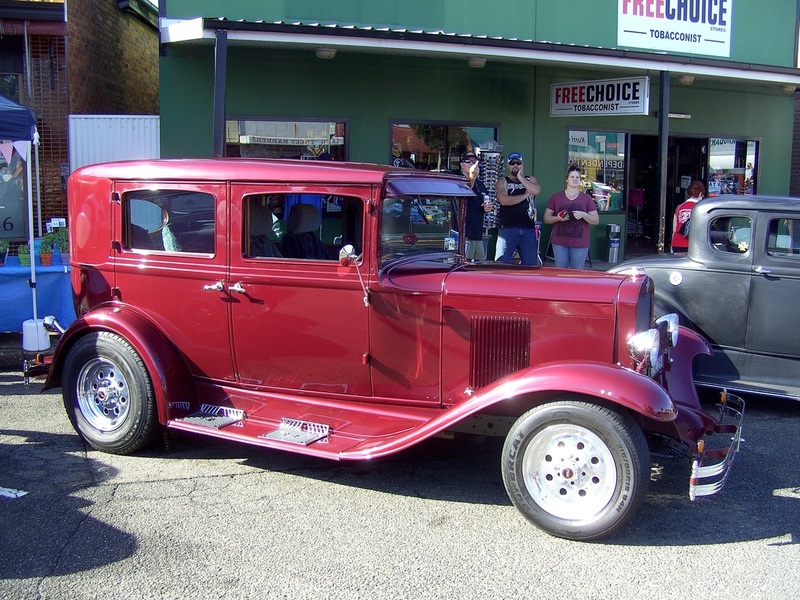 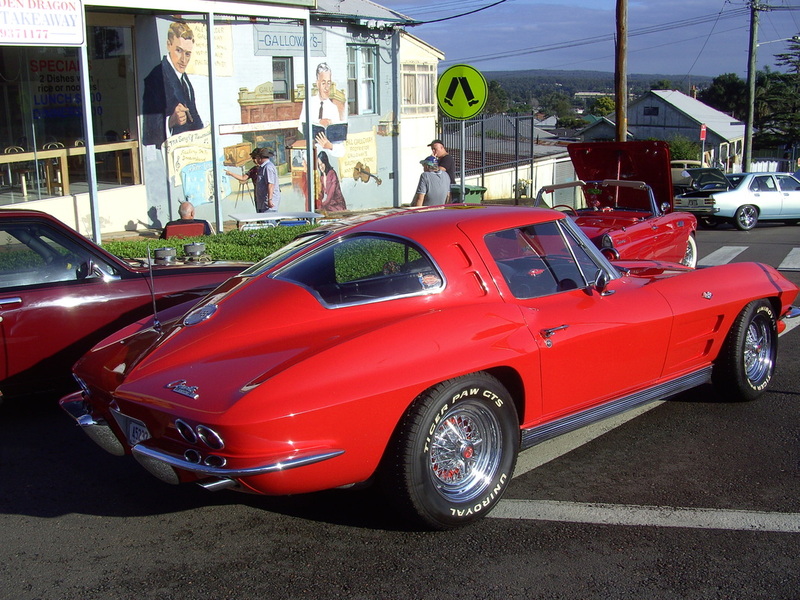 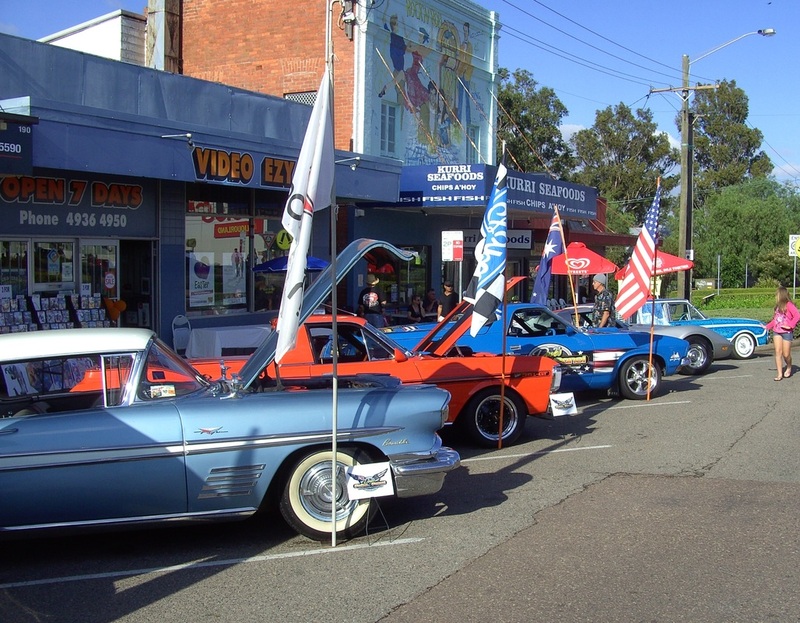 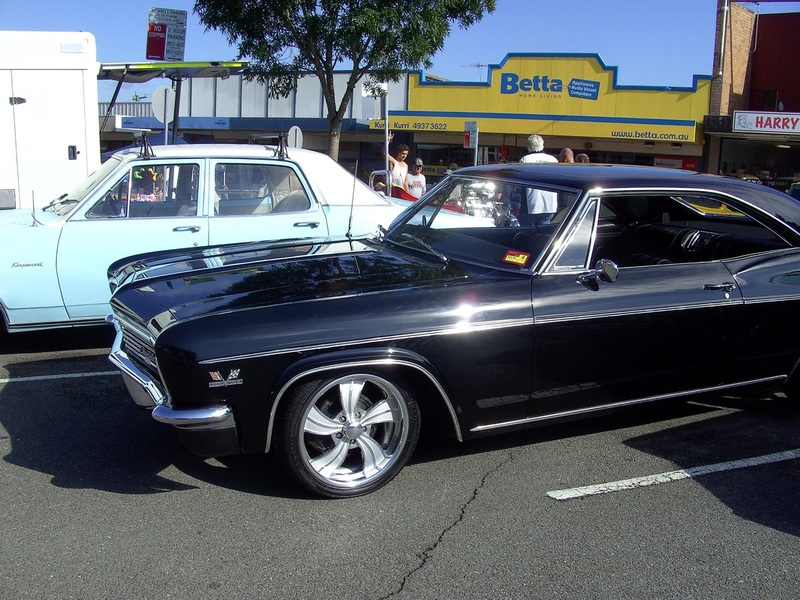 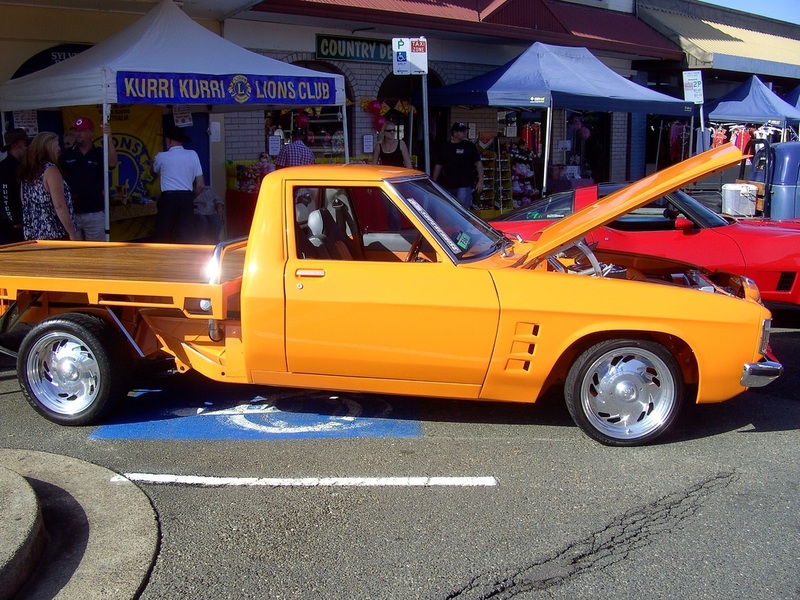 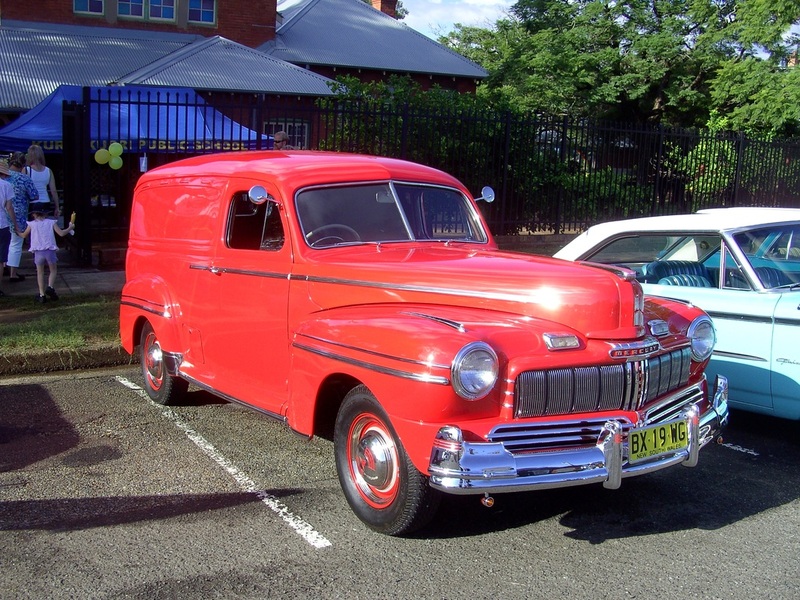 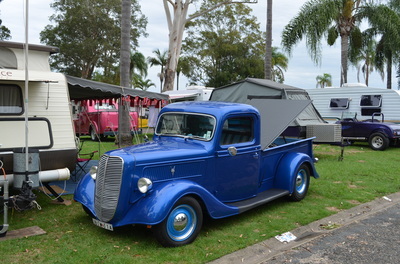 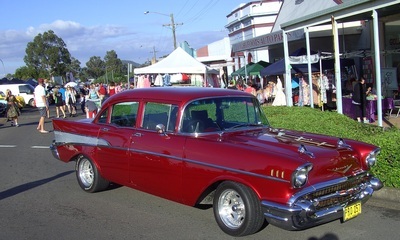 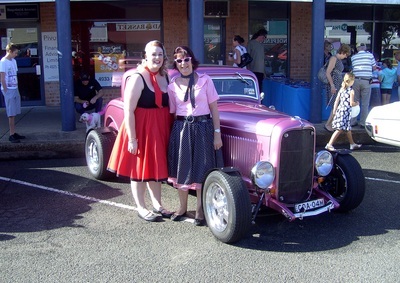 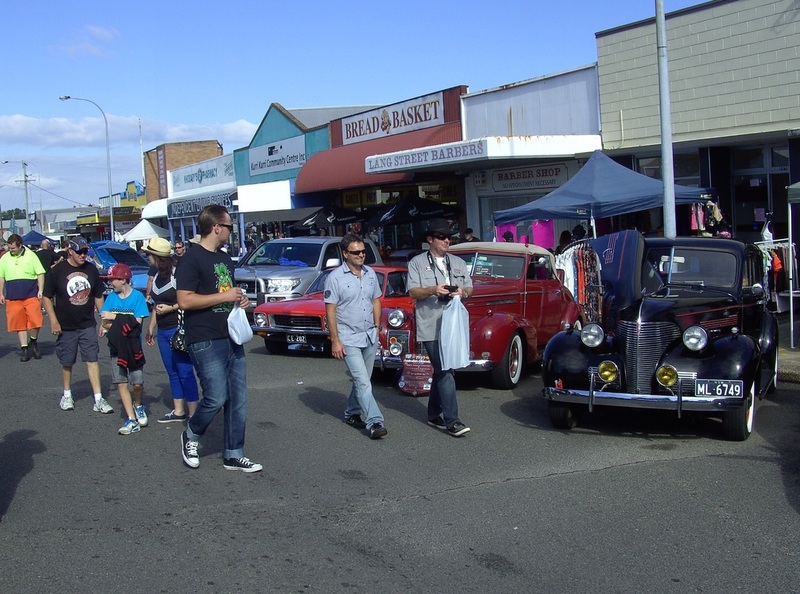 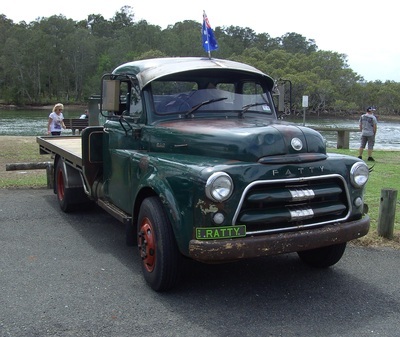 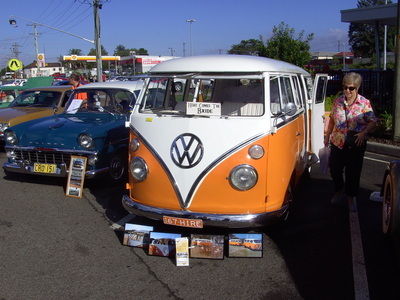 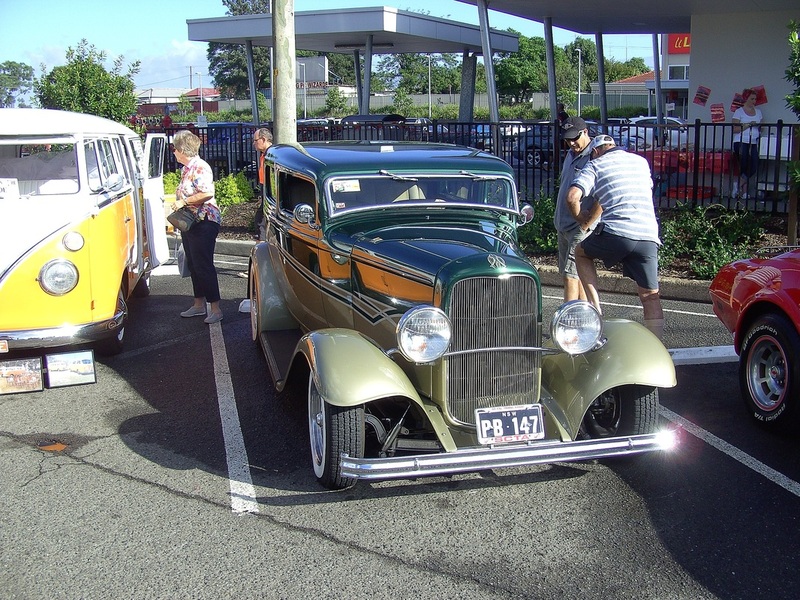 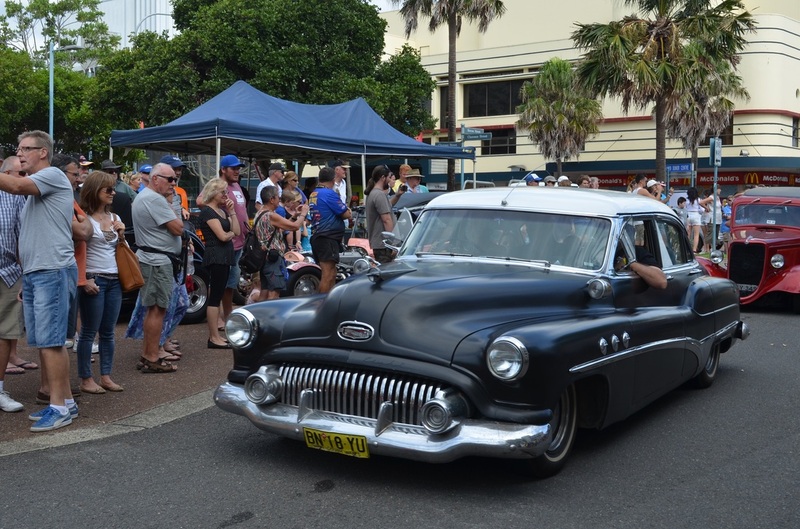 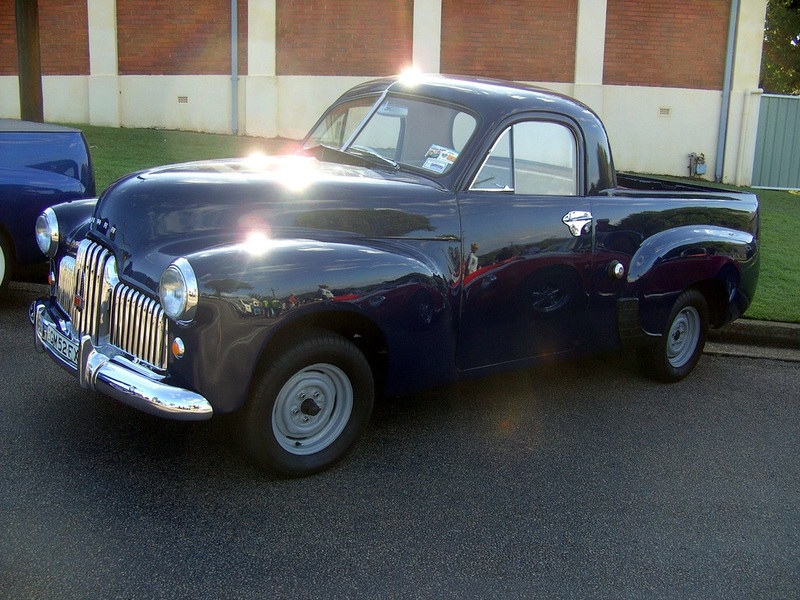 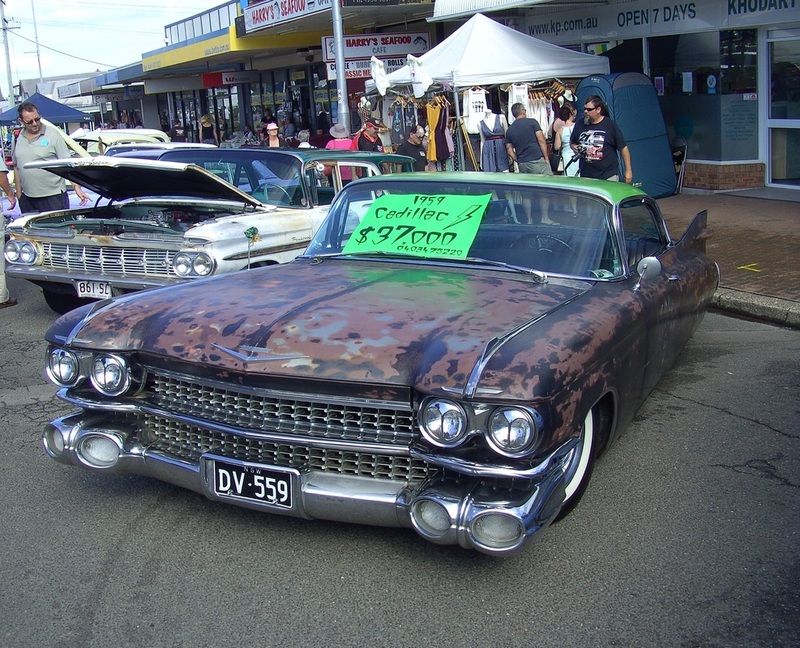 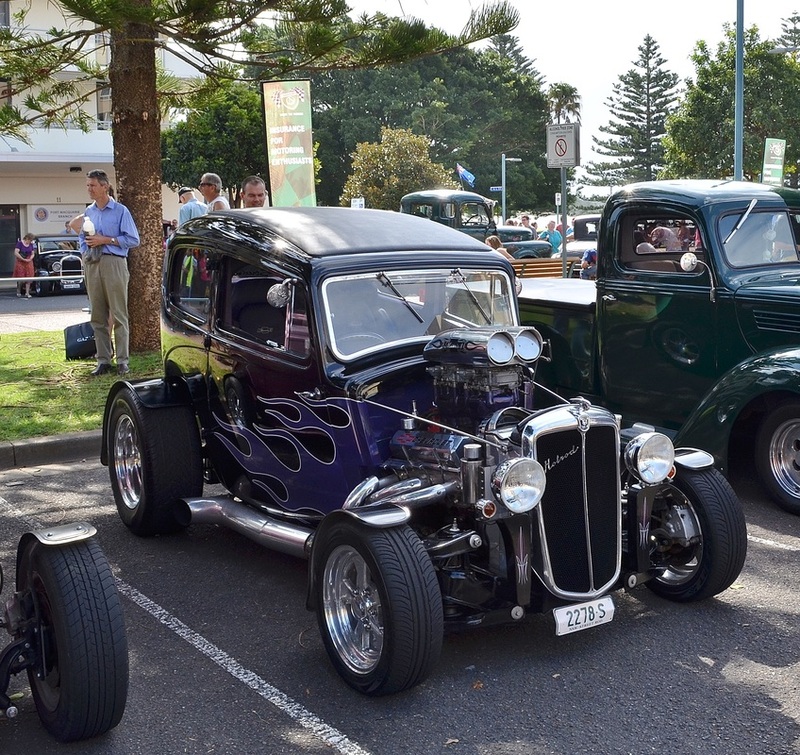 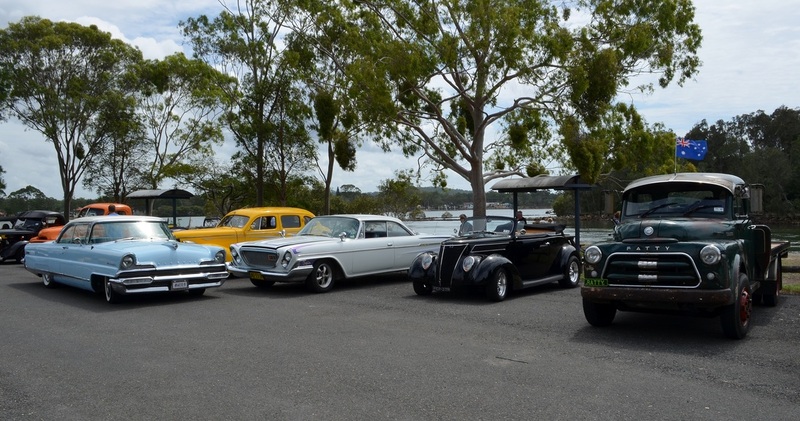 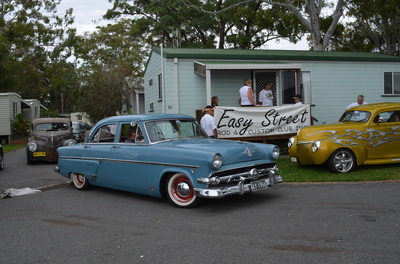 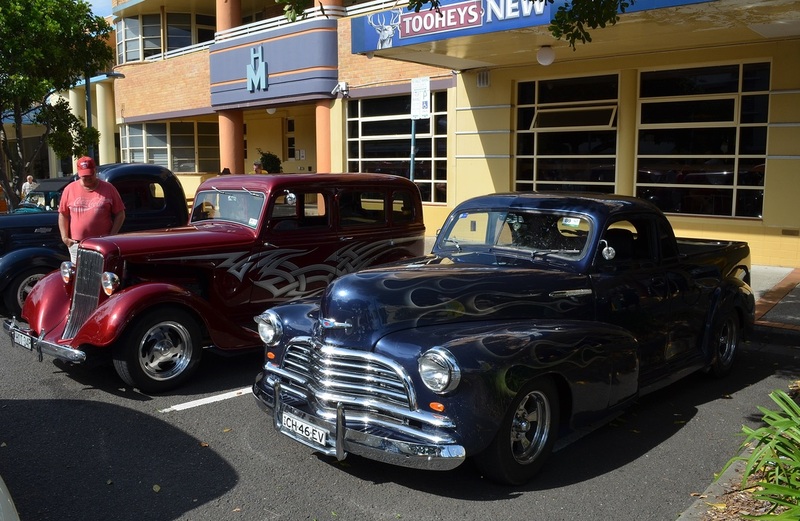 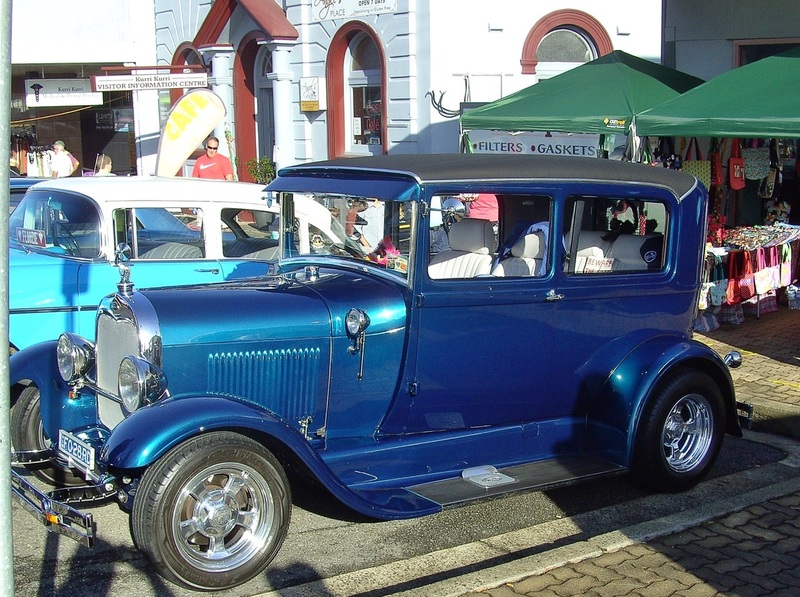 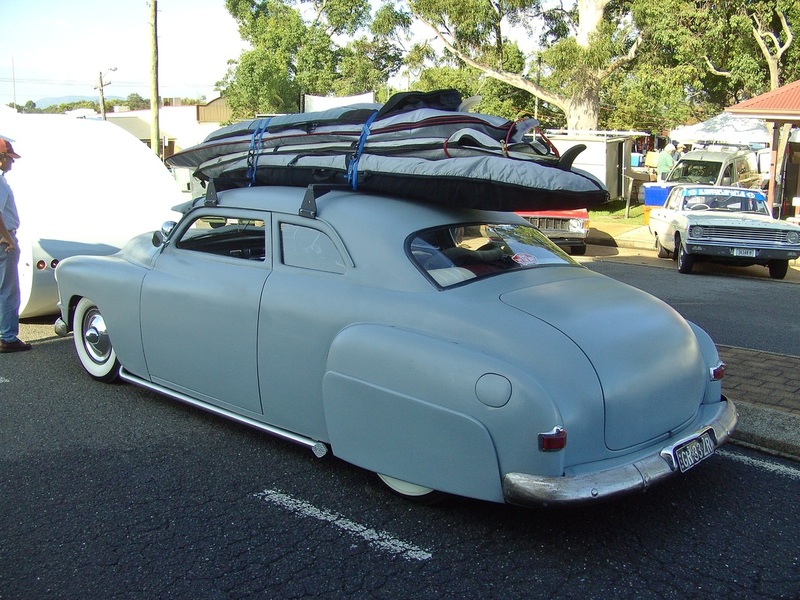 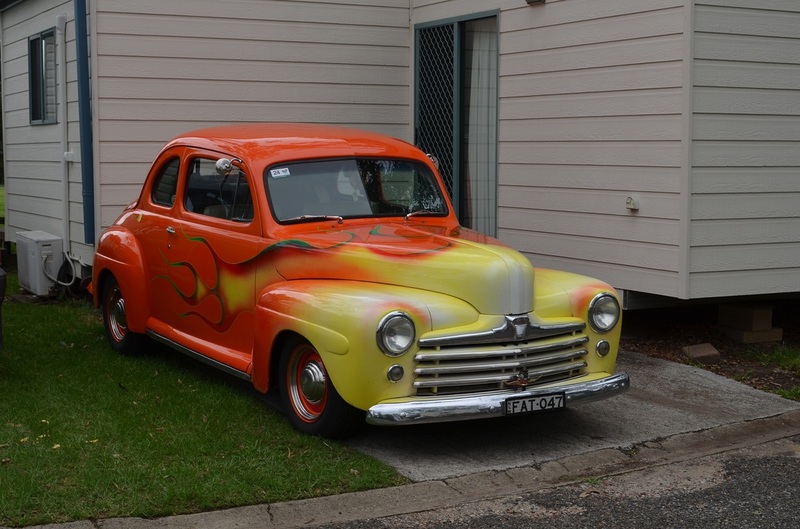 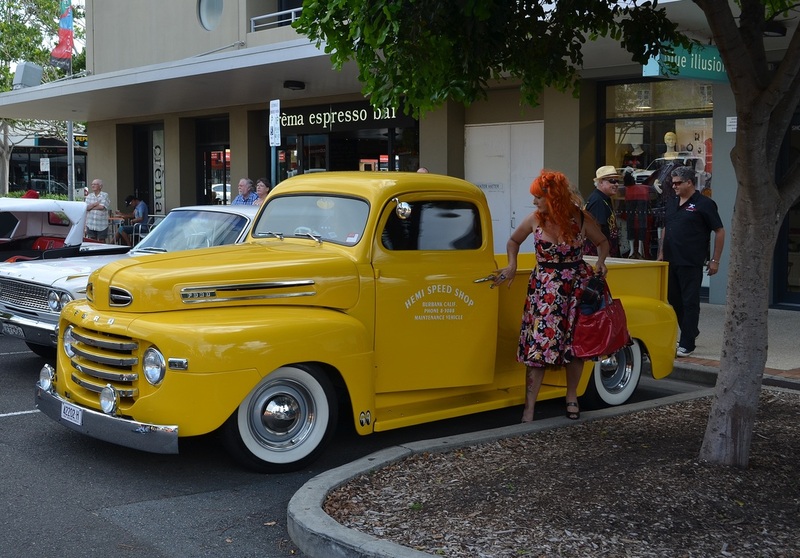 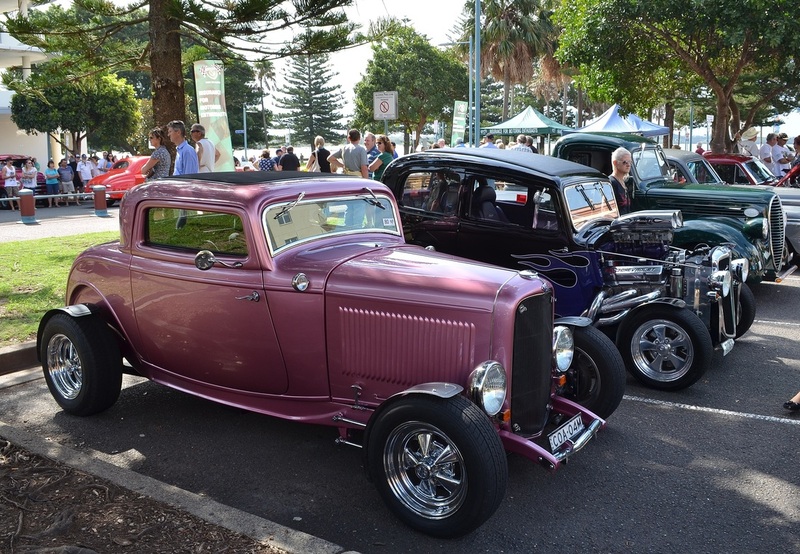 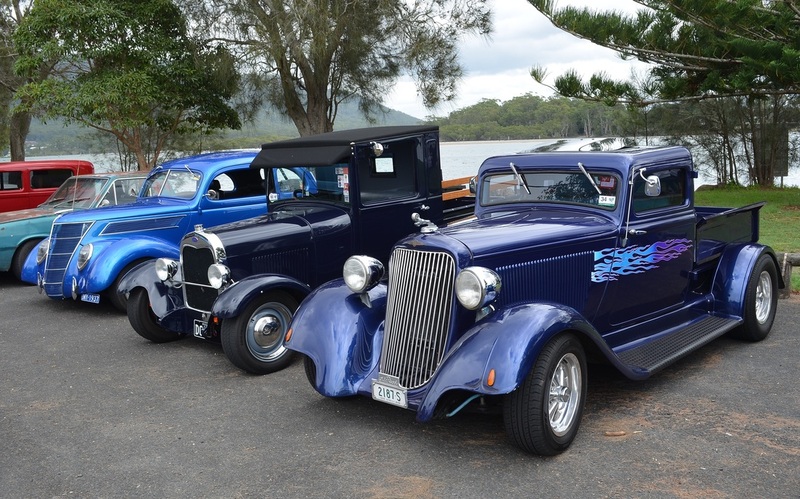 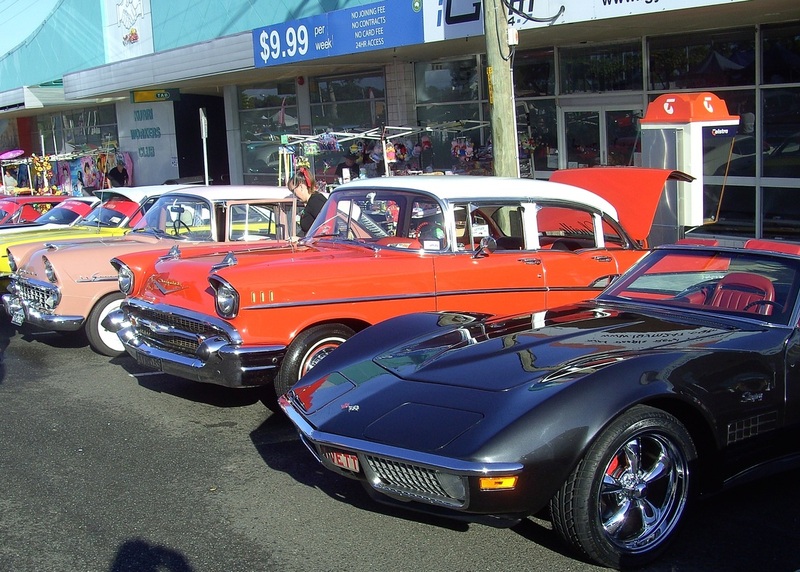 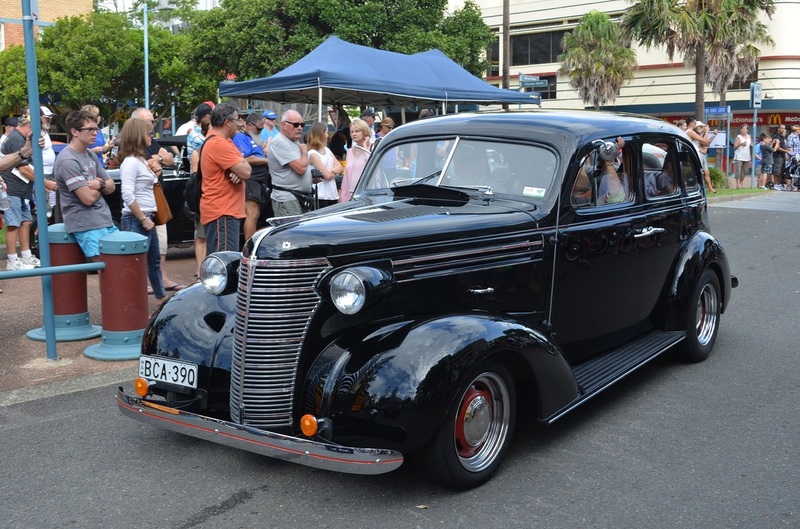 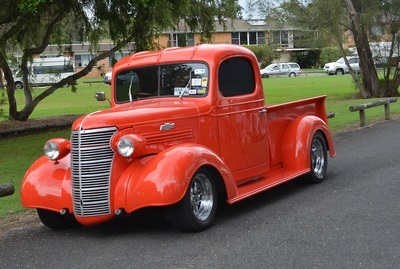 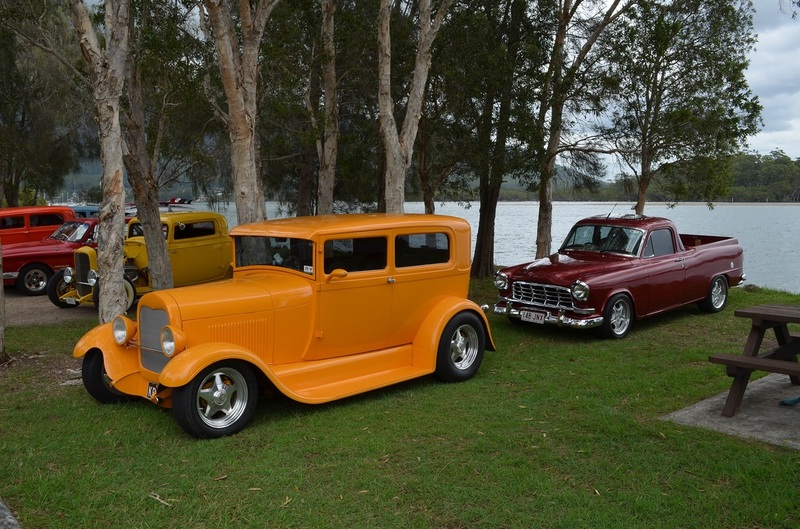 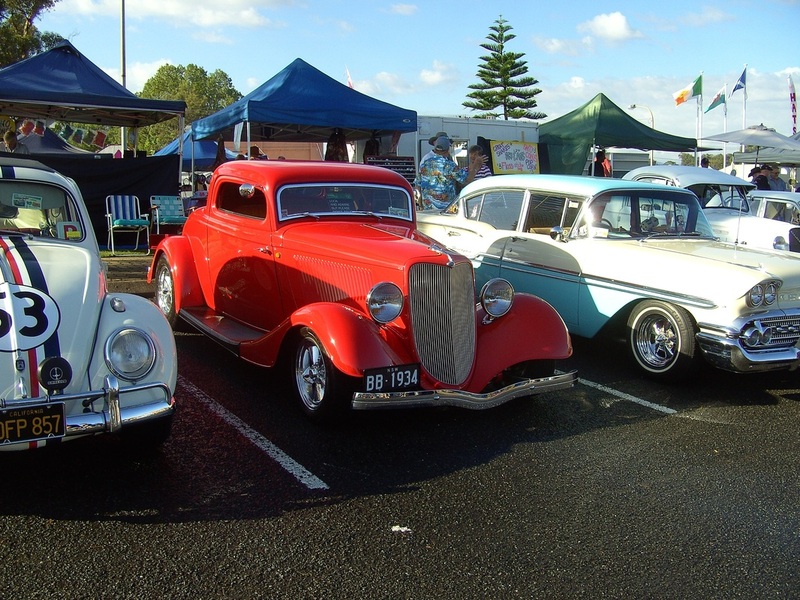 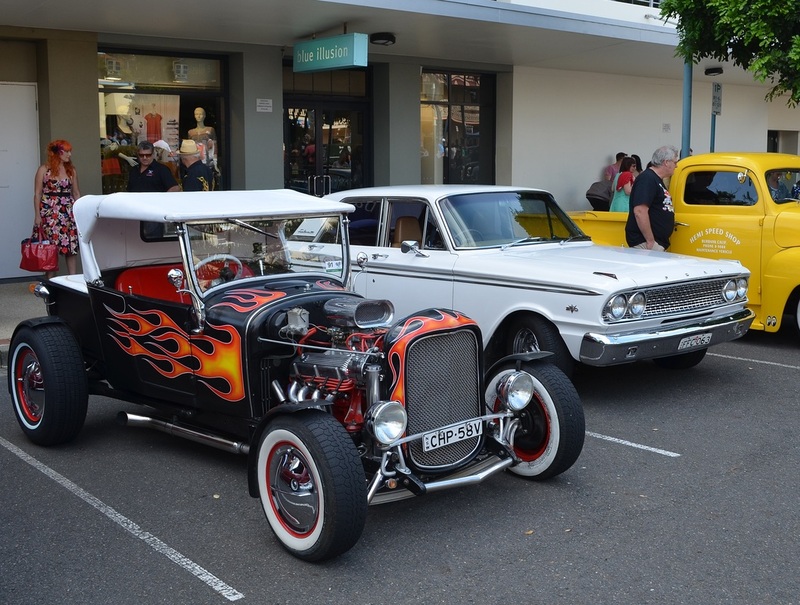 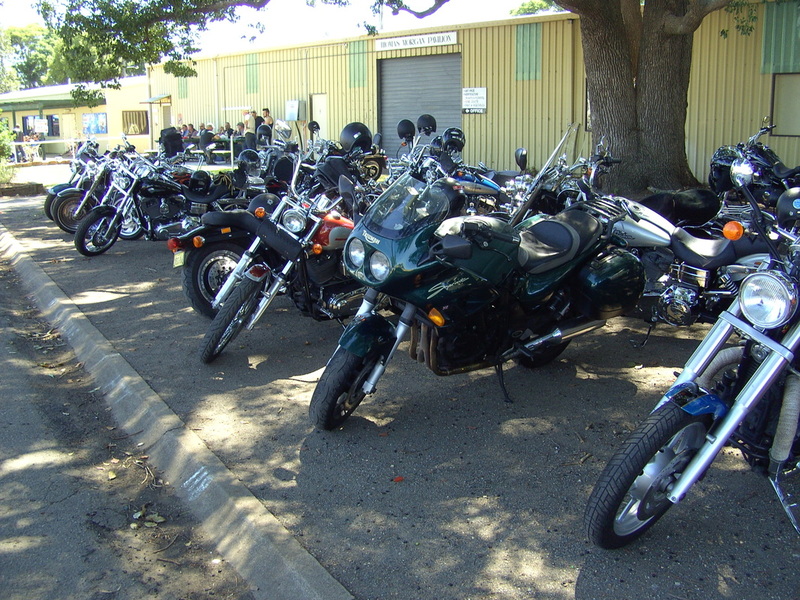 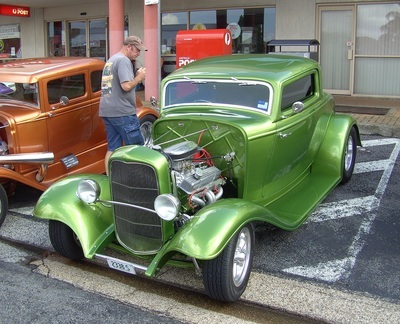 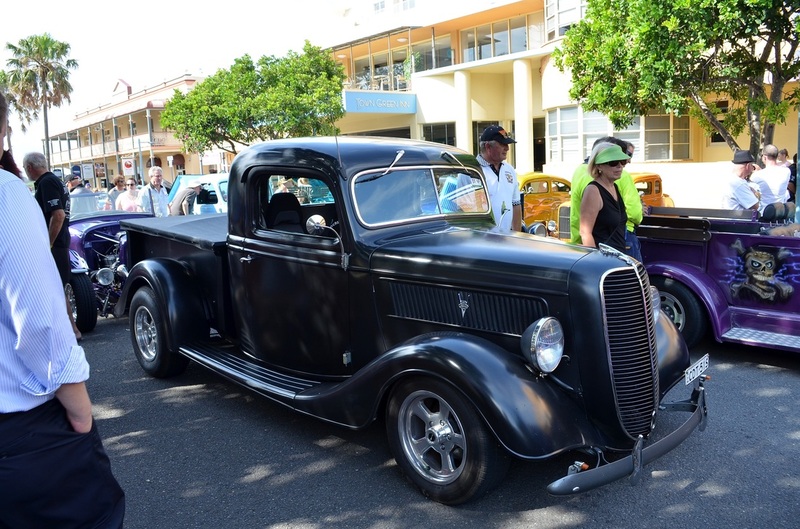 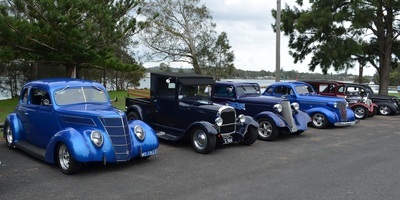 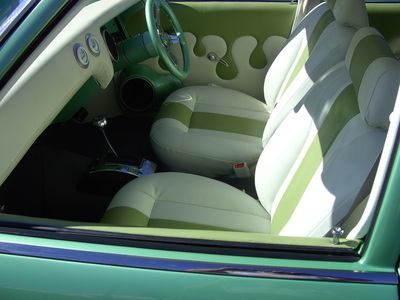 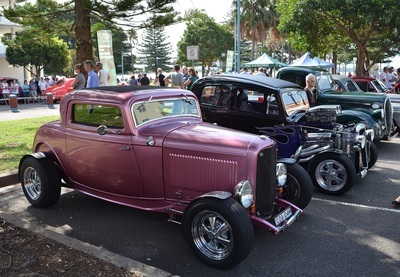 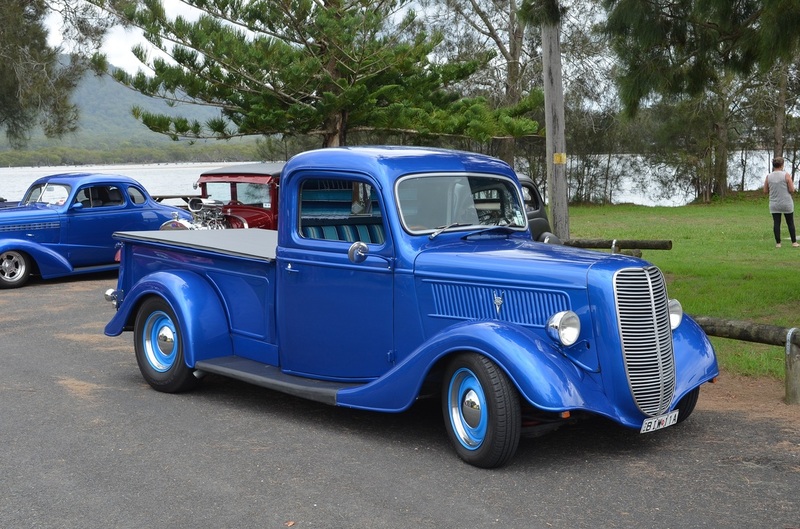 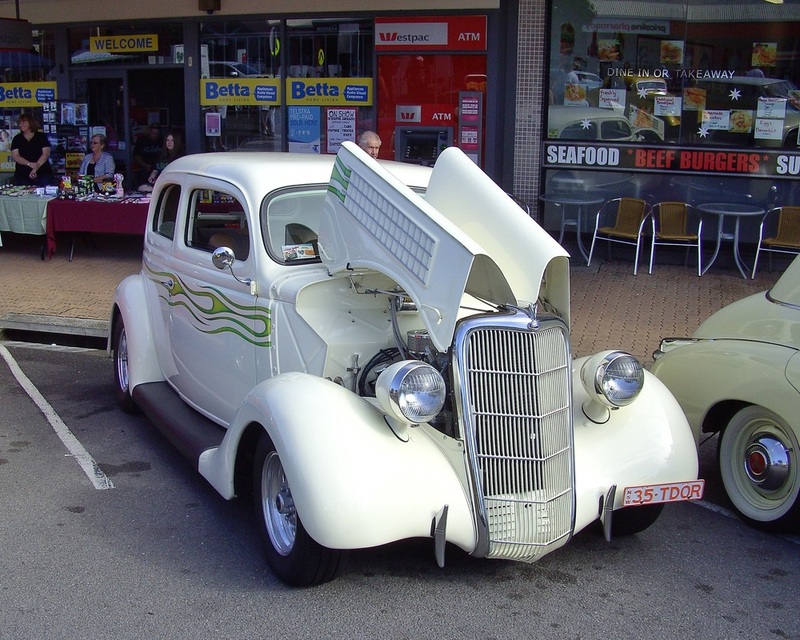 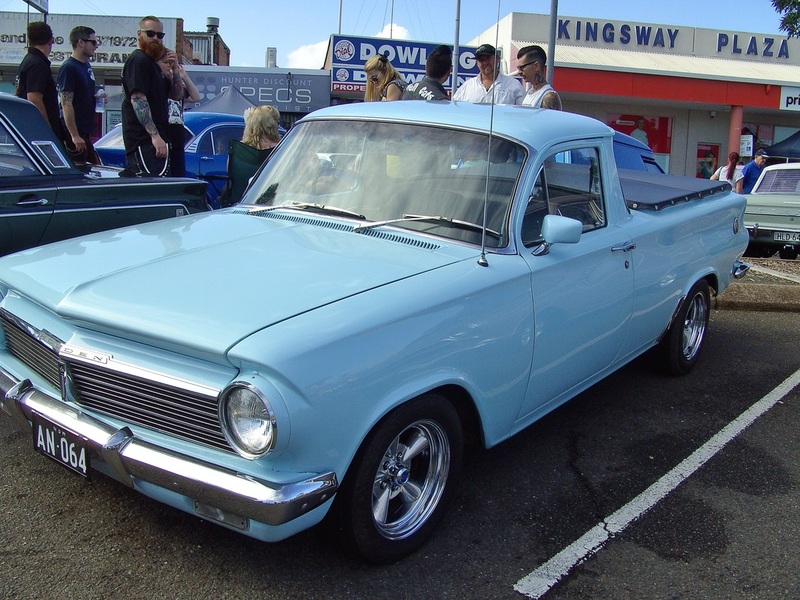 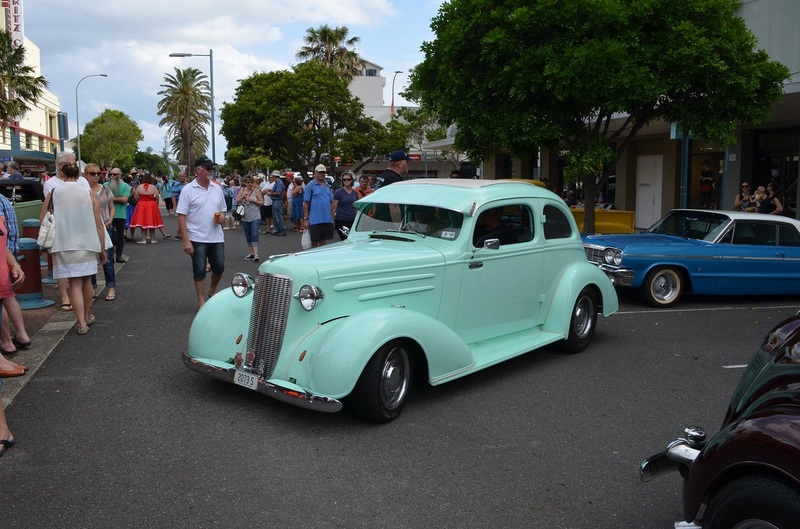 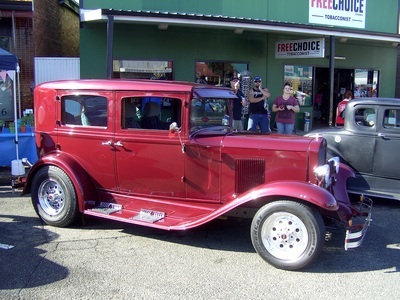 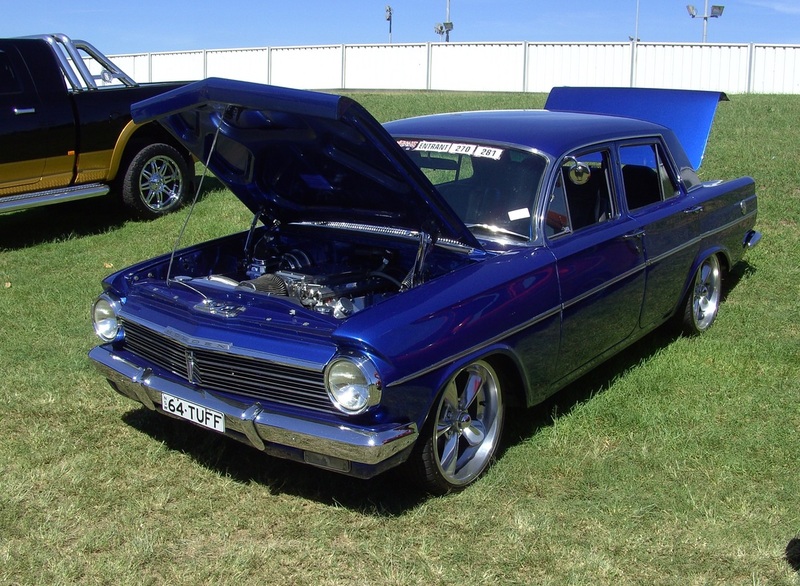 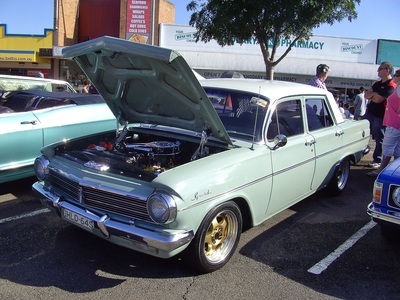 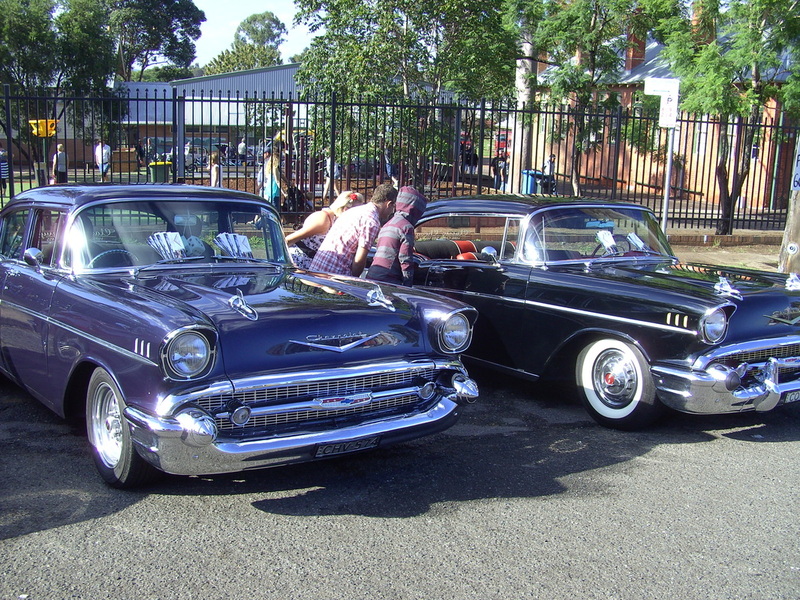 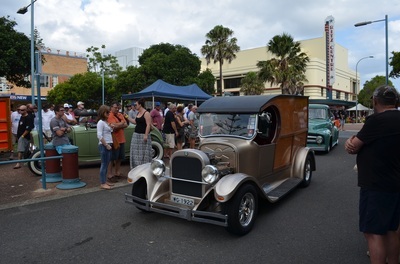 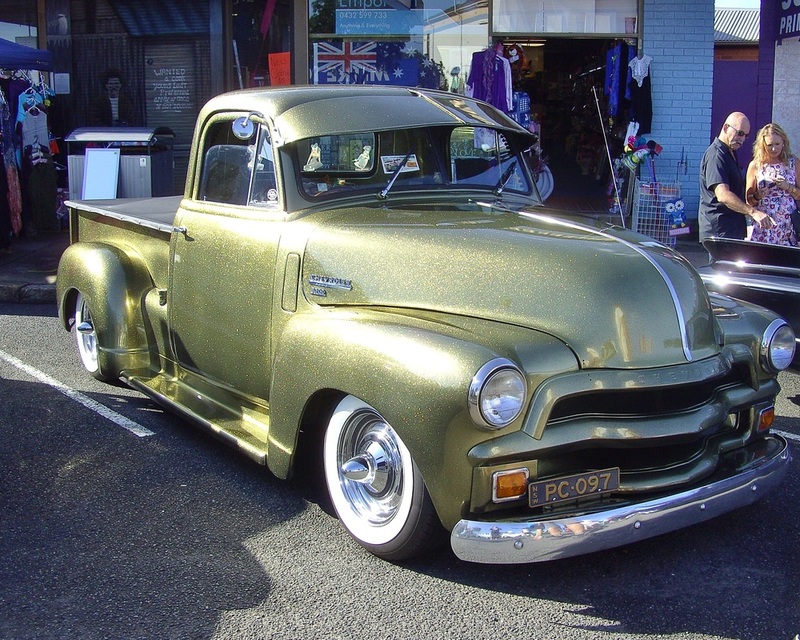 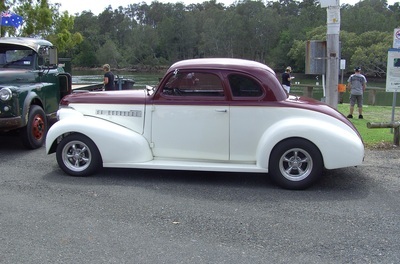 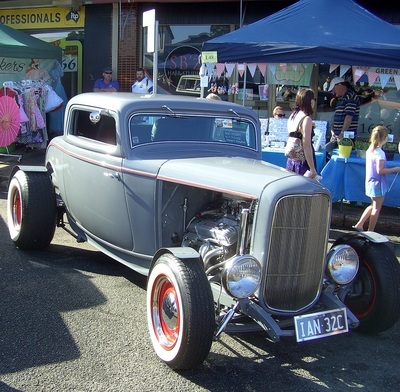 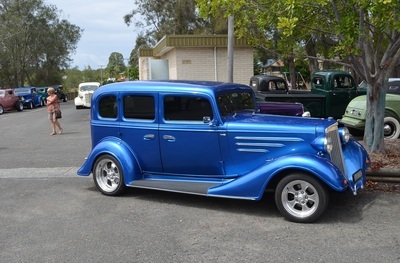 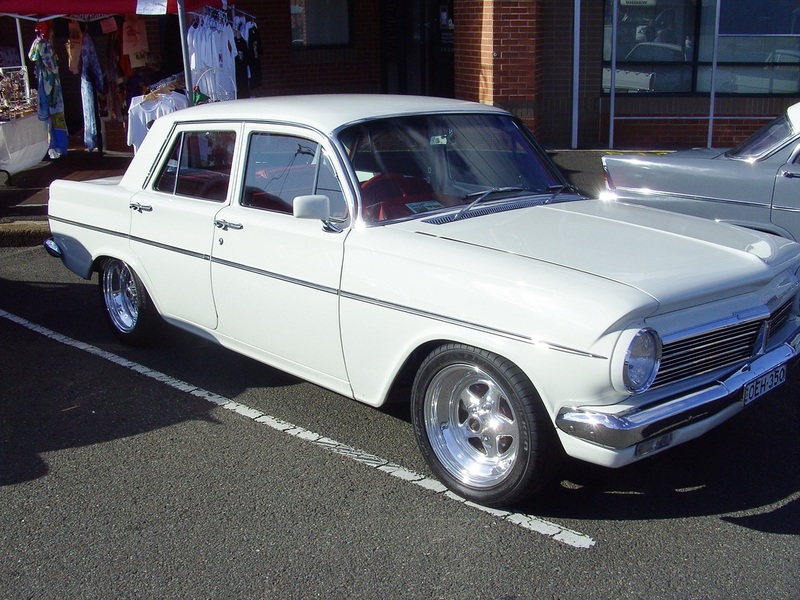 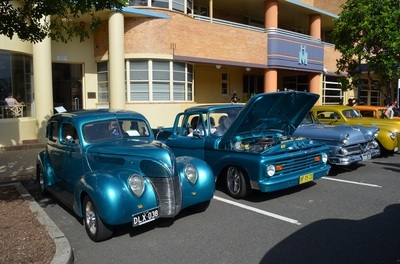 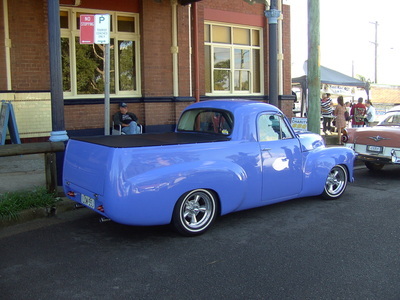 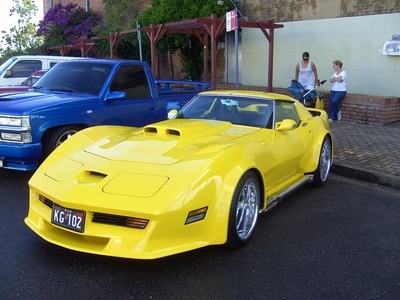 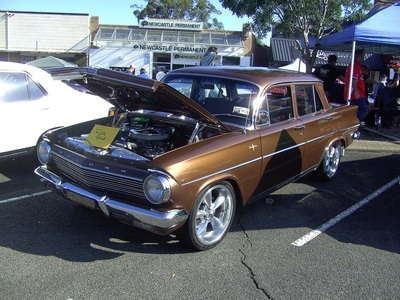 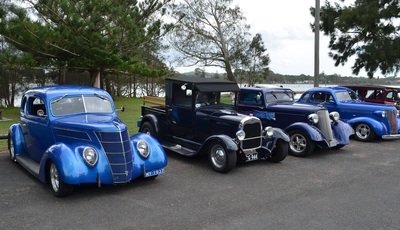 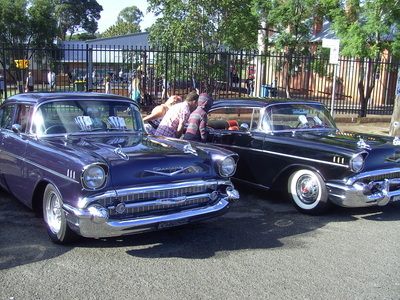 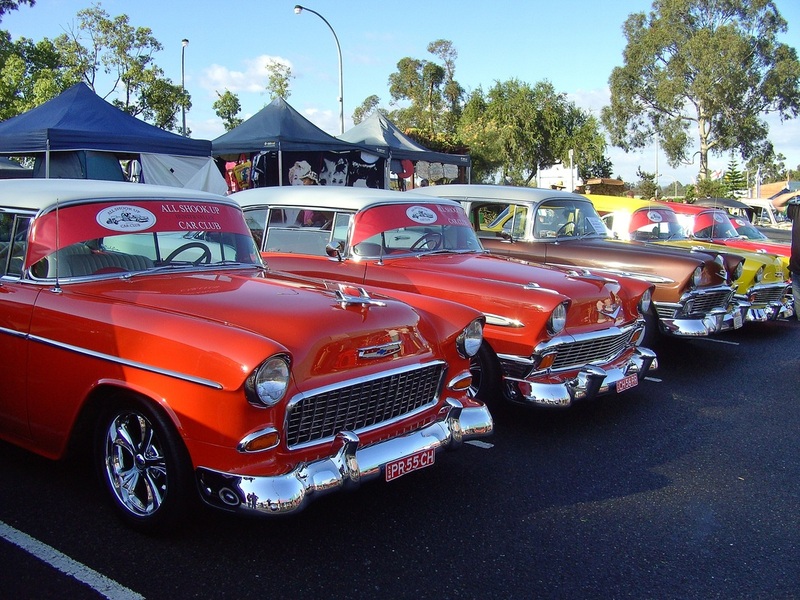 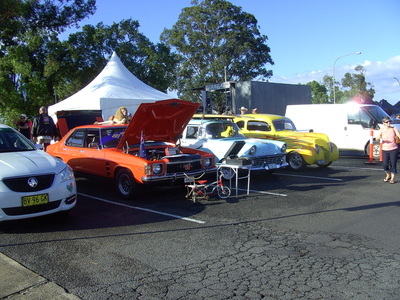 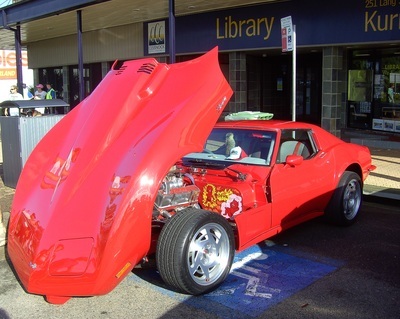 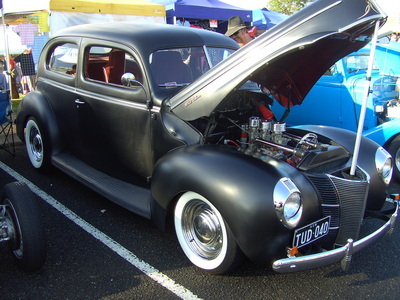 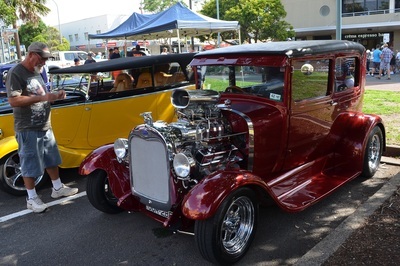 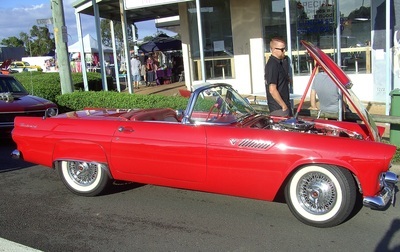 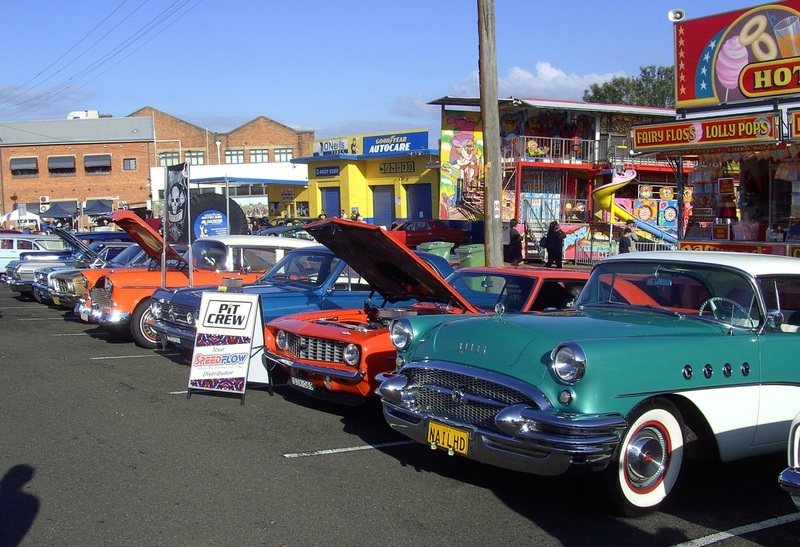 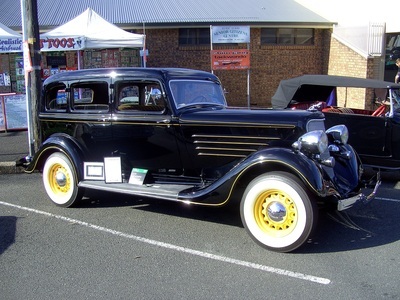 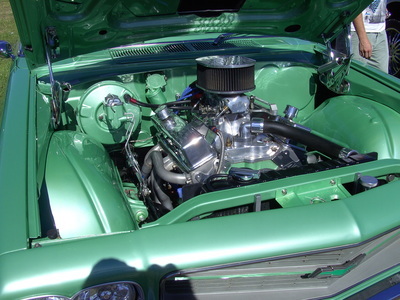 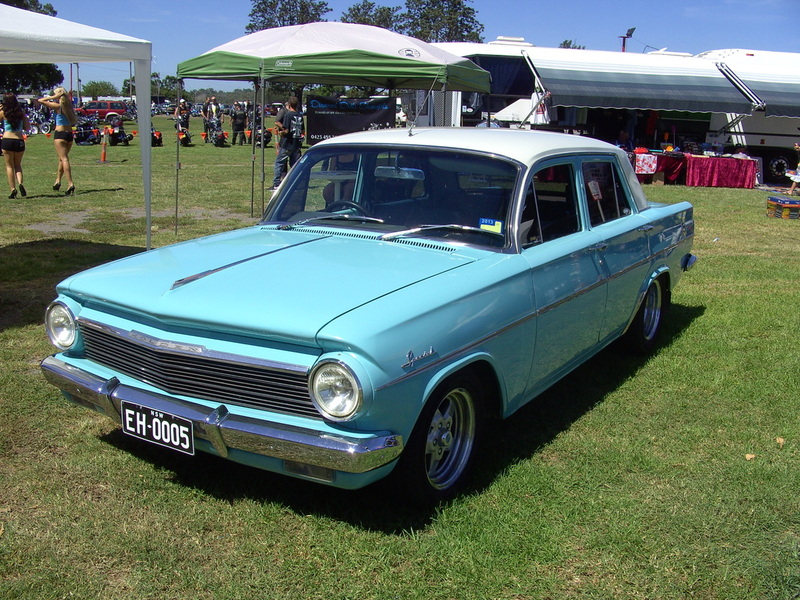 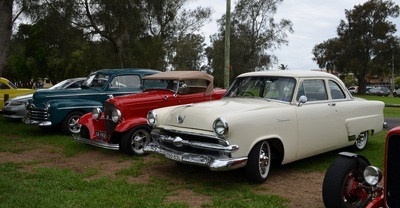 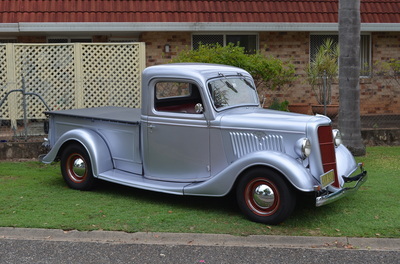 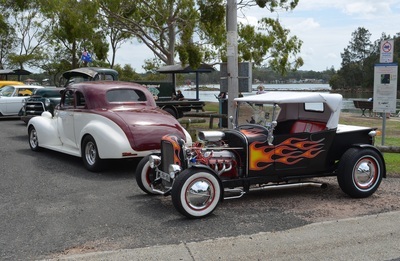 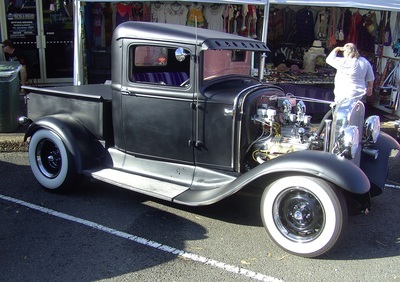 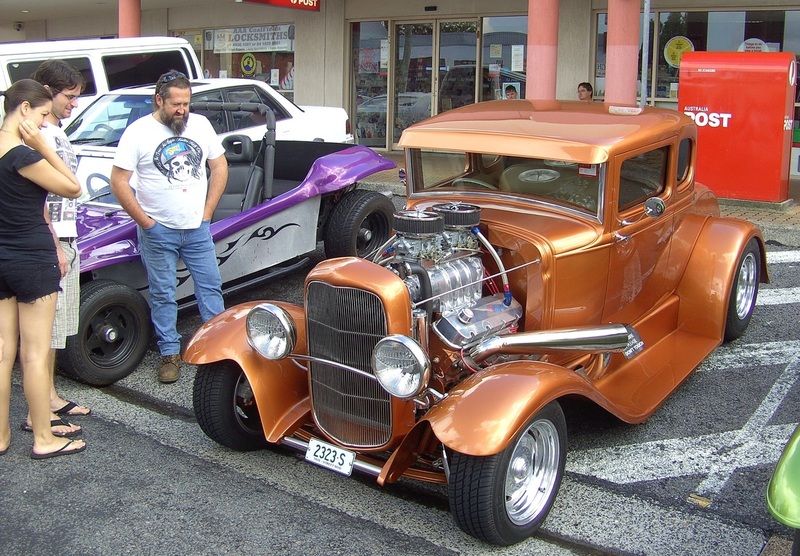 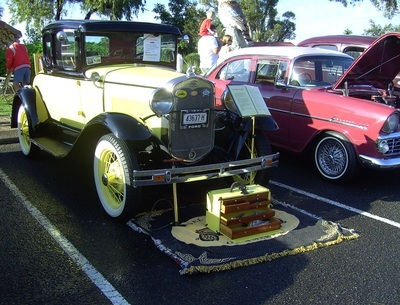 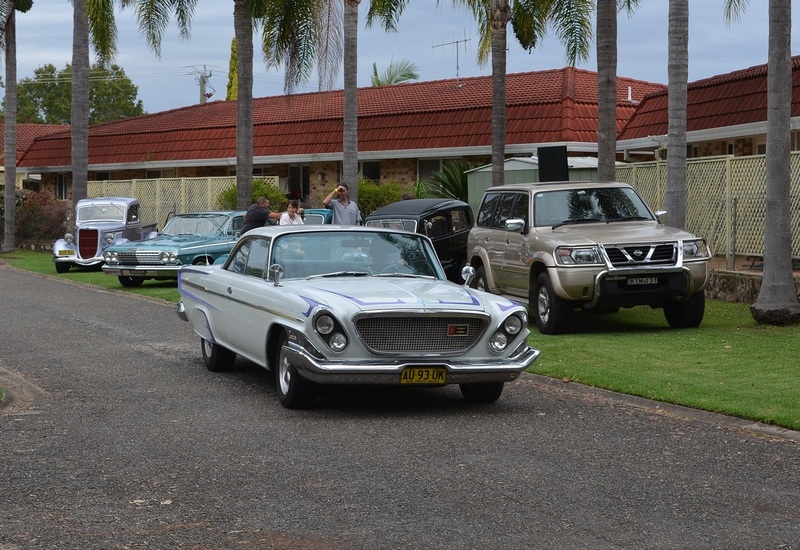 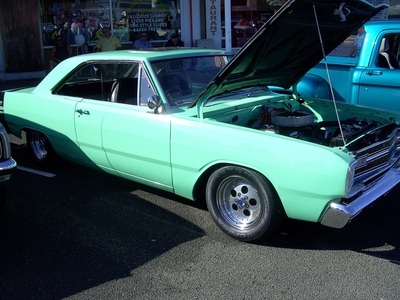 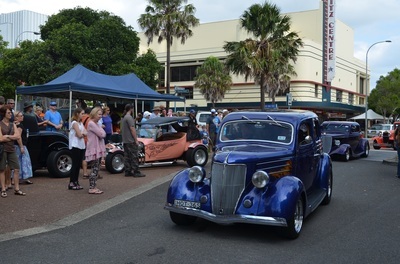 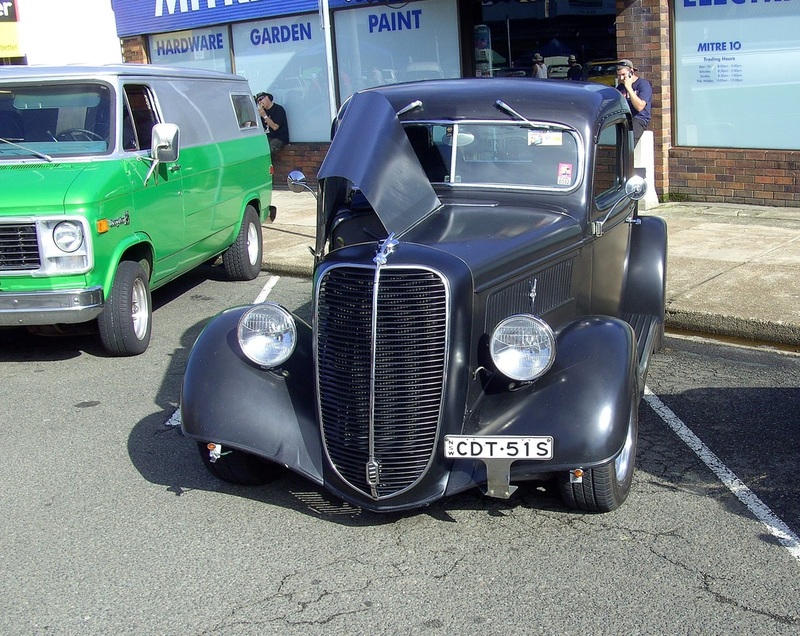 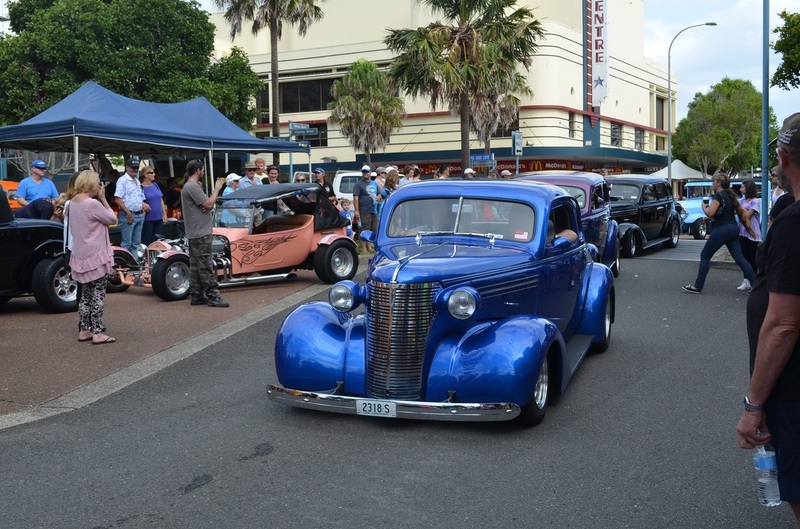 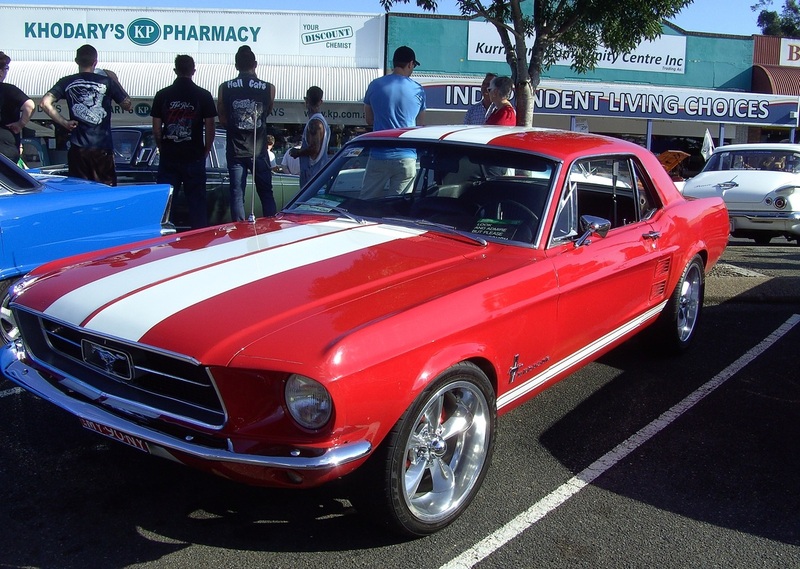 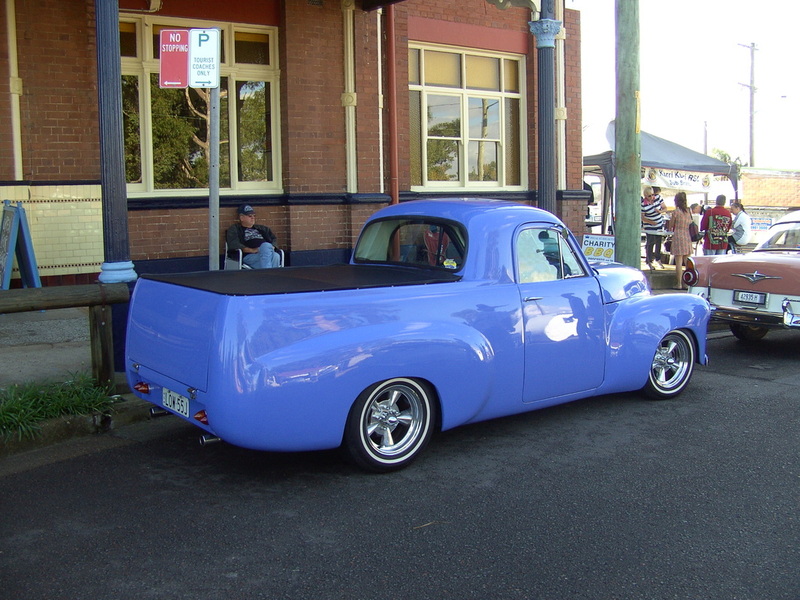 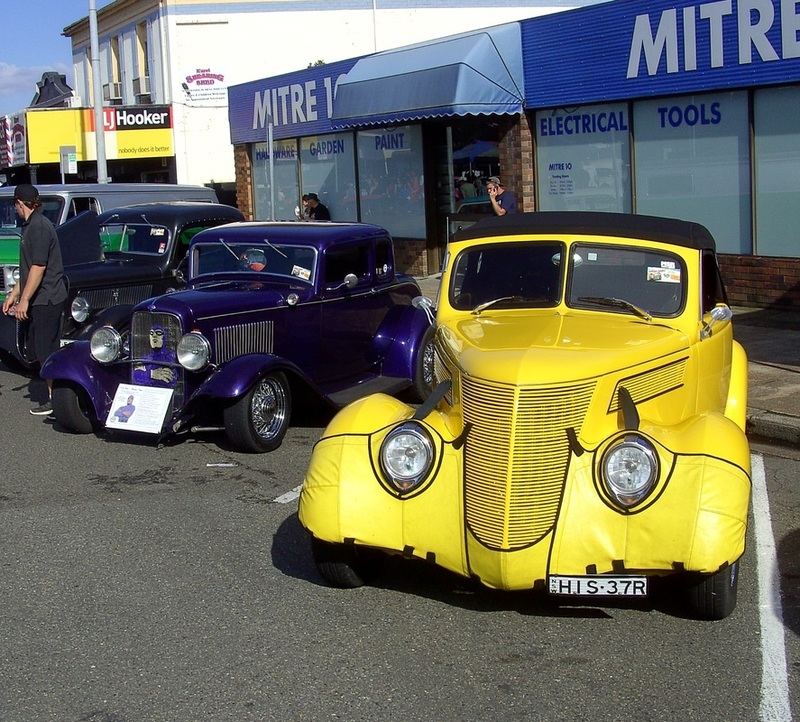 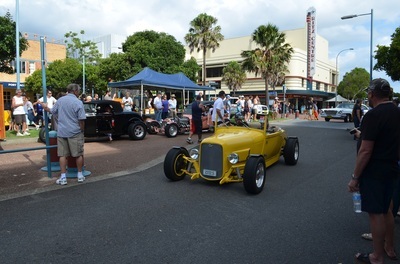 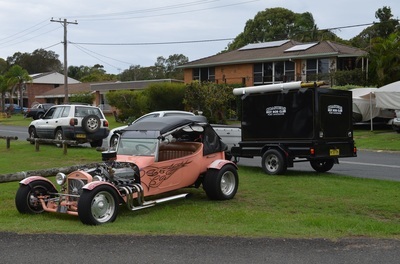 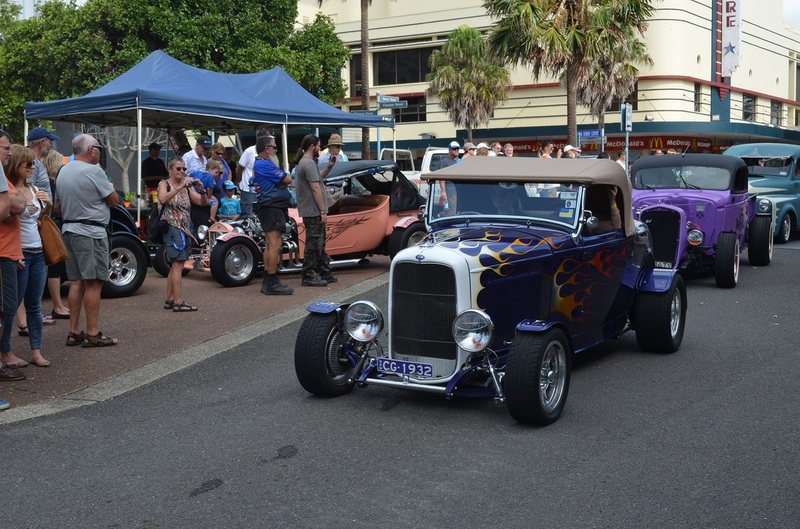 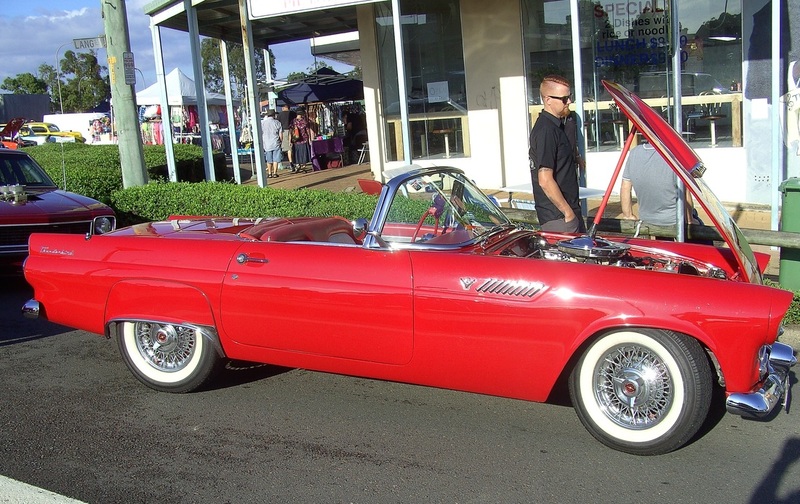 The format was the same as previous years with the Friday night Roast Beef Rolls and Drinks, Saturday cruise then the Show and Shine followed by the party on the wharf. Breakfast was provided on both Saturday and Sunday and the presentation was after breakfast on Sunday. 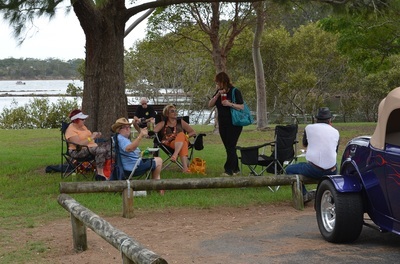 We had a great weekend and with about 120 entrants there were plenty of rods to see and people to catch up with. At the presentation we won a web foot award for 2011 having stuck out the atrocious weather. 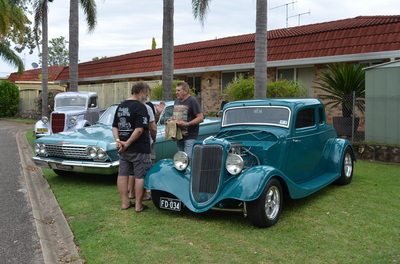 While we did not win any trophies this year Bob, Ron and Paul won the first 3 prizes in the raffle which was a great thrill. 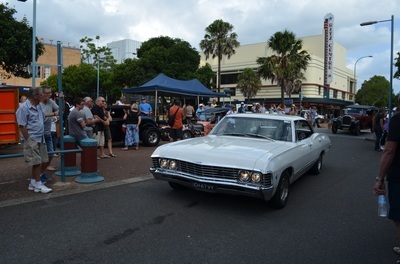 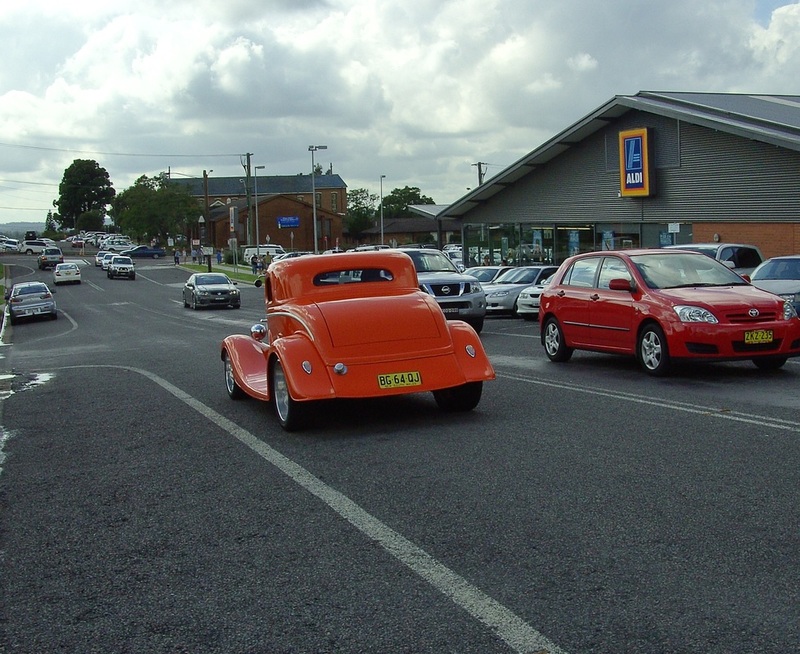 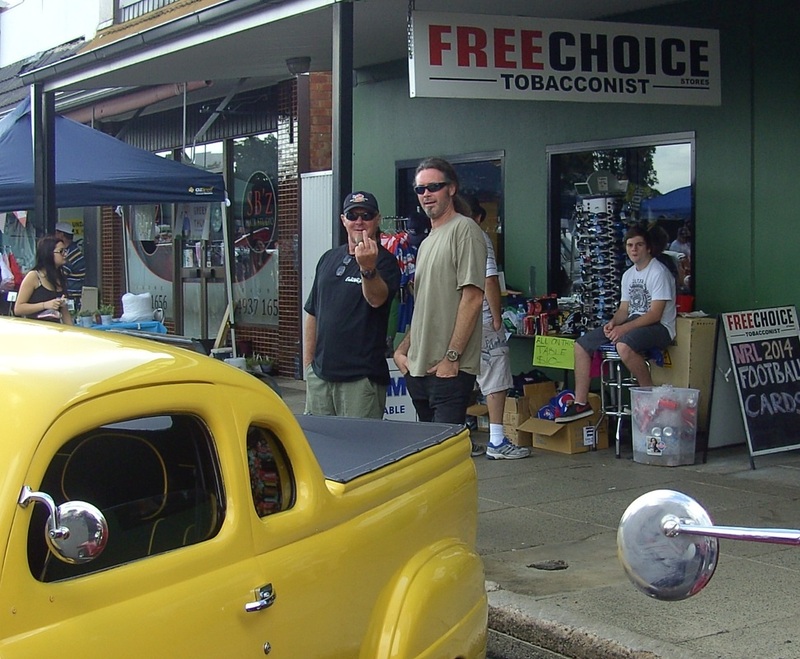 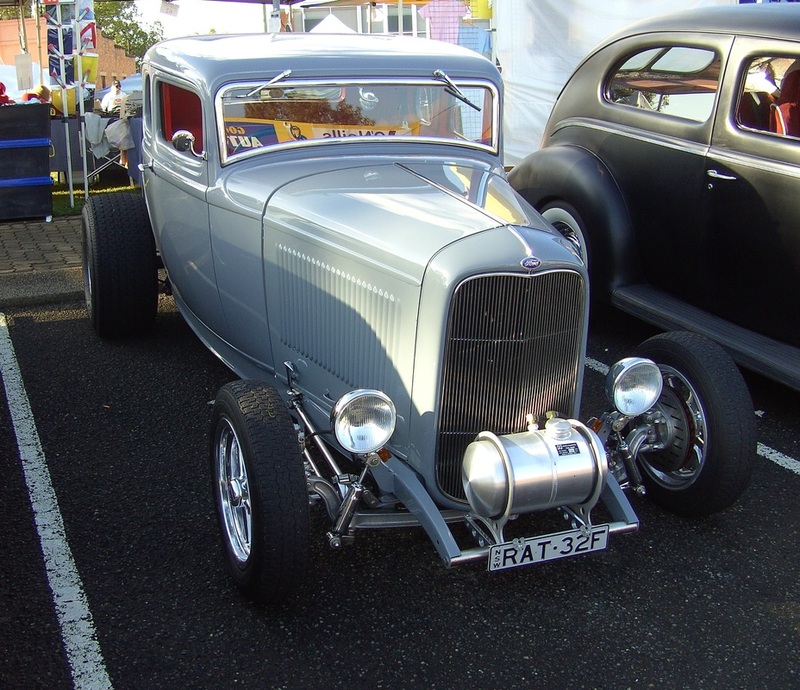 Thanks to the members of the Coasters for another great Rod Run and we will be back next year. 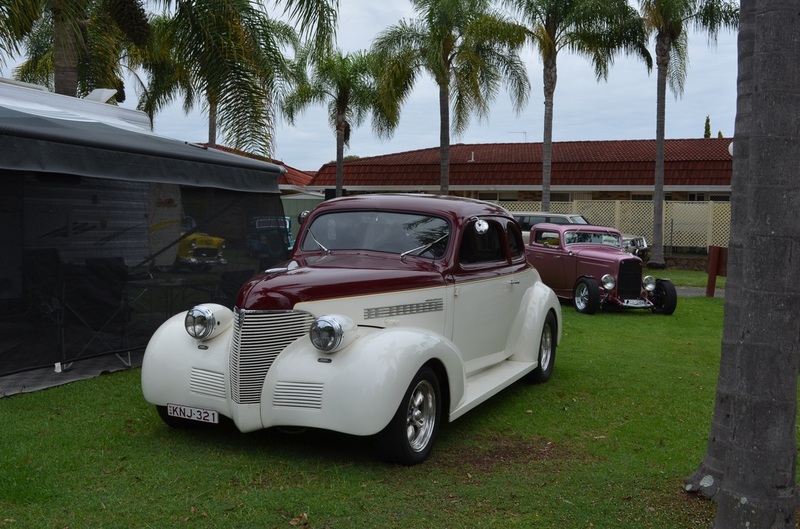 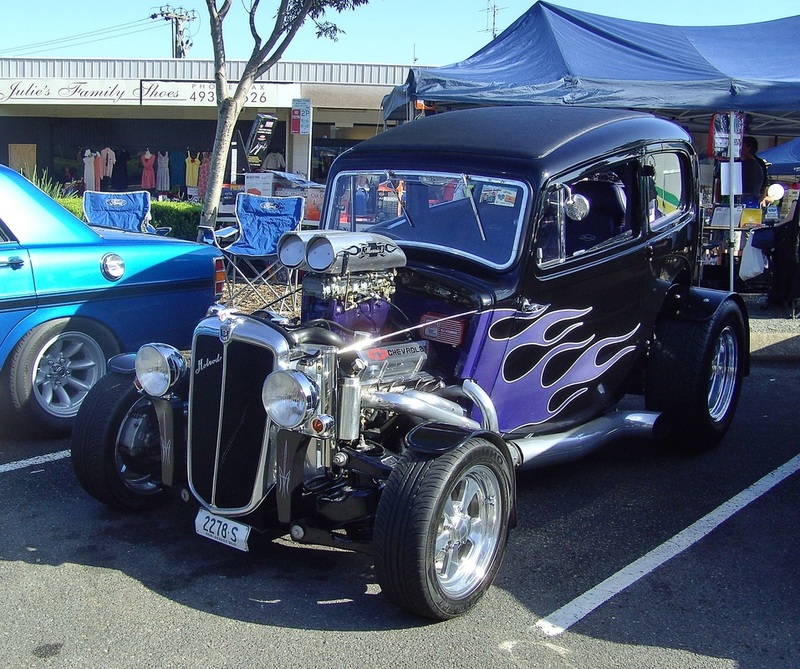 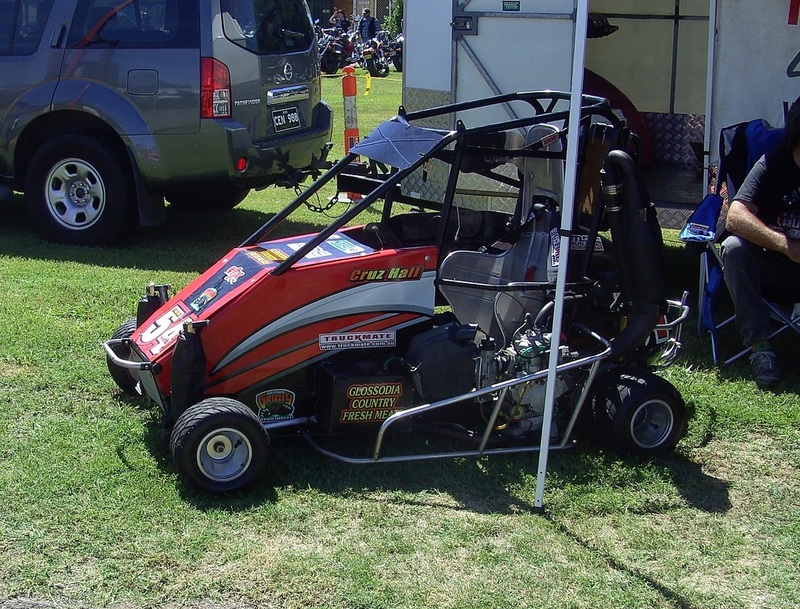 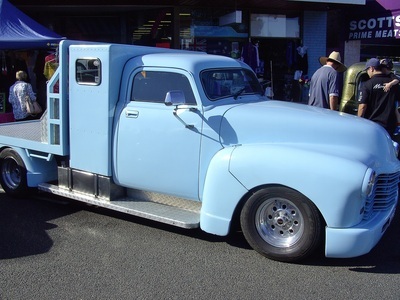 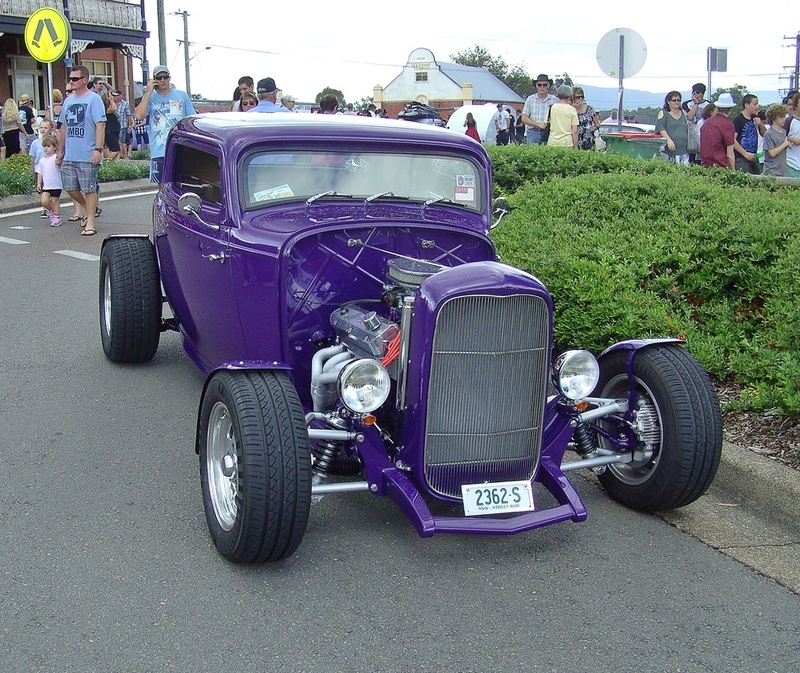 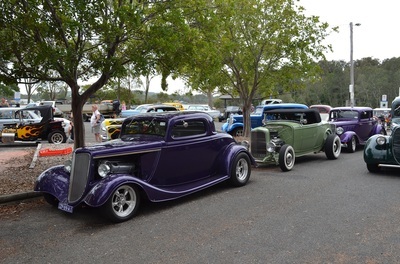 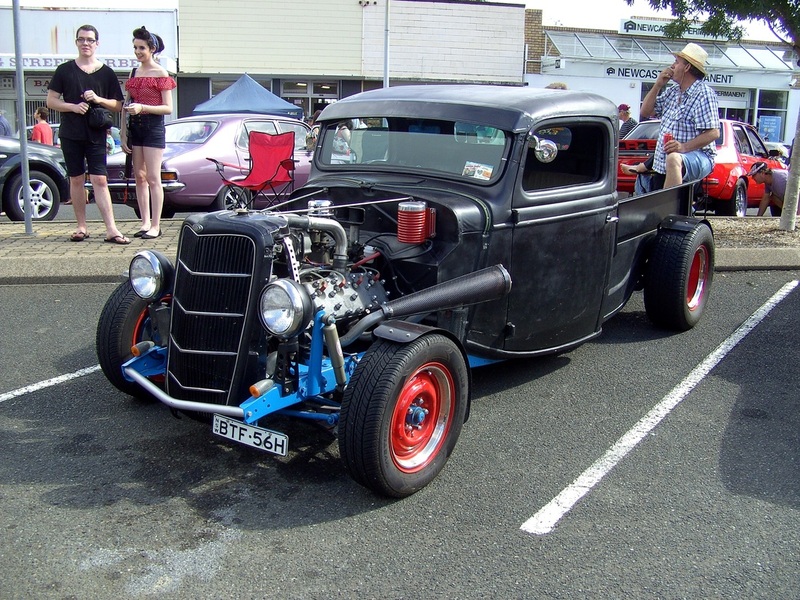 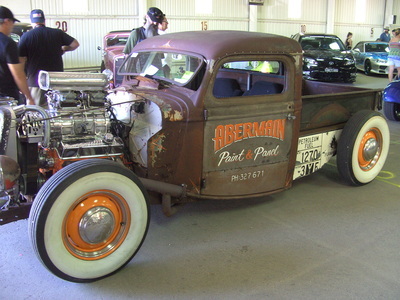 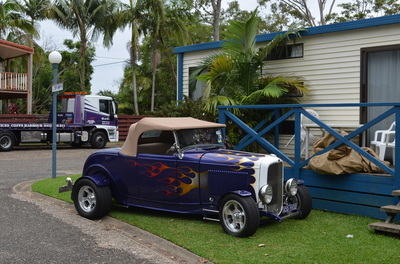 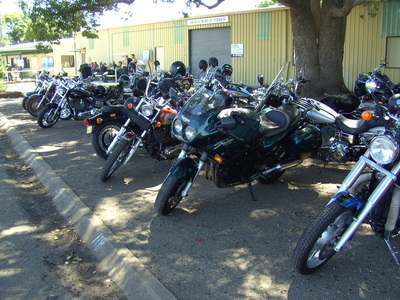 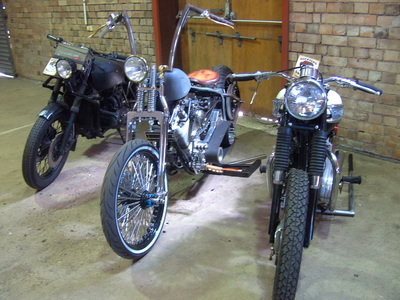 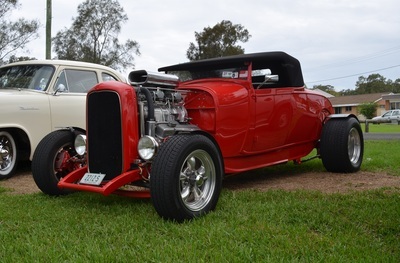 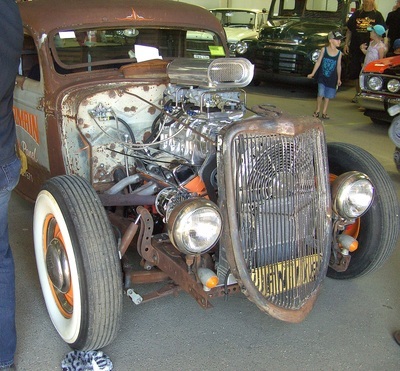 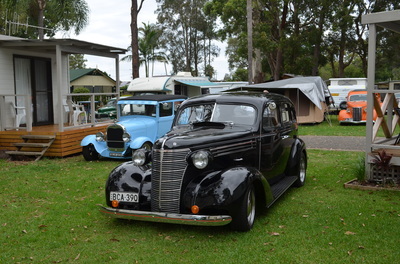 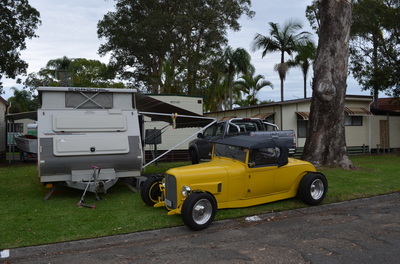 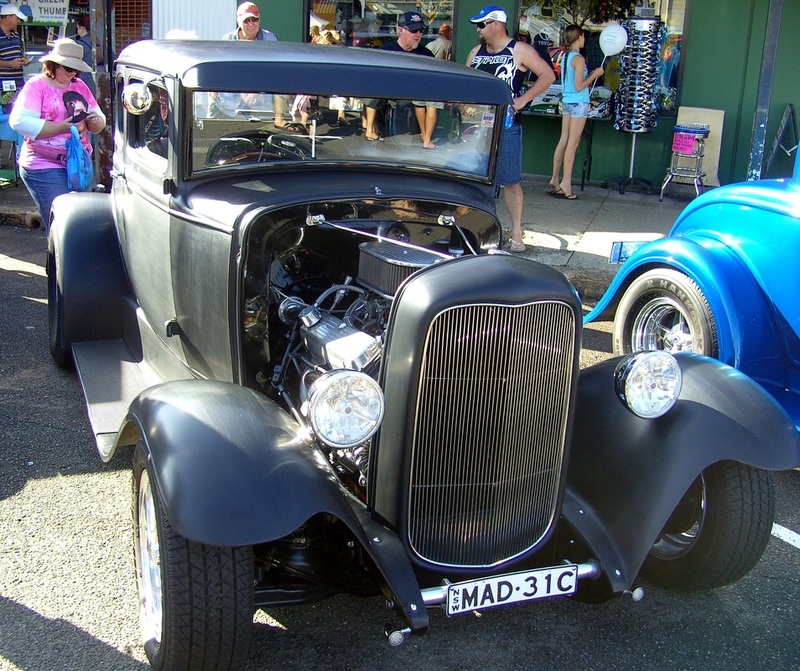 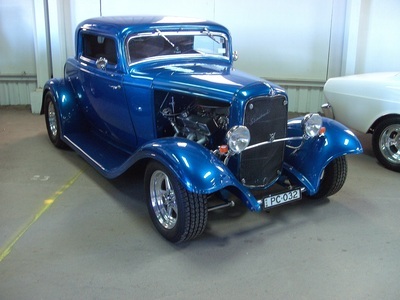 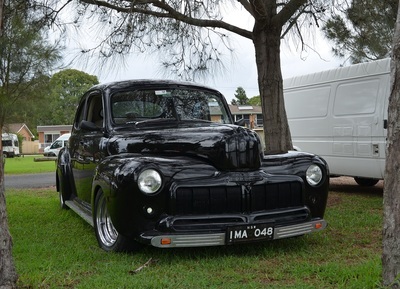 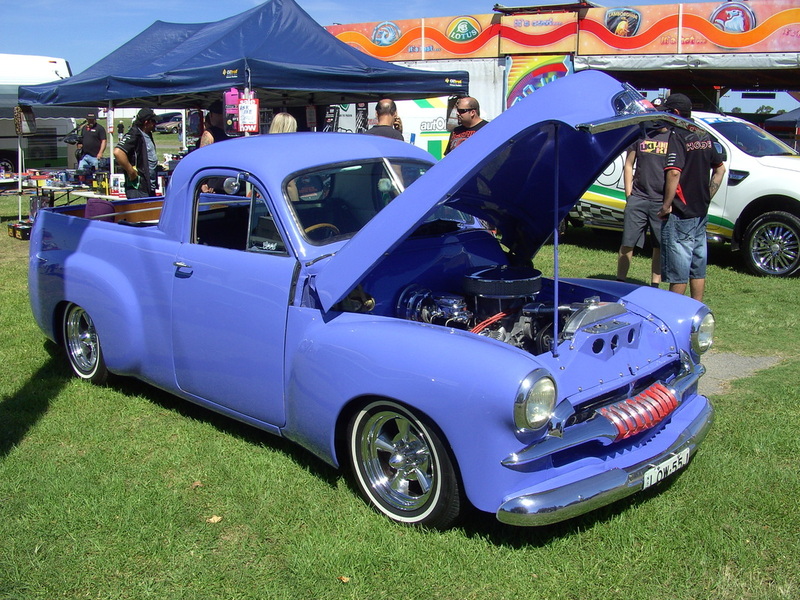 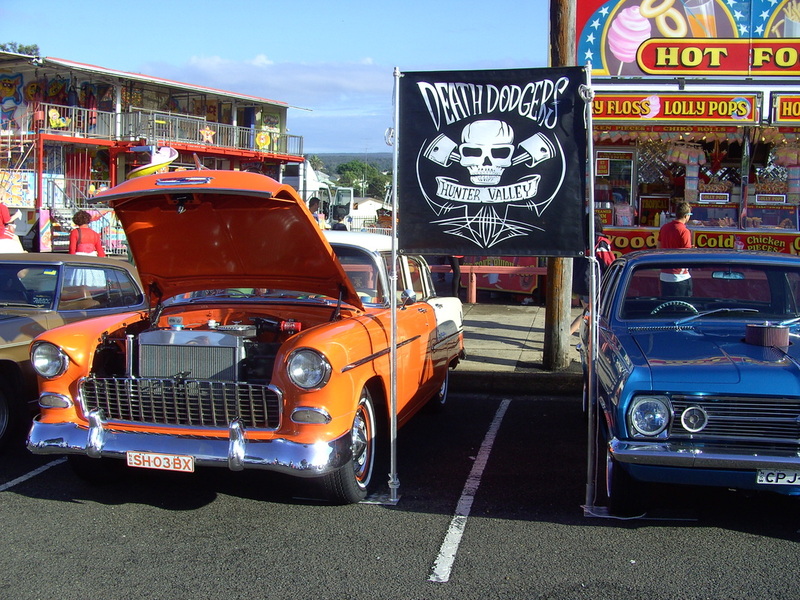 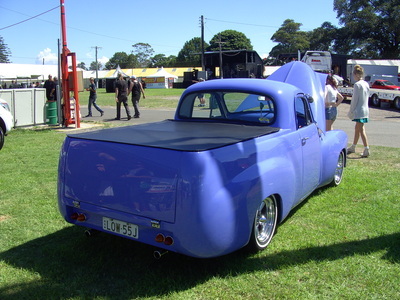 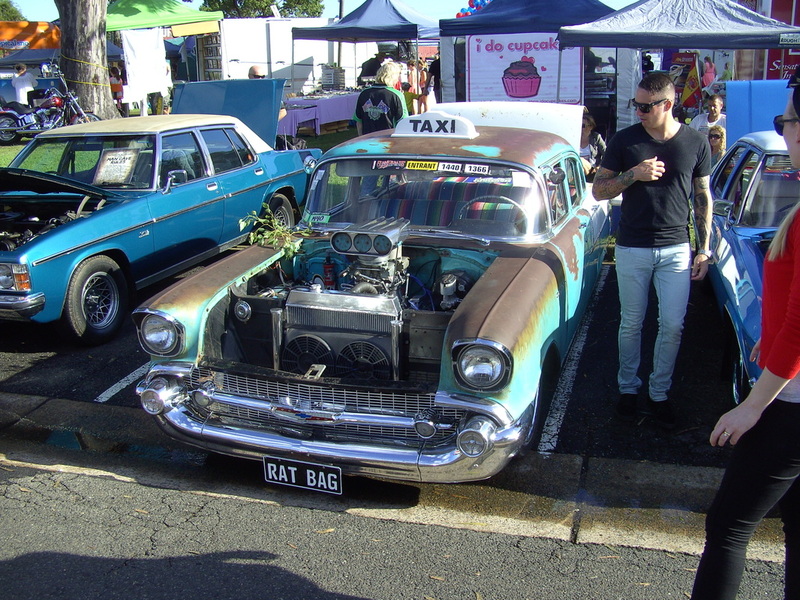 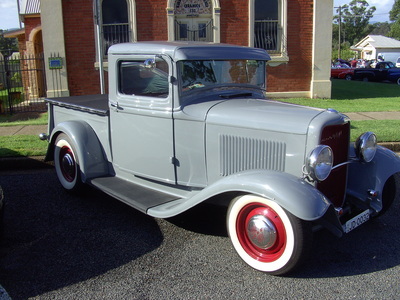 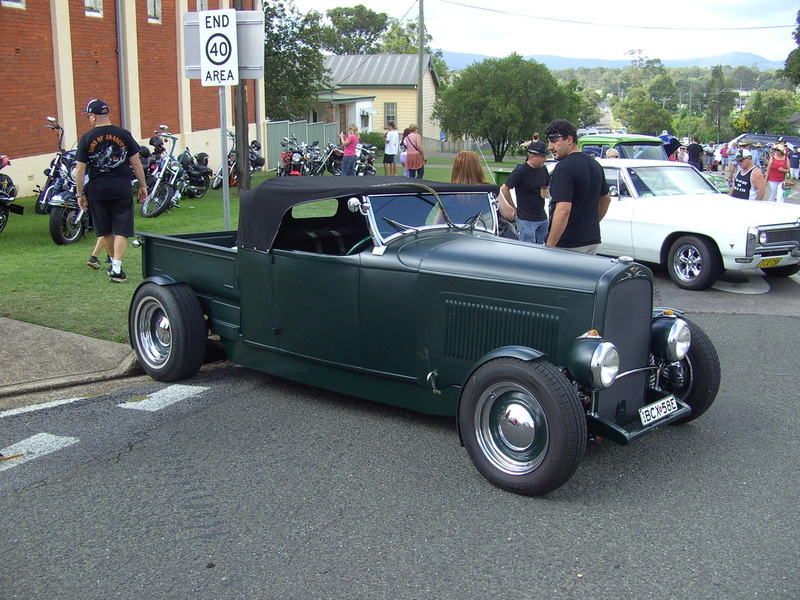 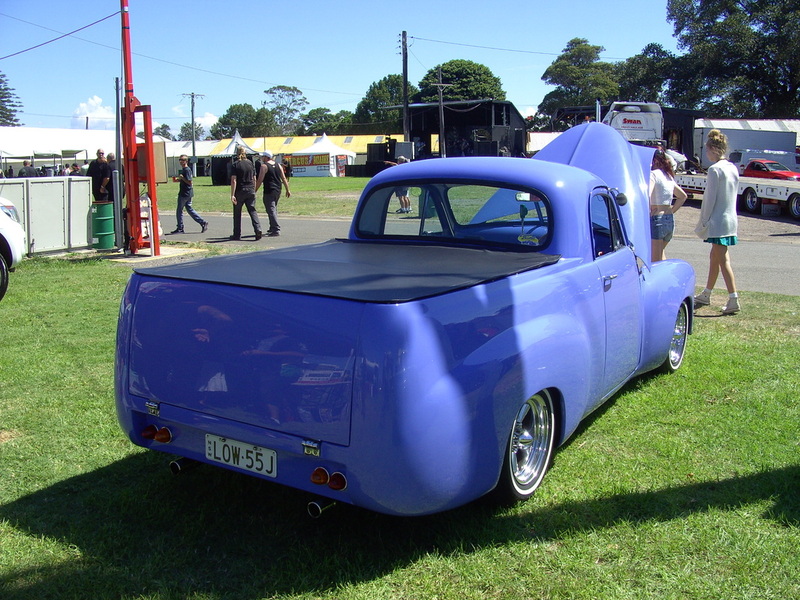 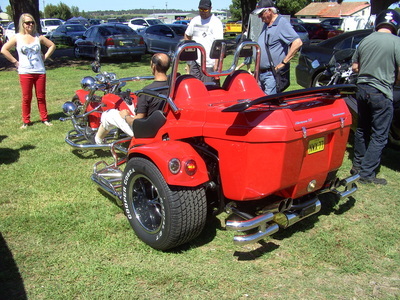 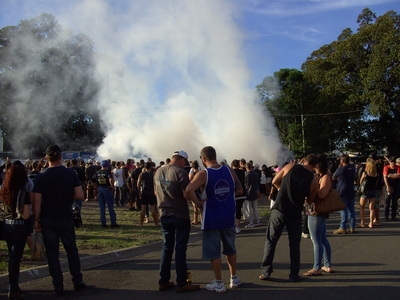 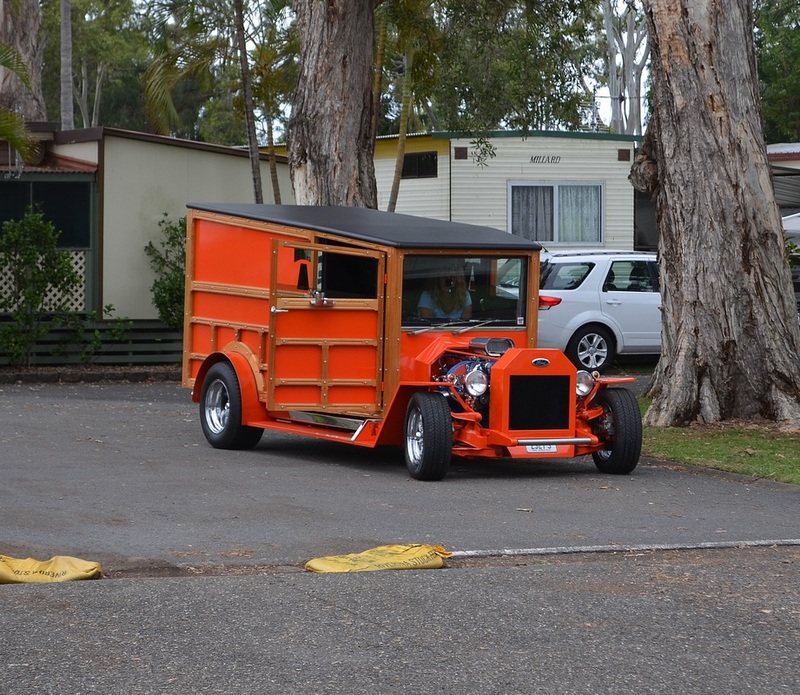 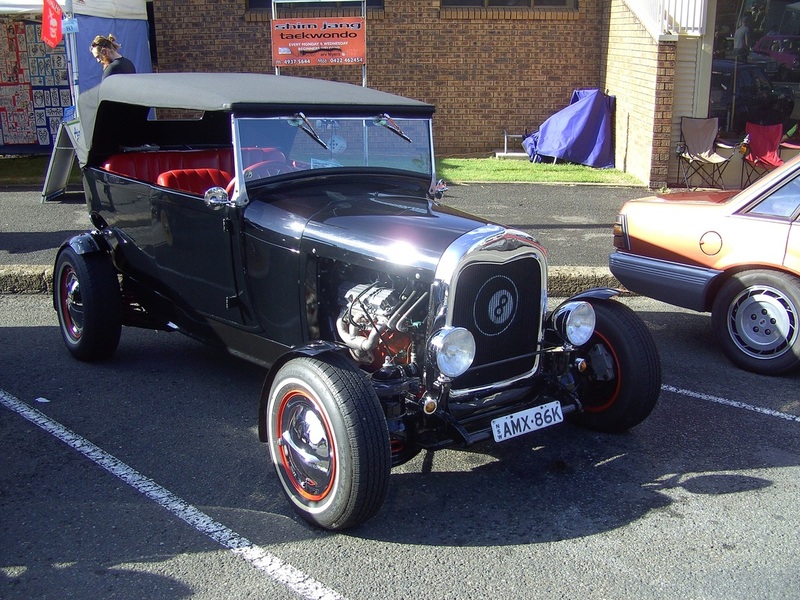 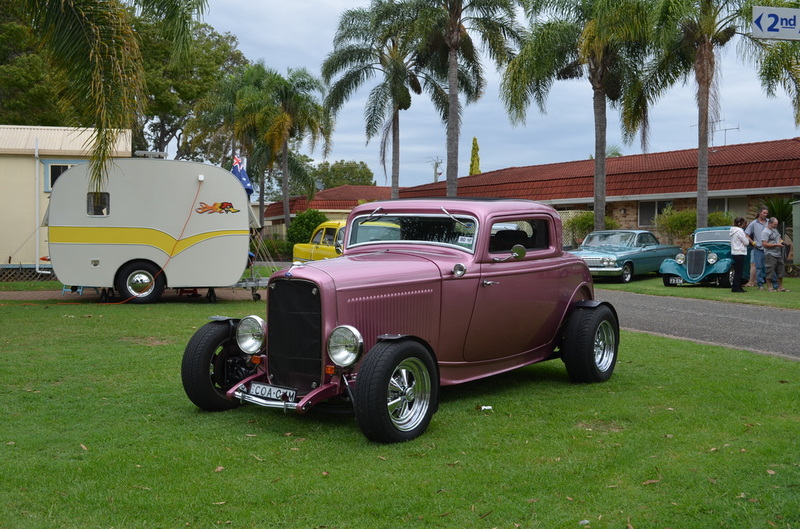 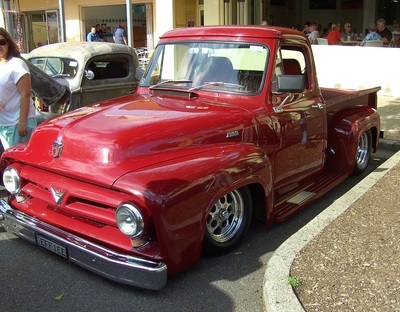 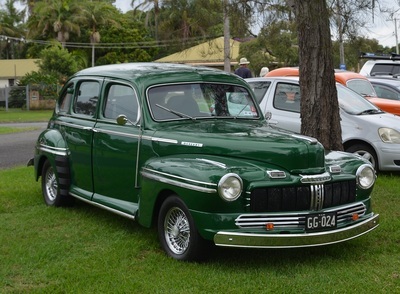 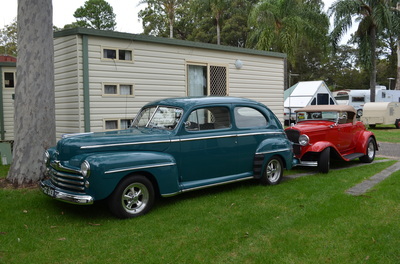 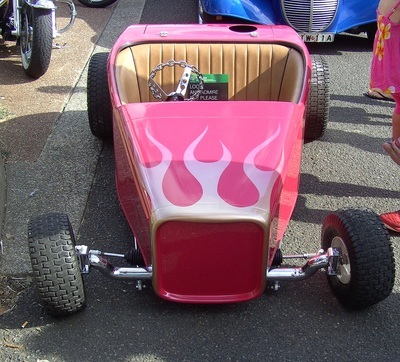 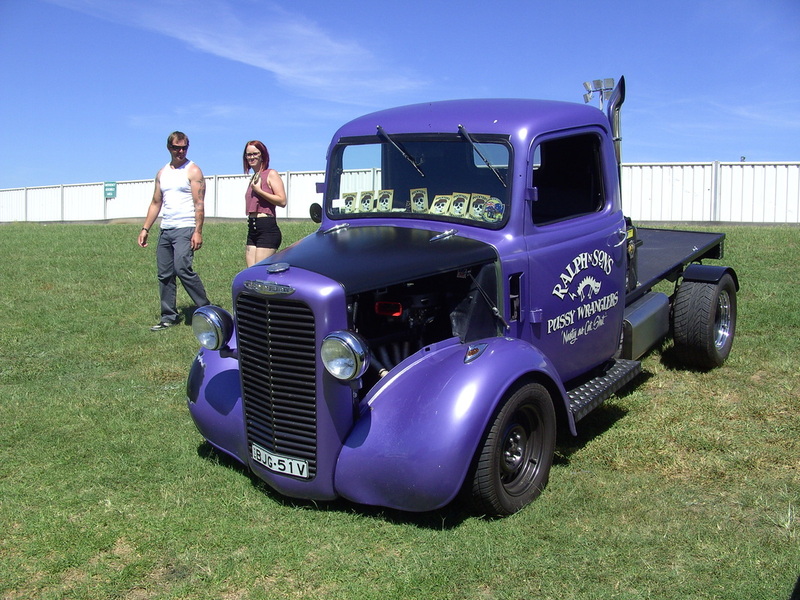 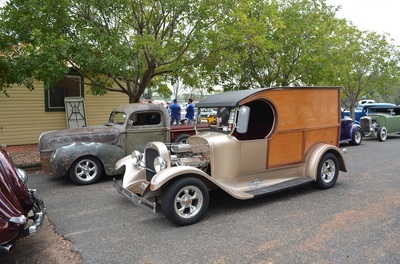 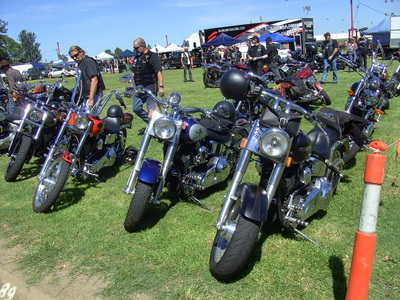 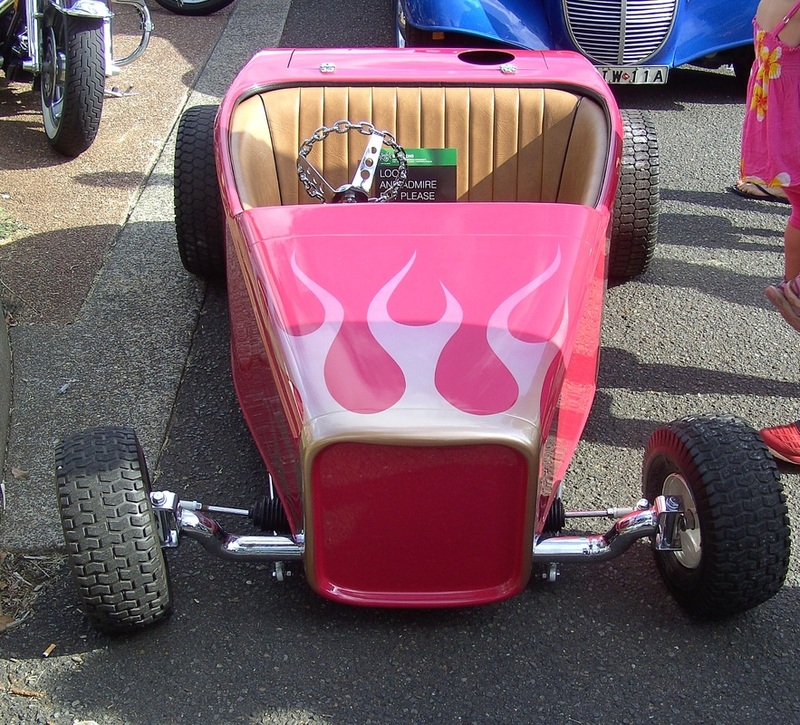 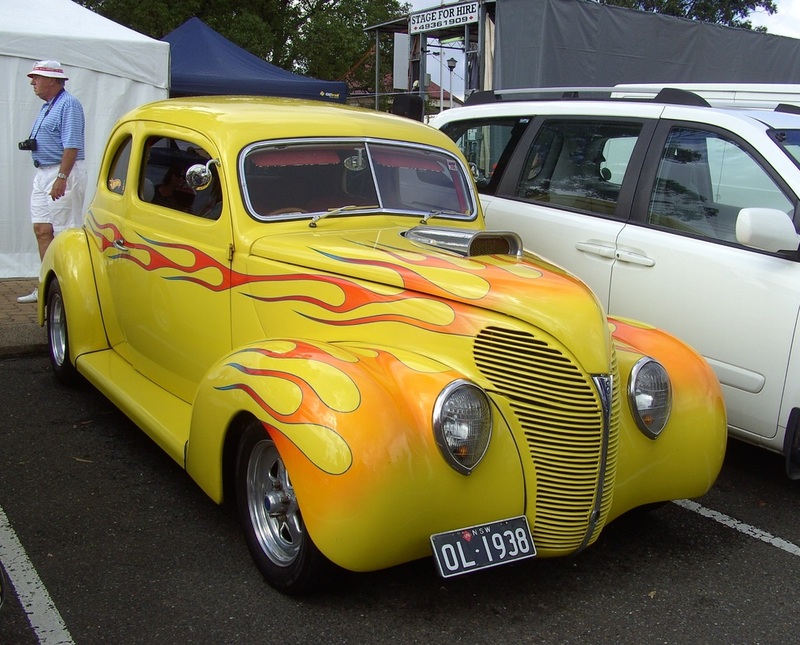 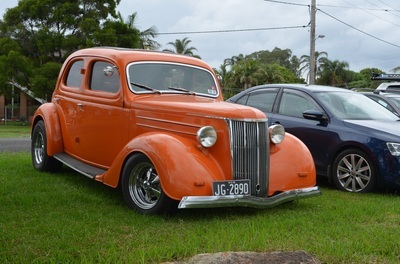 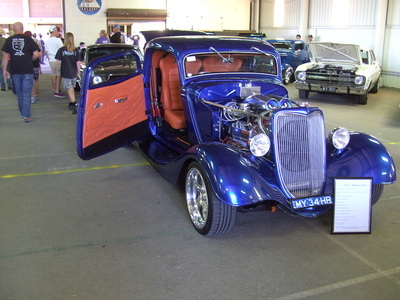 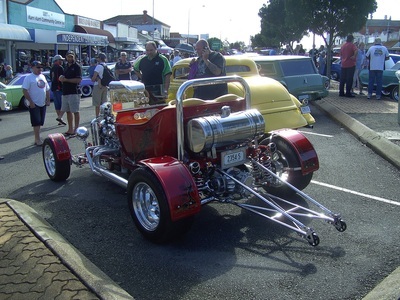 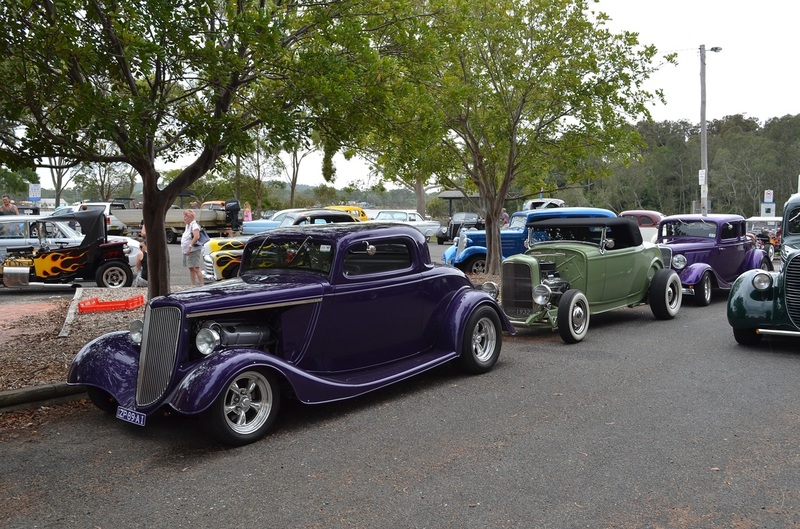 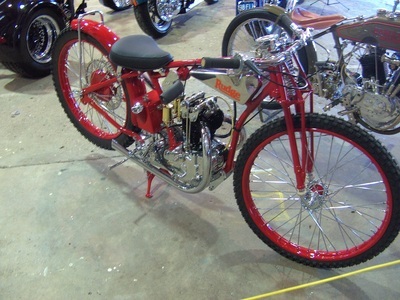 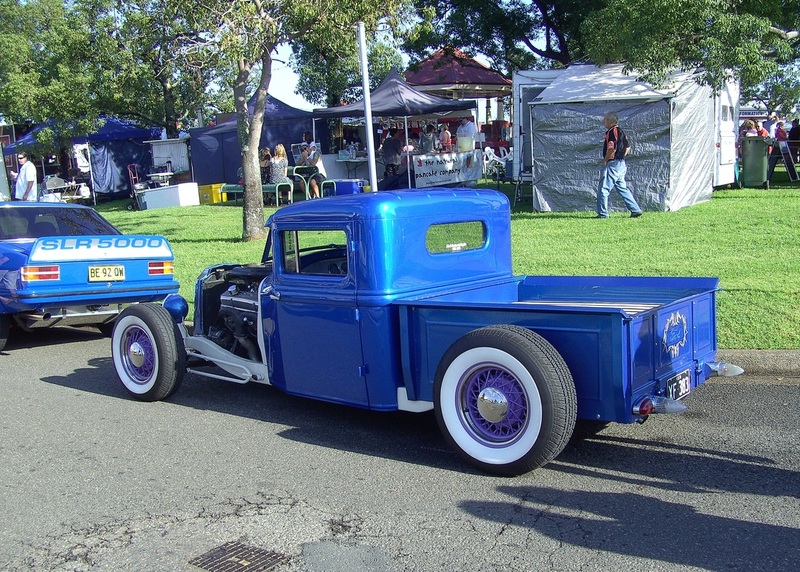 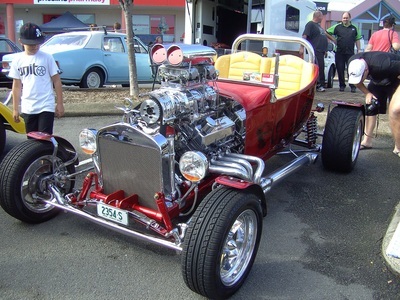 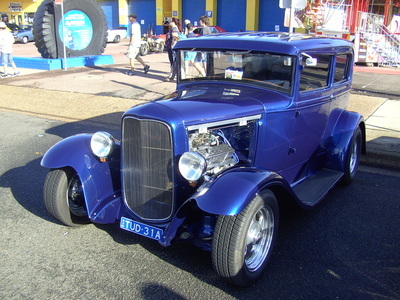 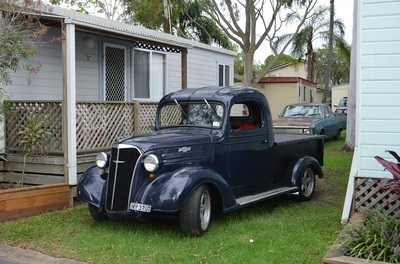 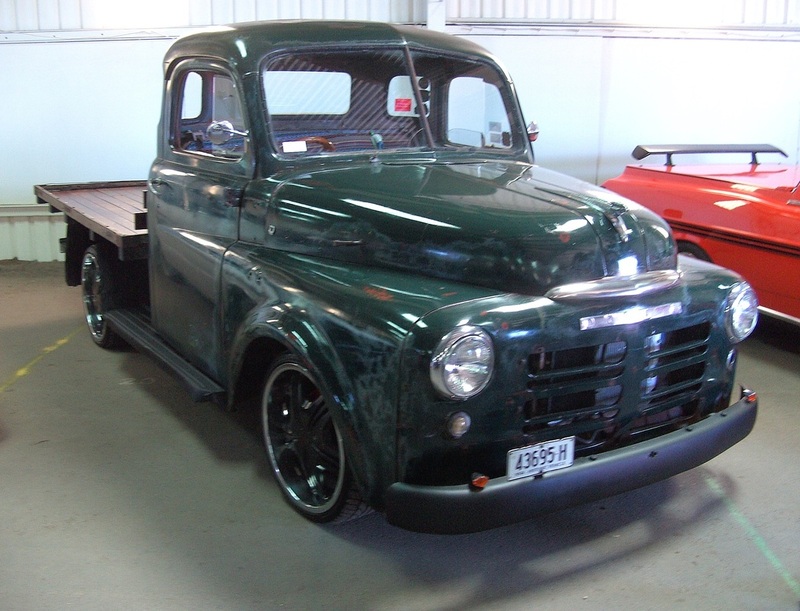 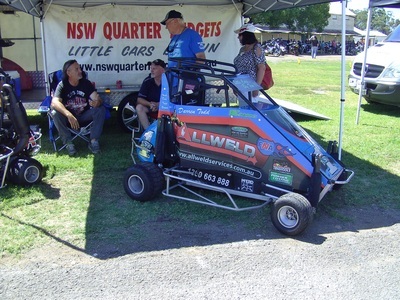 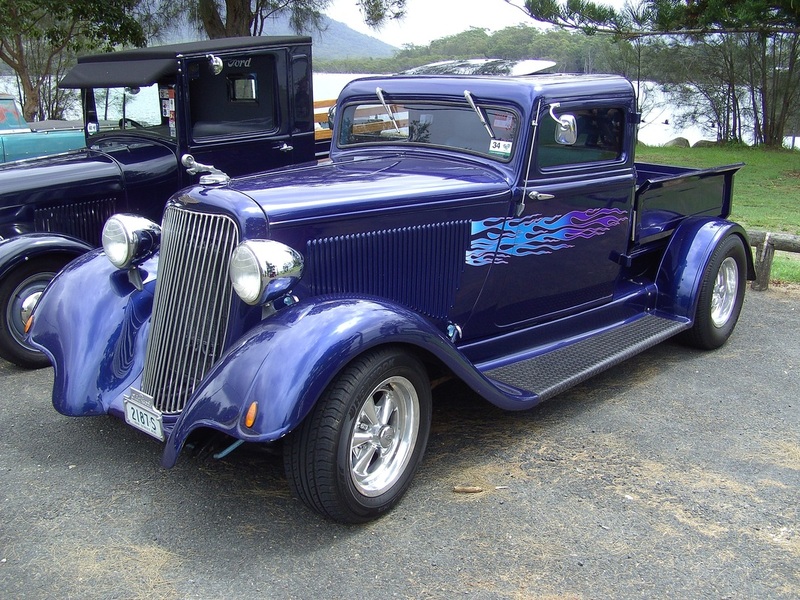 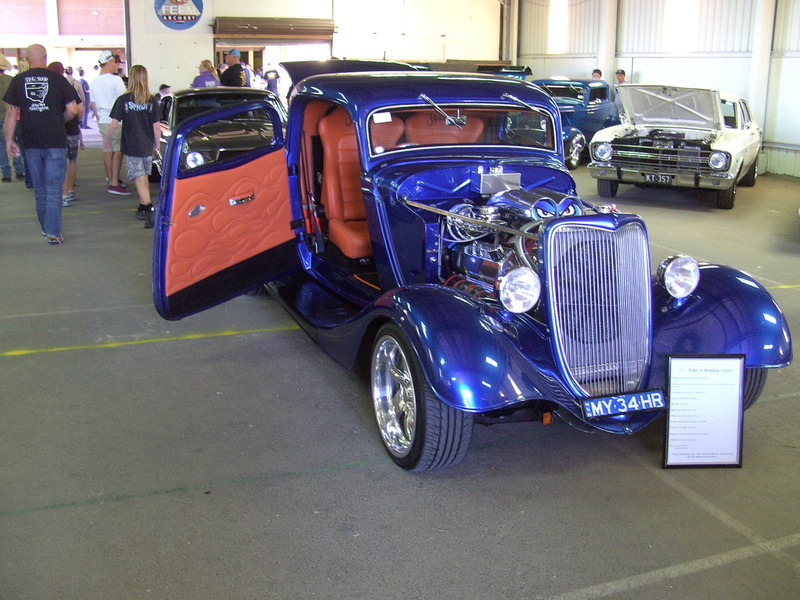 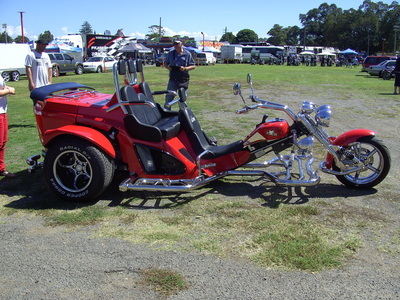 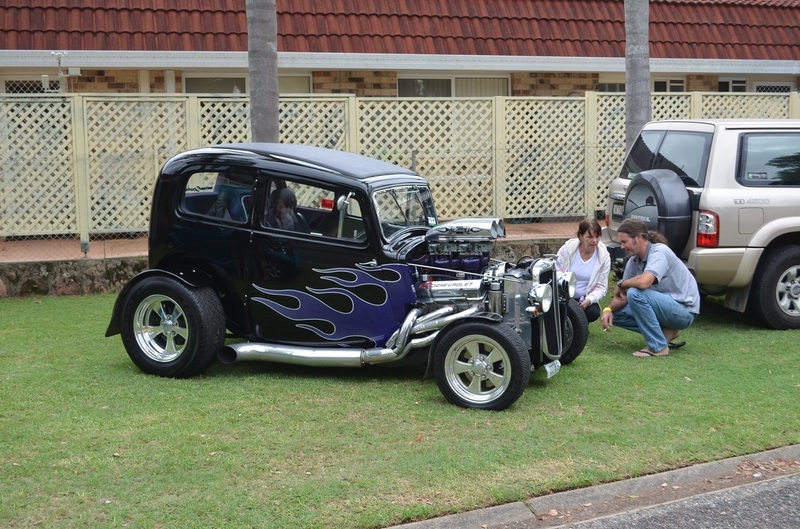 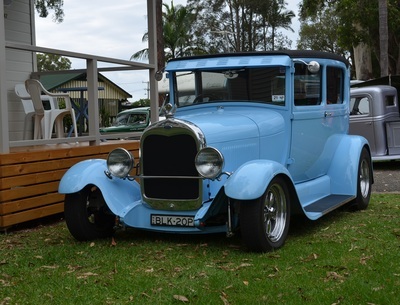 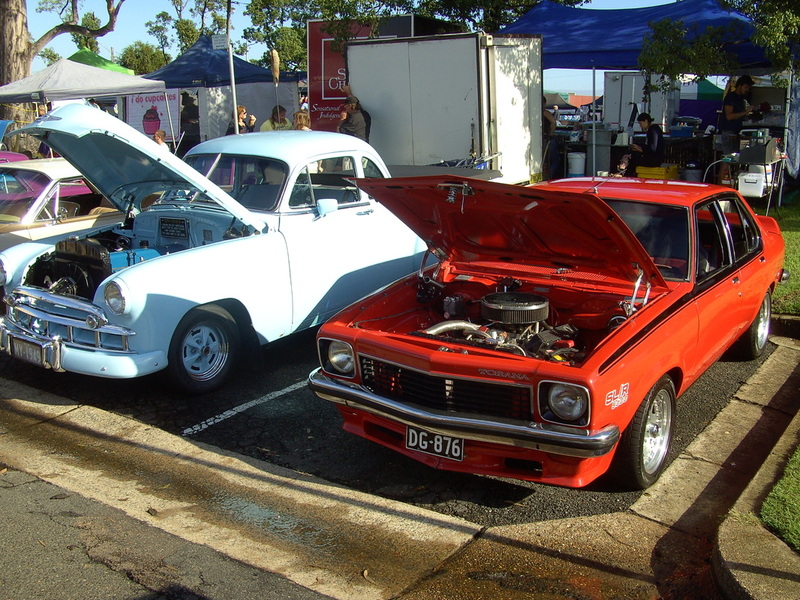 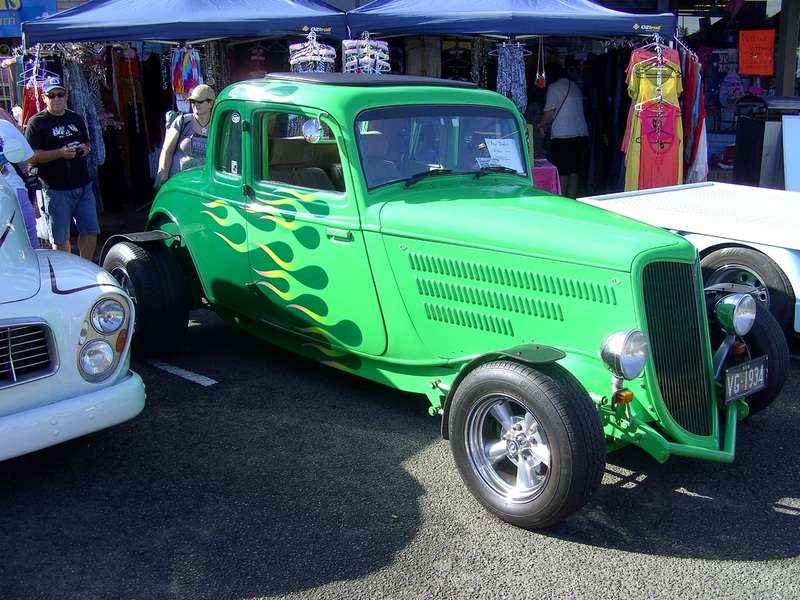 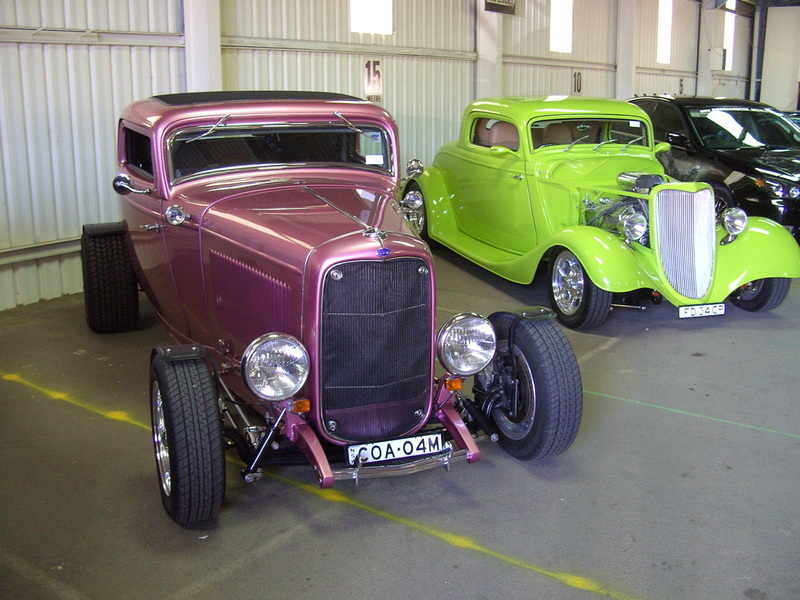 Another Great Gladiators Hot Rod and Bike show was on at the Maitland Show Ground in September. 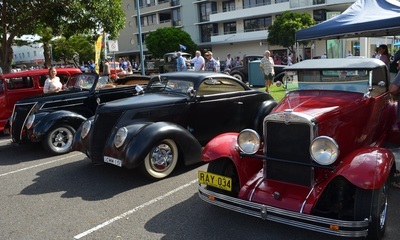 Plenty of bikes a cars to look at and Claude's 34 coupe was in the top 3 again this year. Well done Claude and all who attended this excellent event. 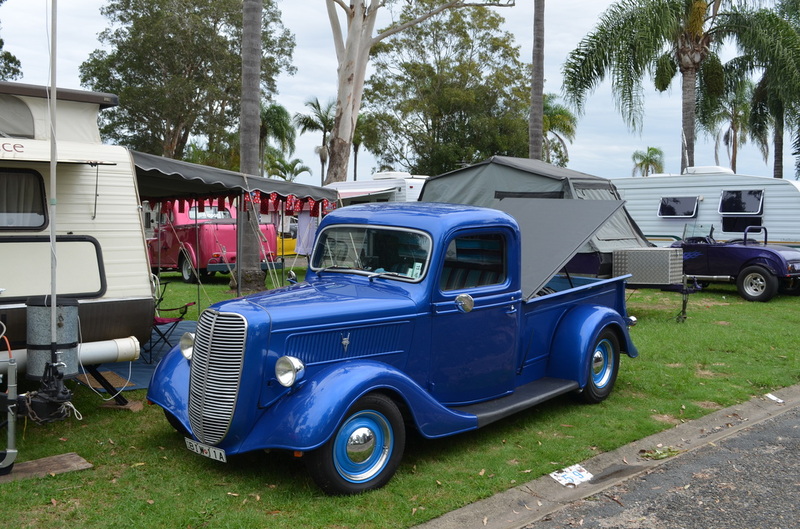 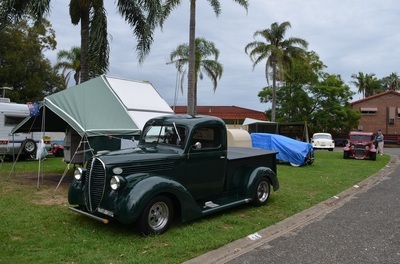 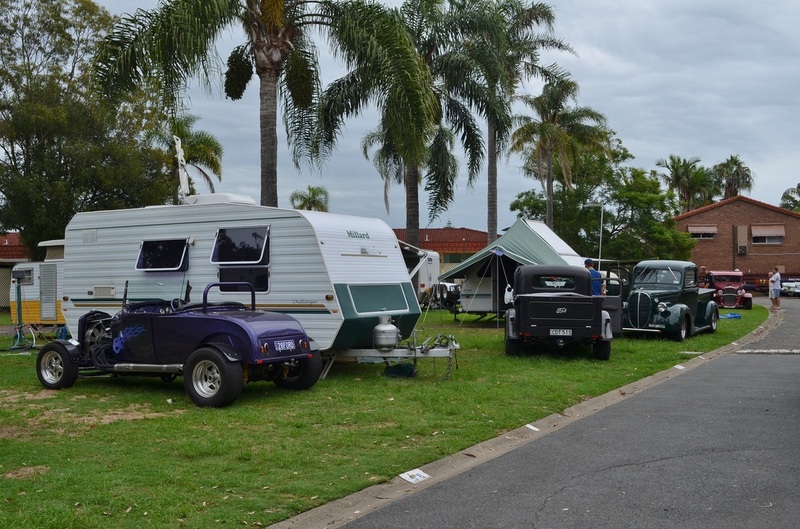 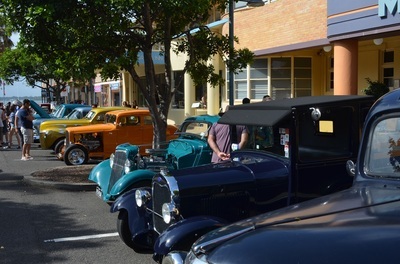 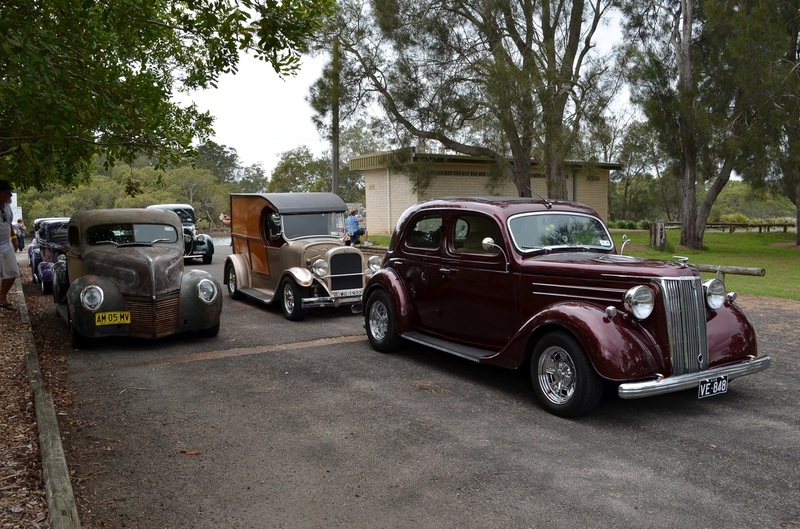 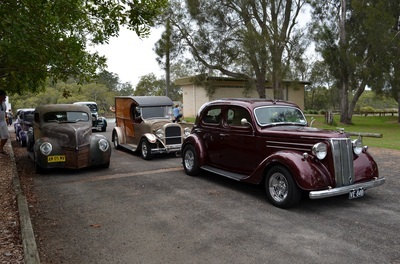 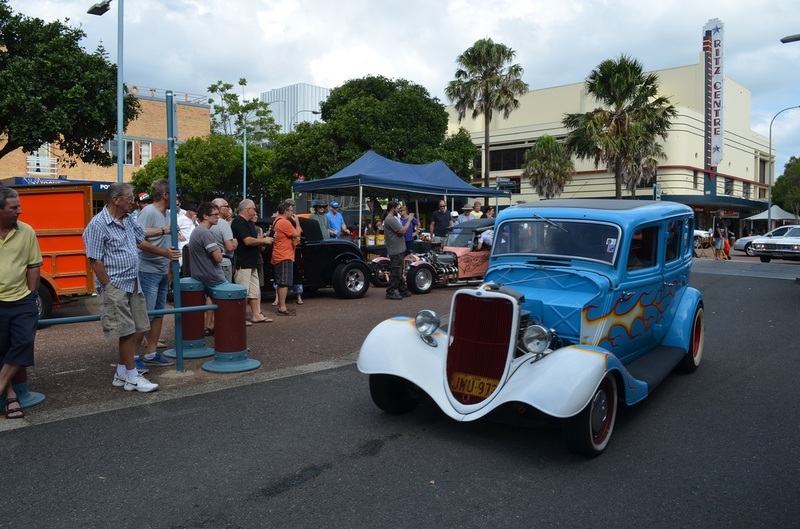 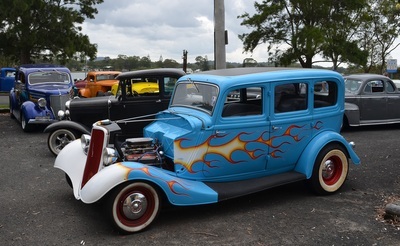 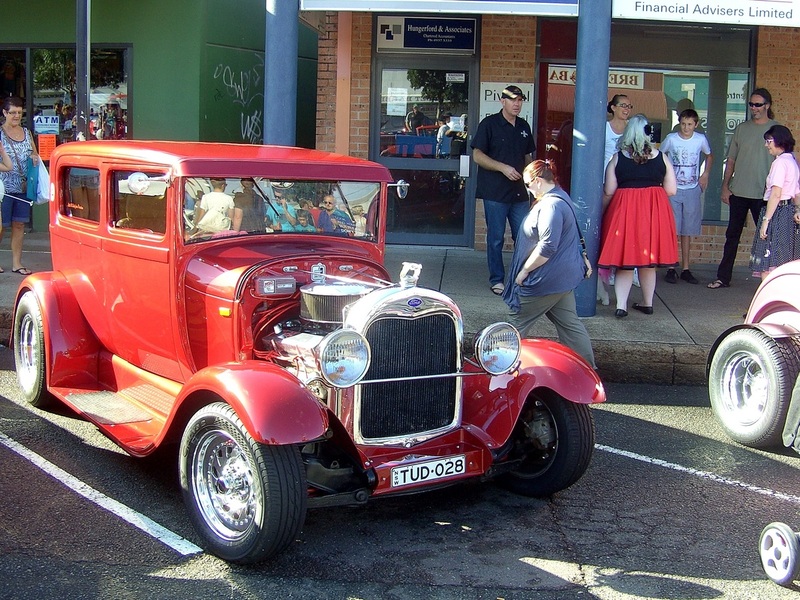 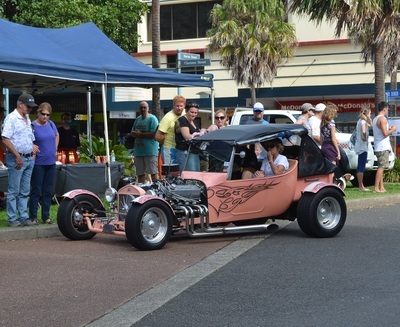 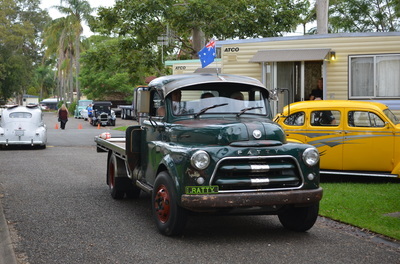 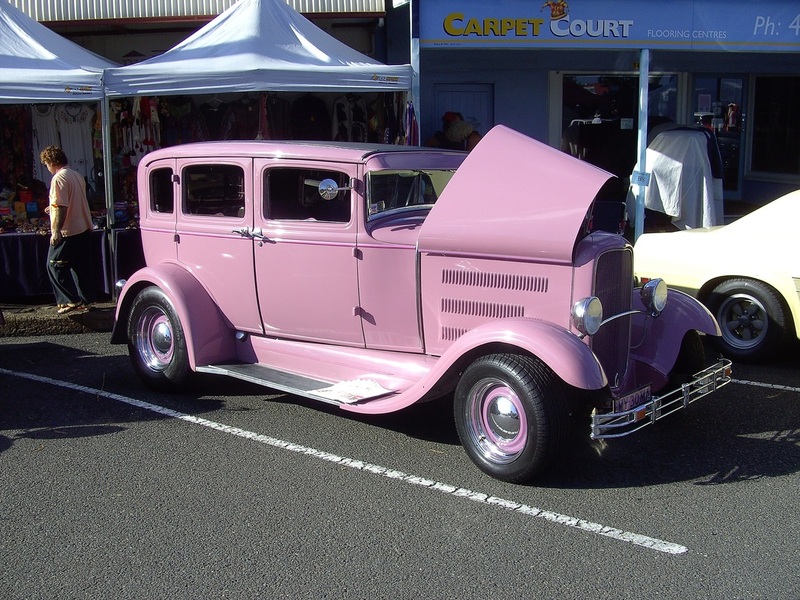 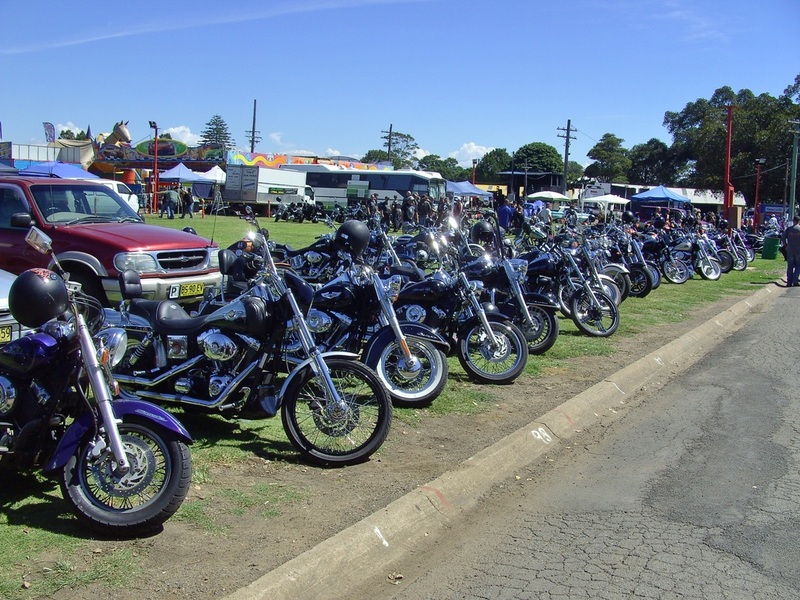 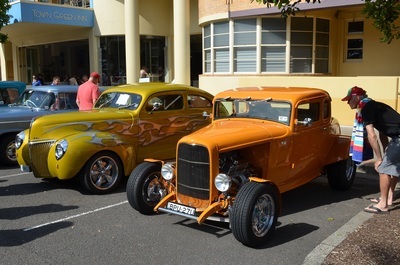 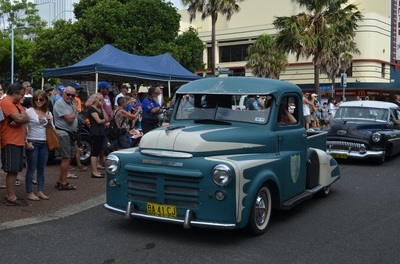 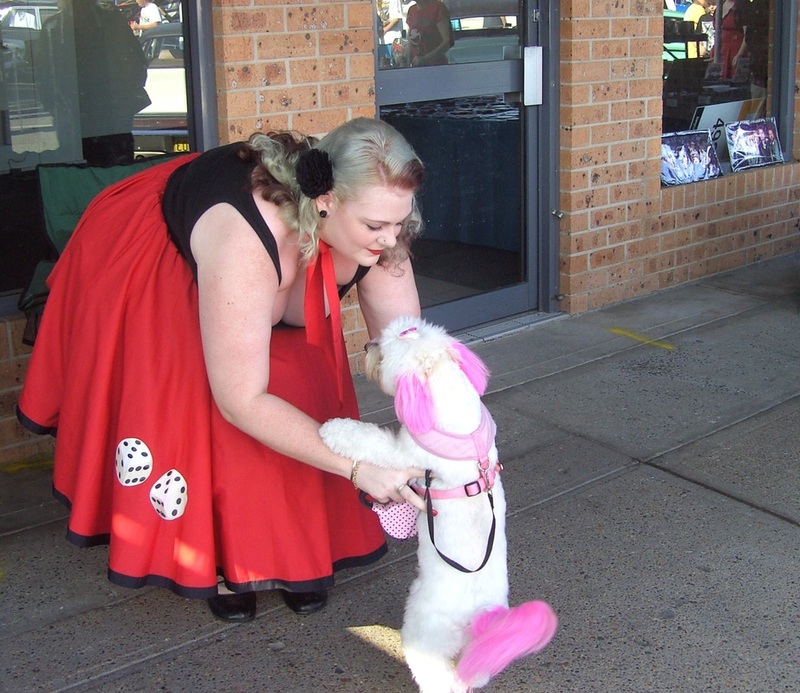 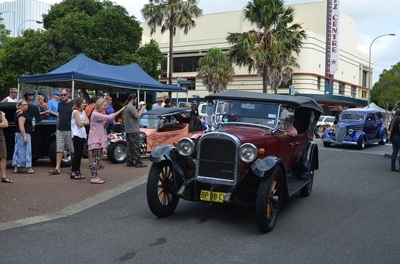 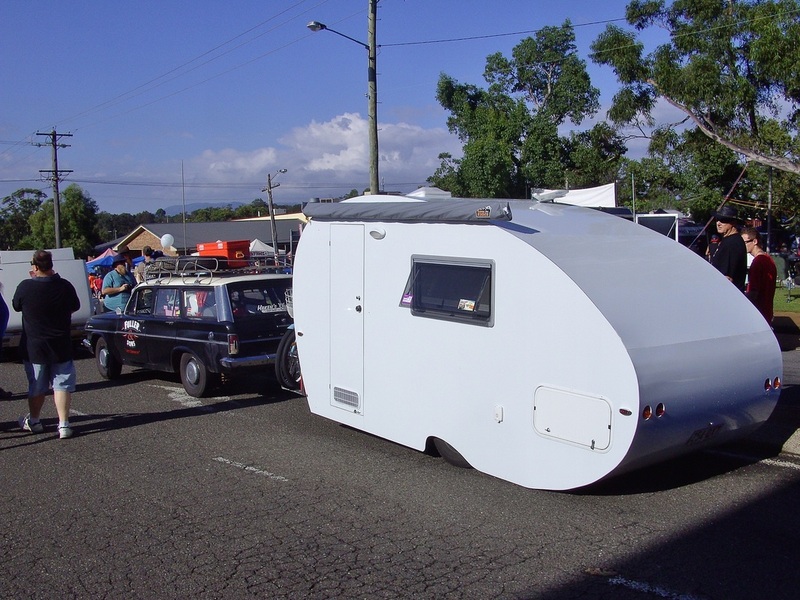 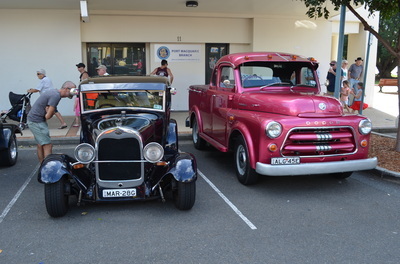 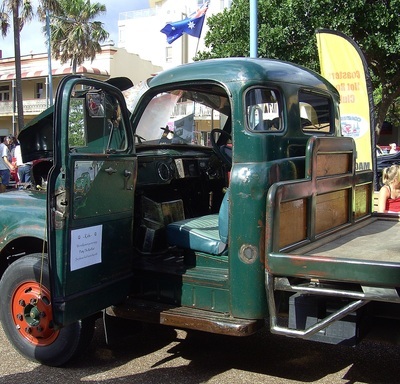 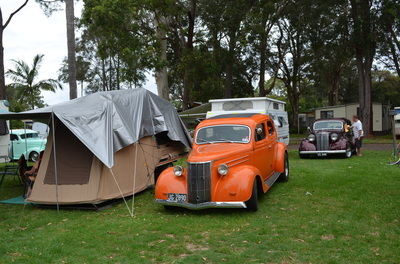 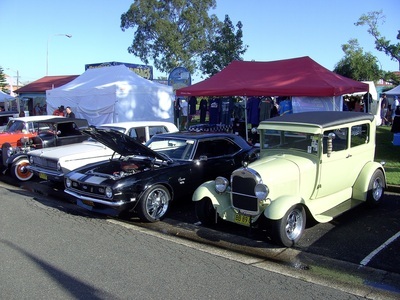 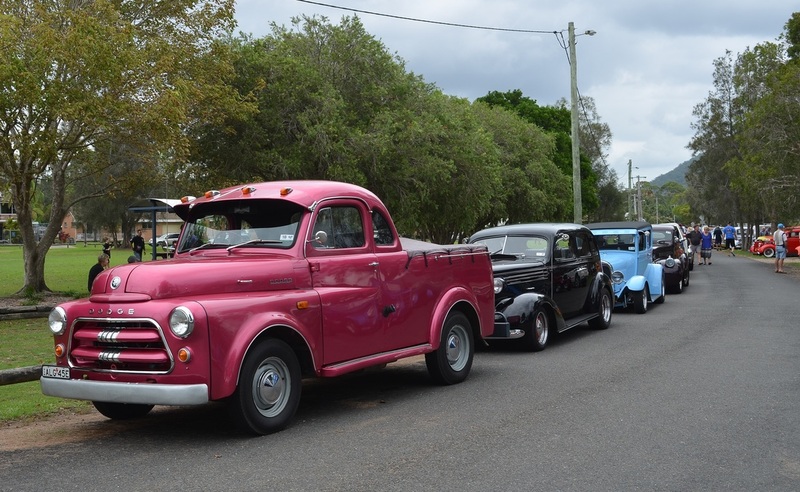 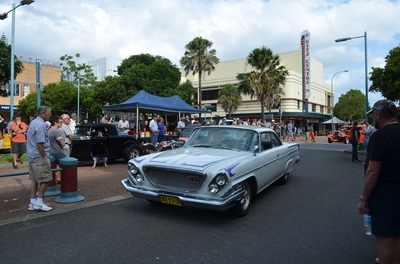 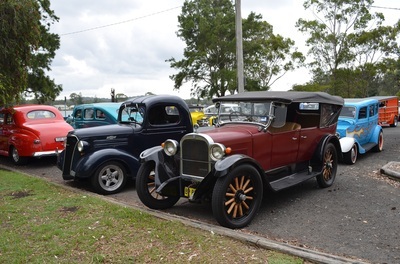 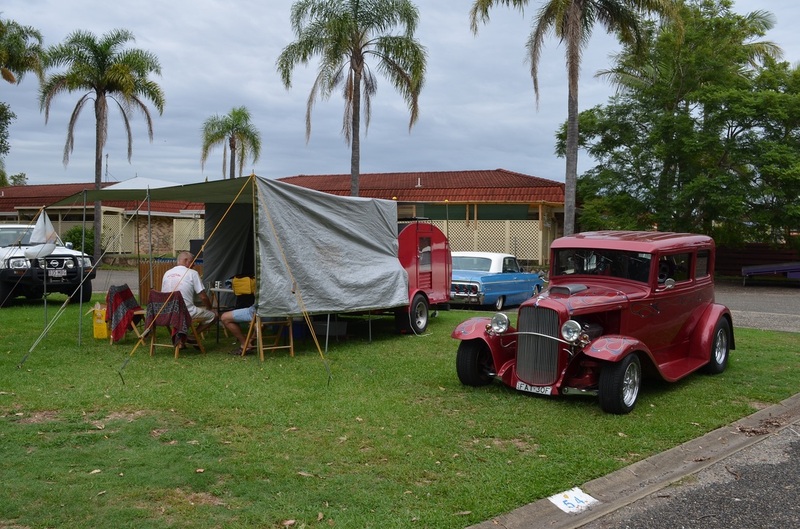 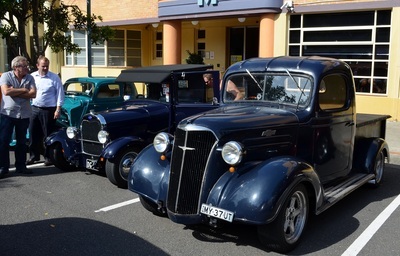 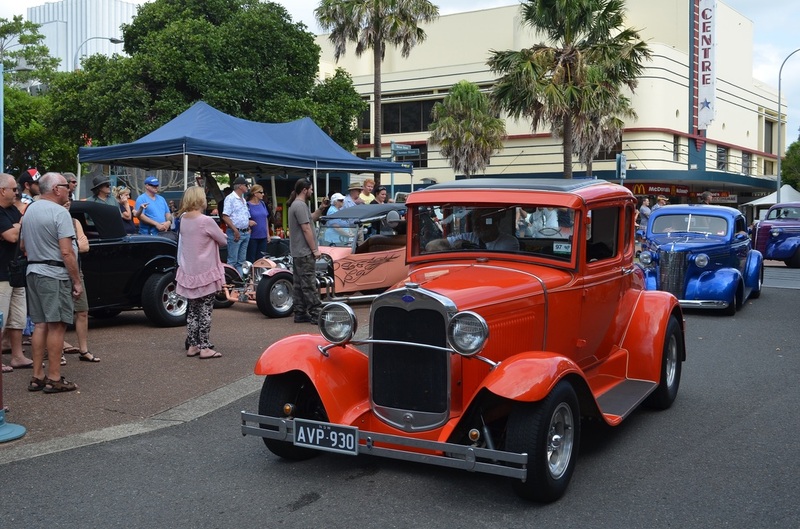 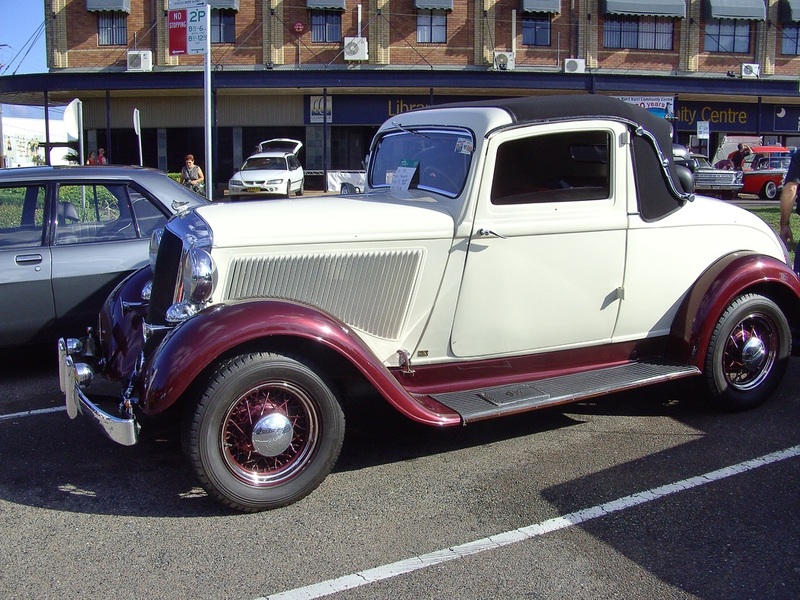 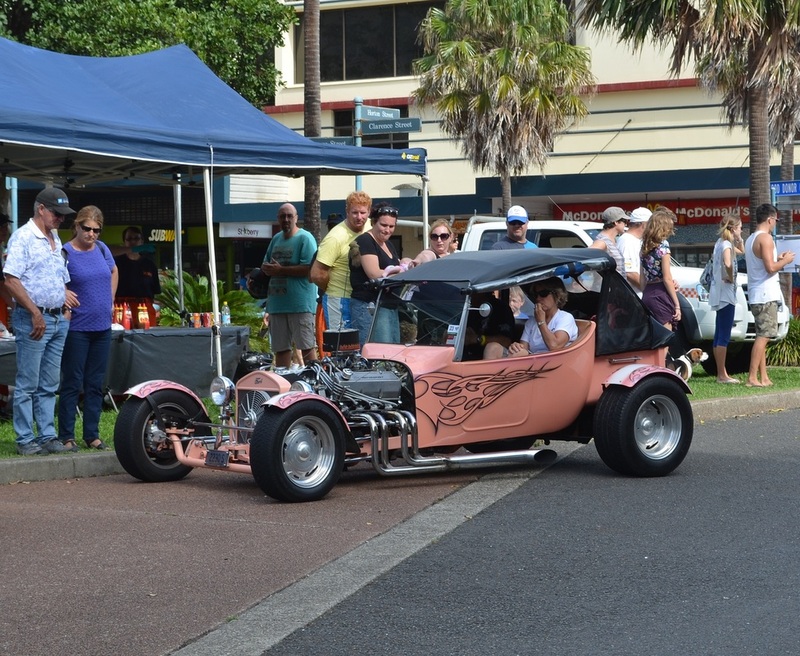 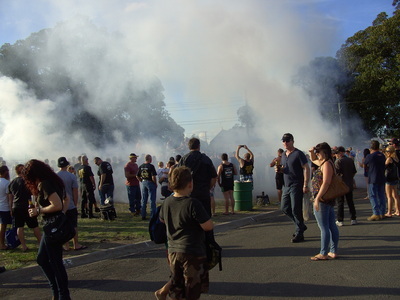 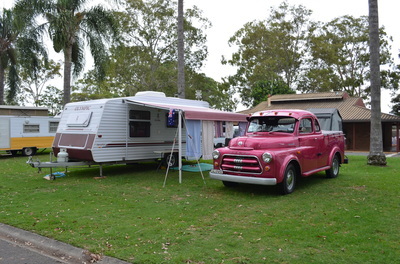 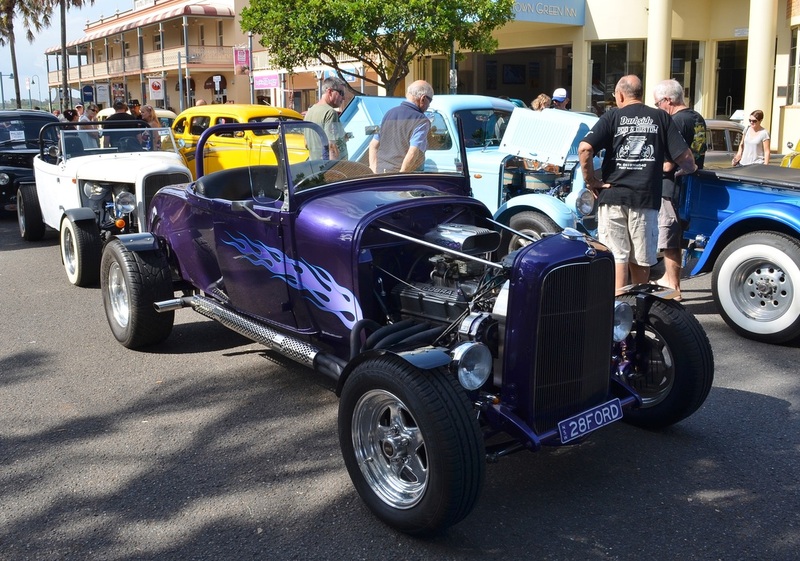 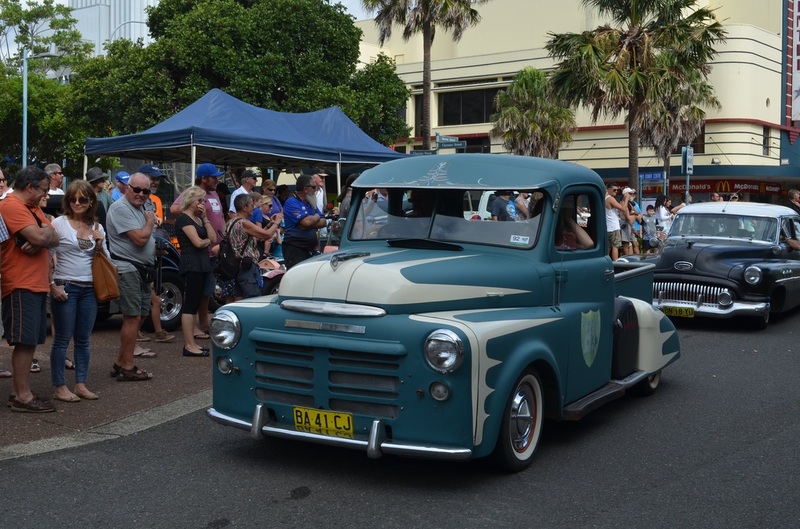 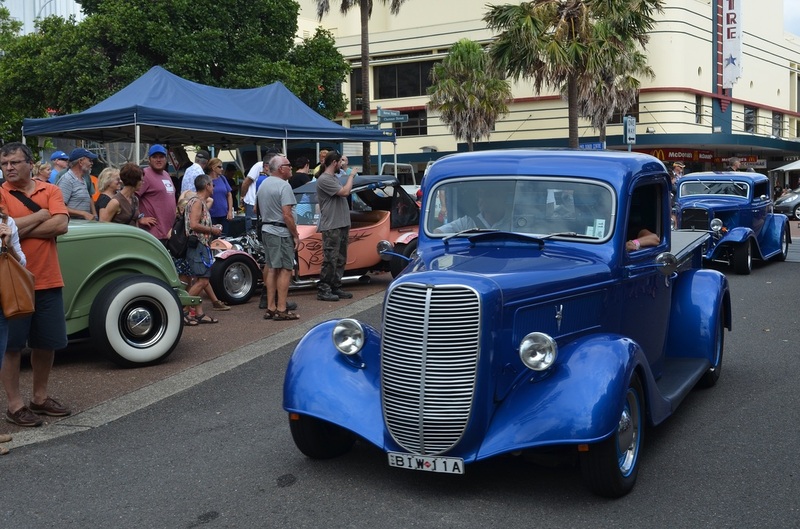 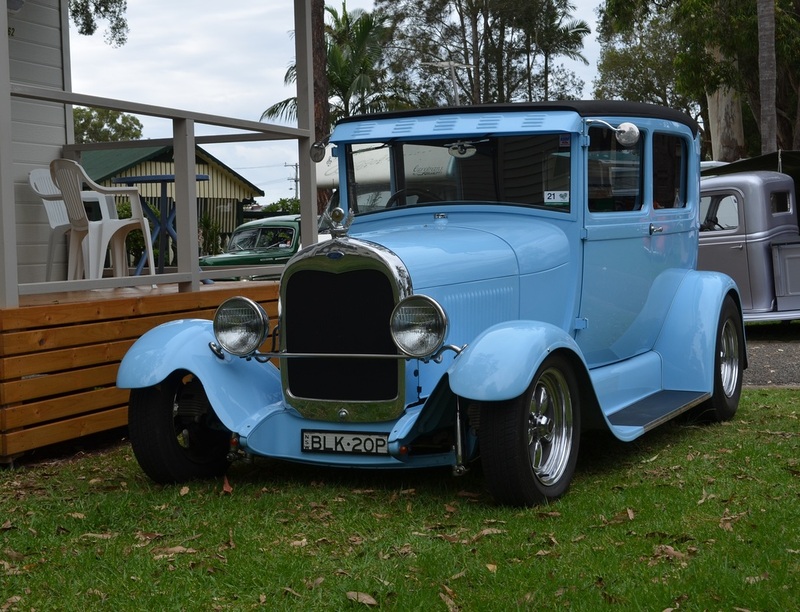 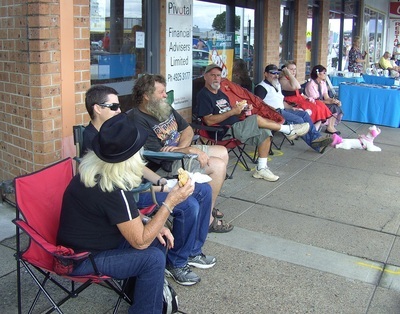 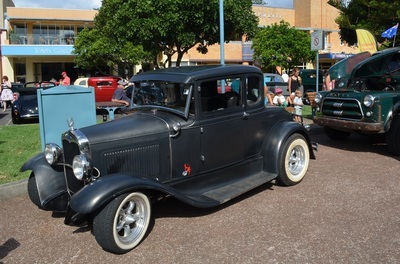 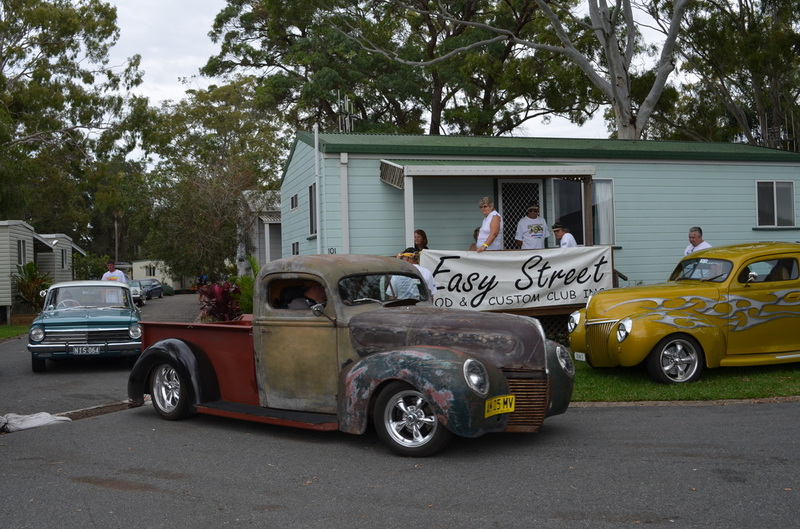 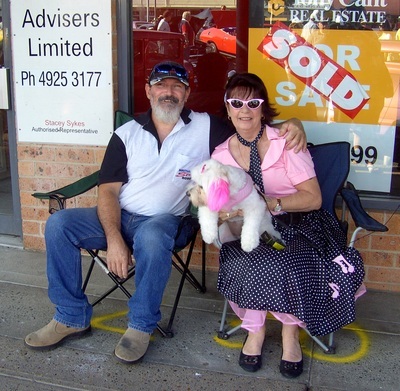 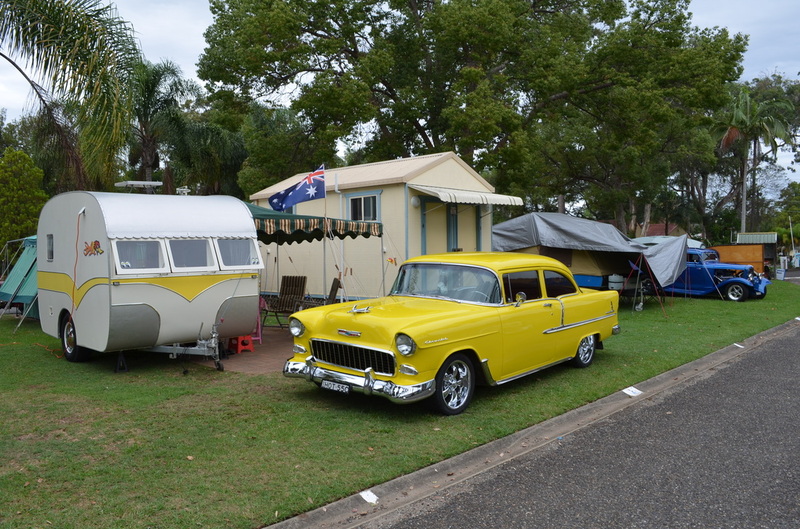 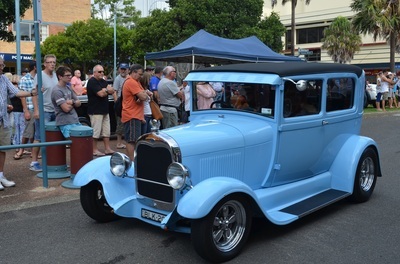 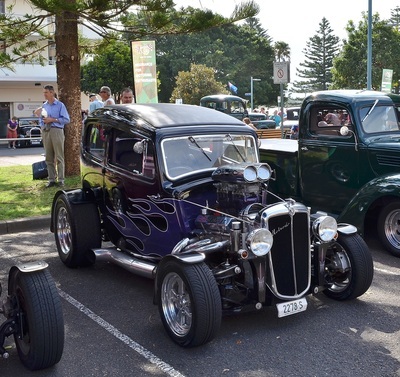 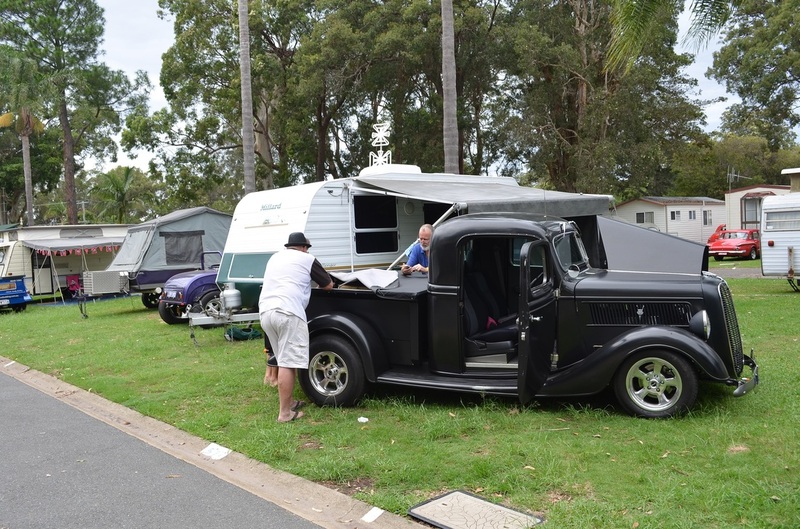 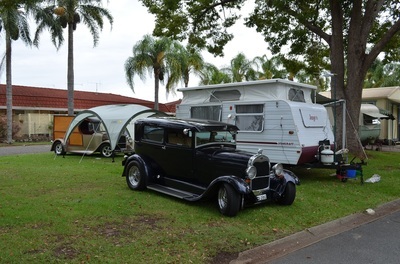 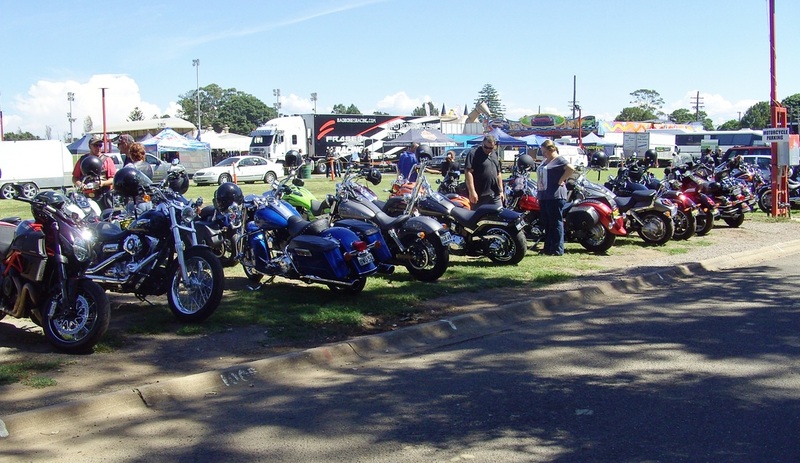 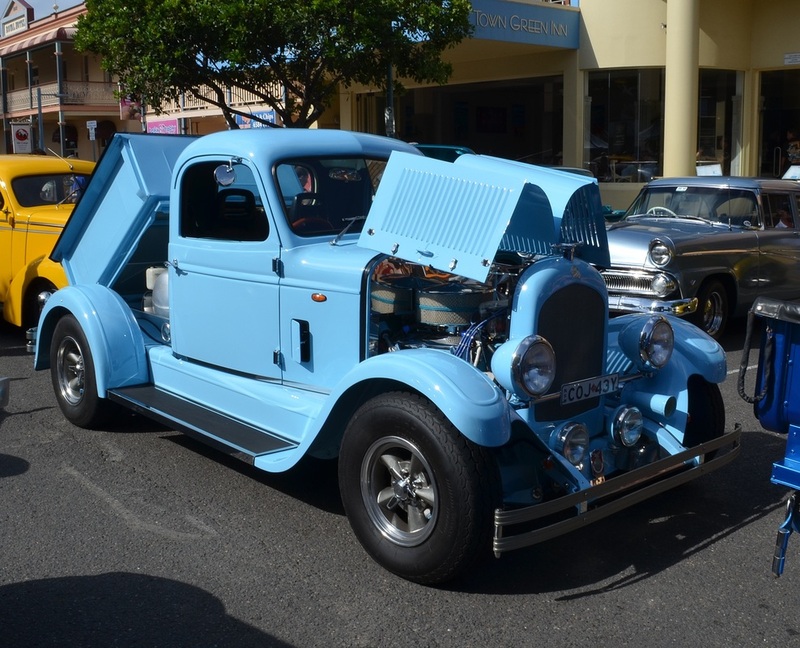 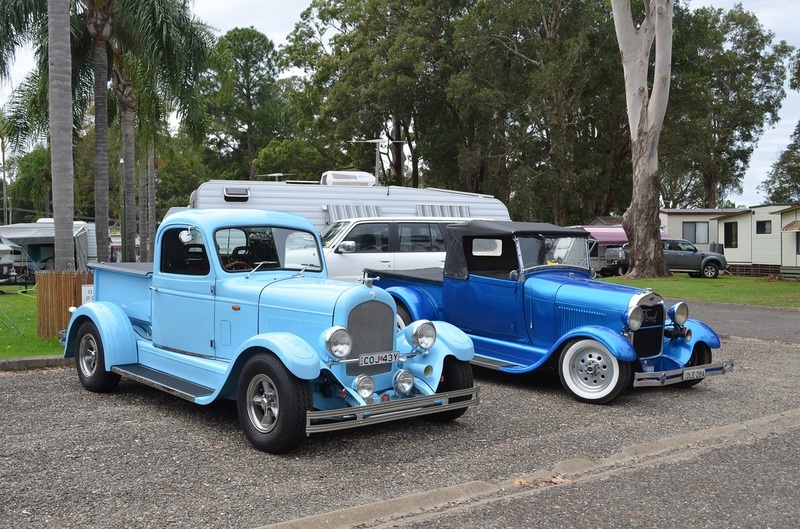 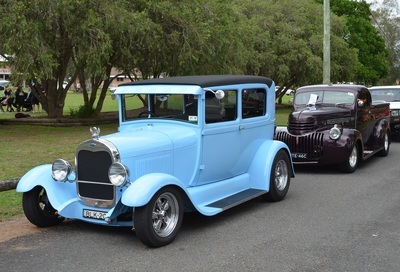 This years Kurri Kurri Nostalgia Festival was the largest in its history with a huge crowd in attendance on the Sunday and by all reports the Saturday was also well supported. 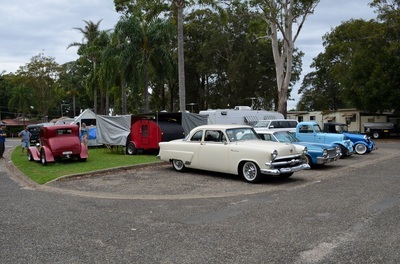 Plenty of our members attended as they have in the past and all enjoyed the day and will return again next year. Thanks for the photos Paul.